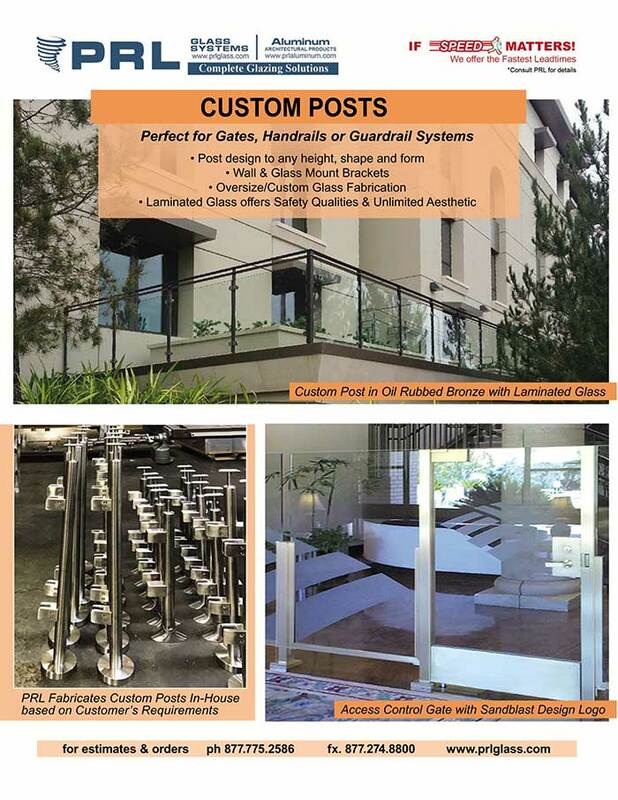 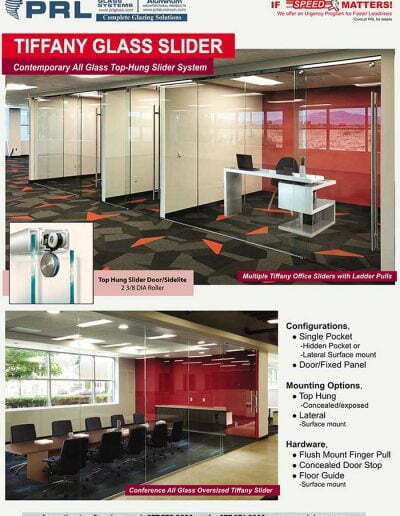 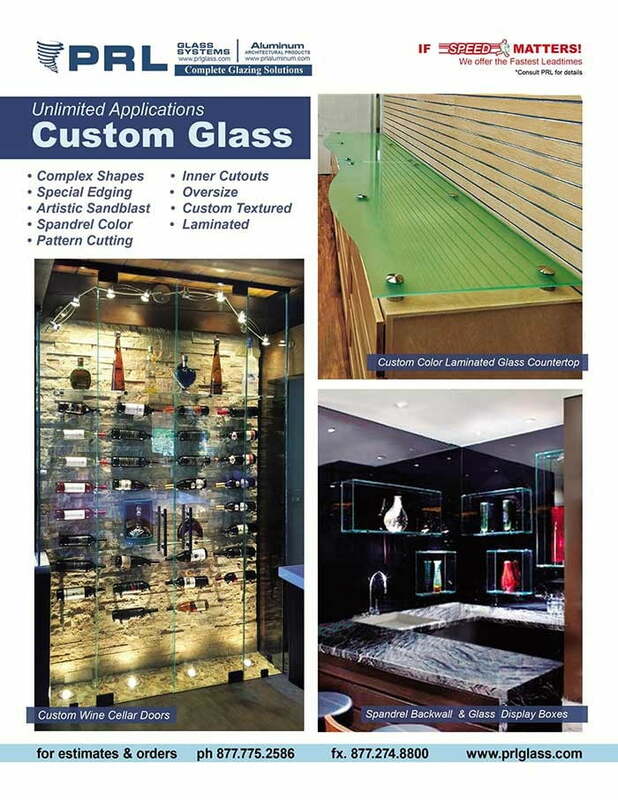 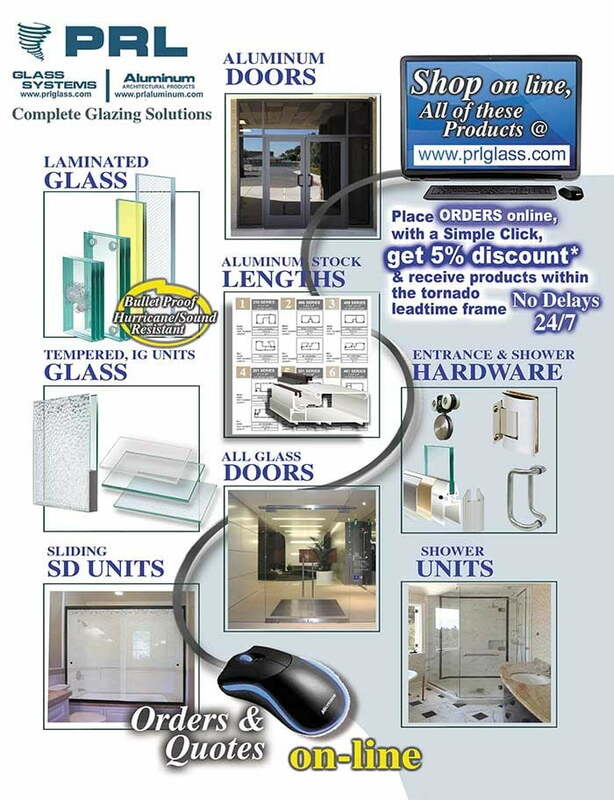 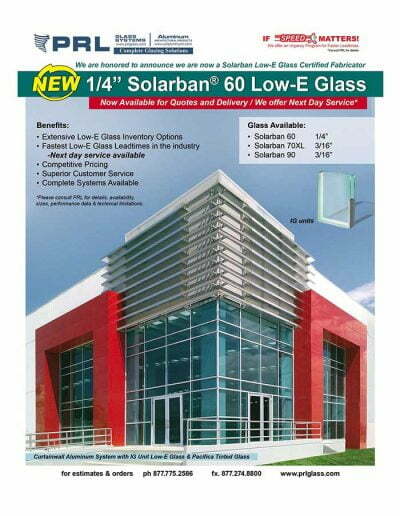 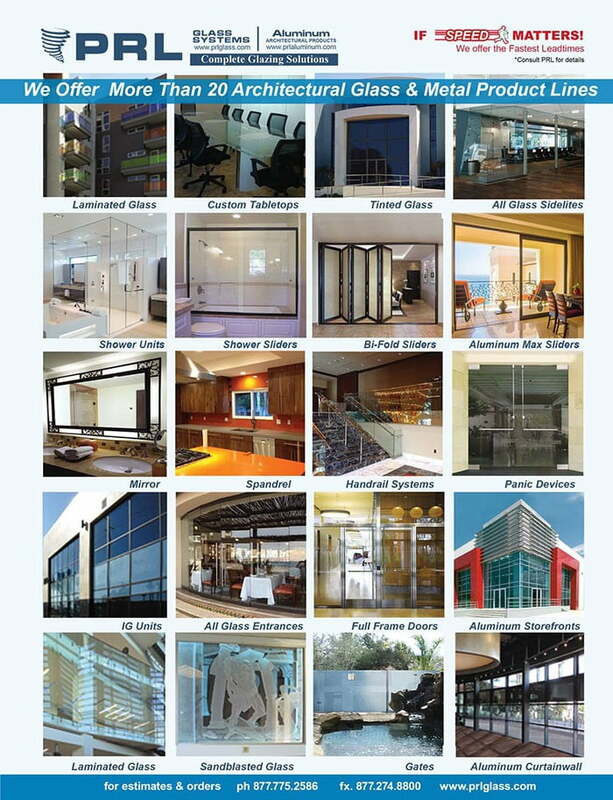 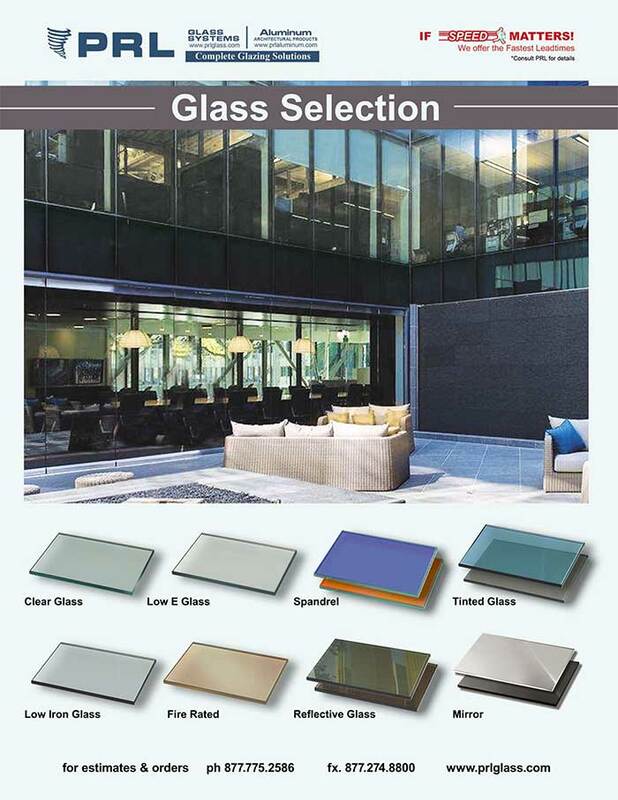 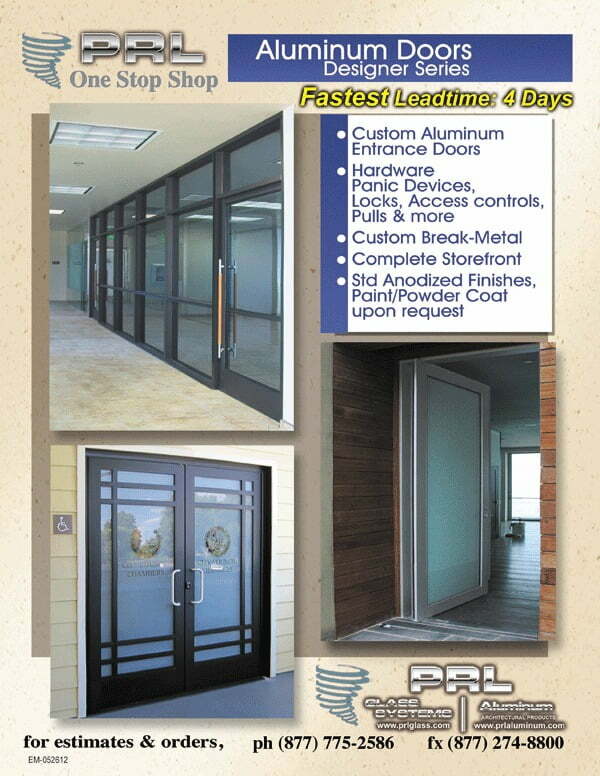 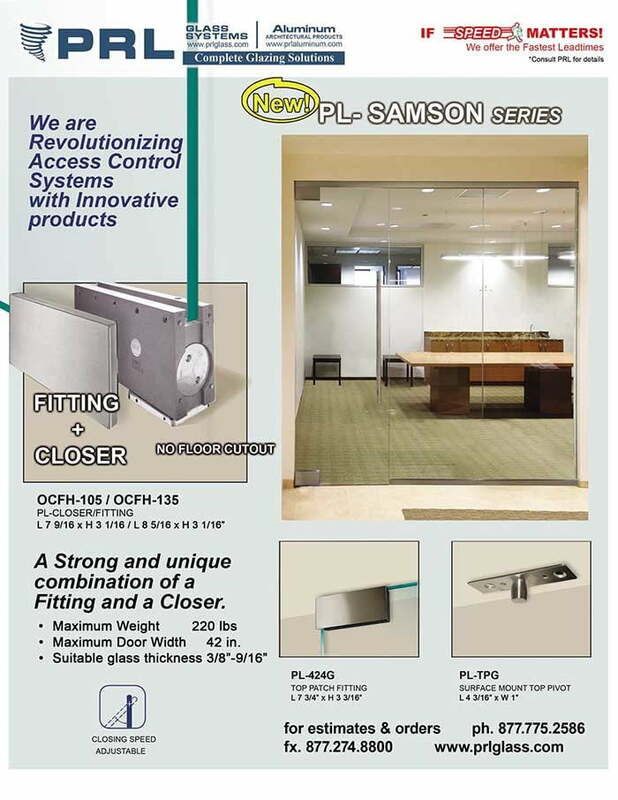 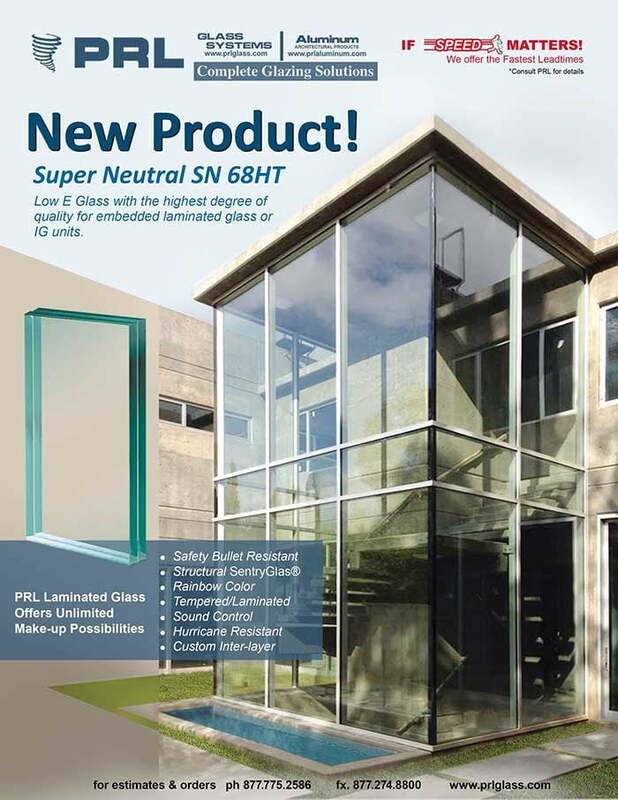 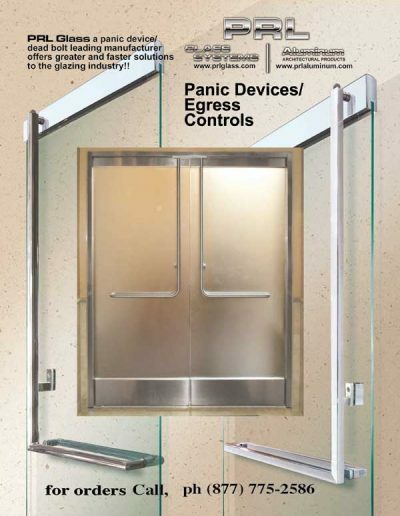 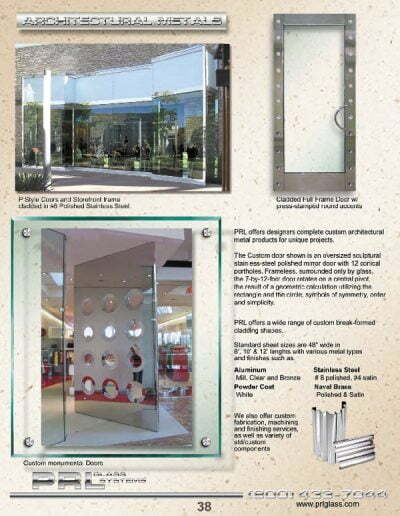 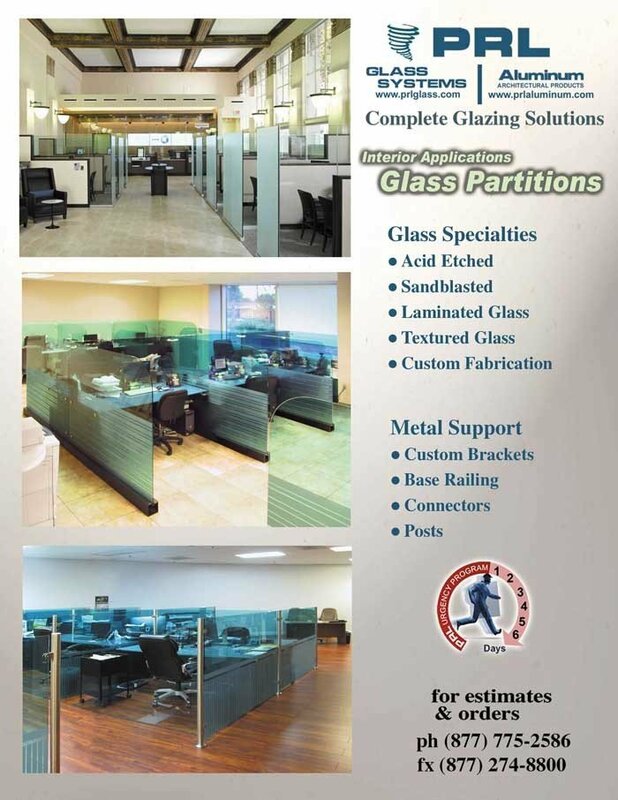 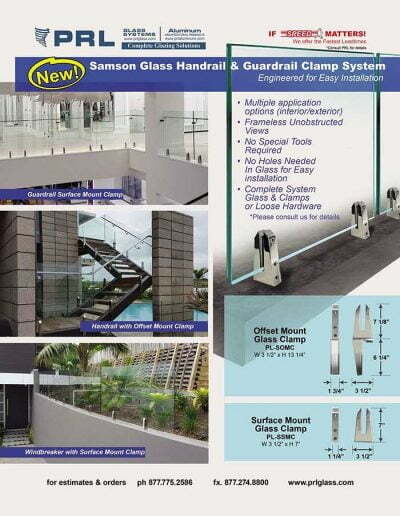 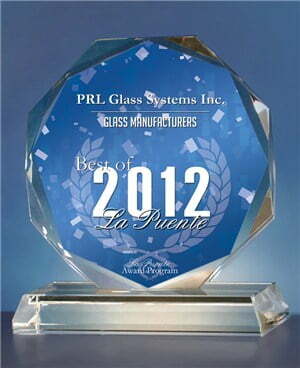 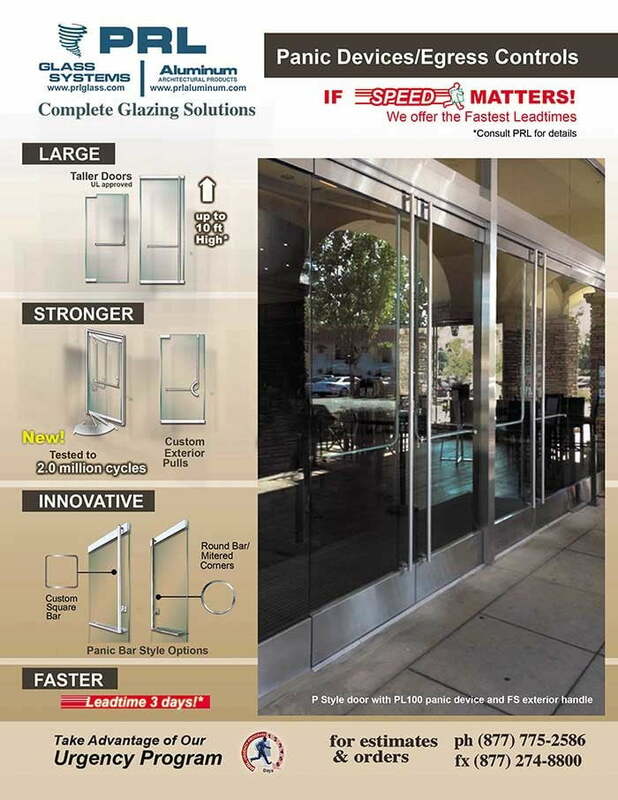 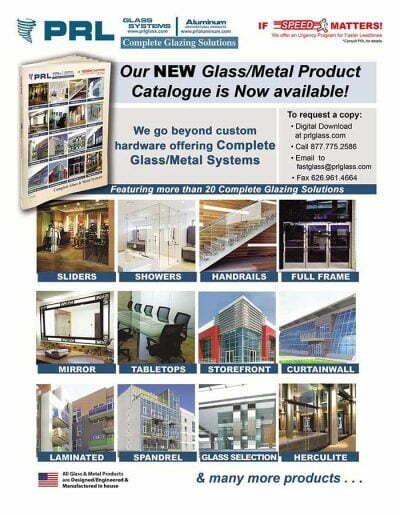 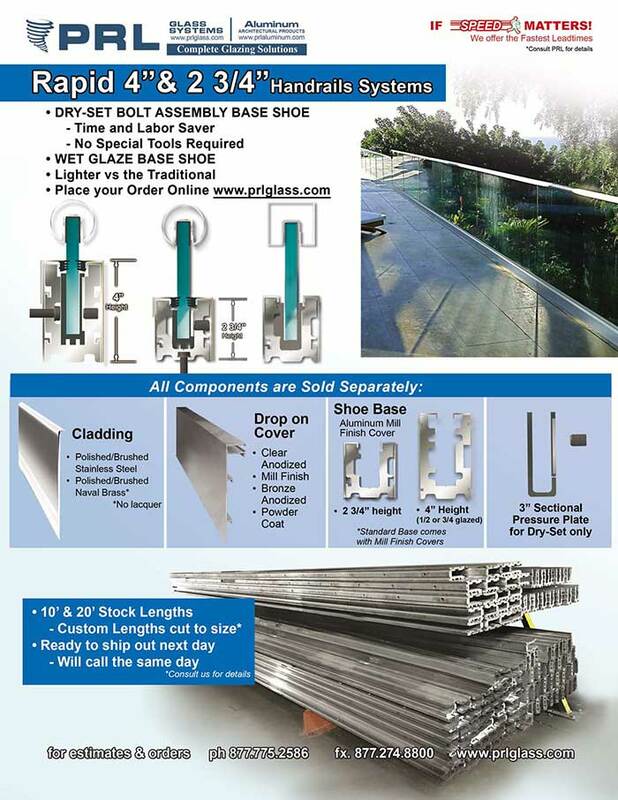 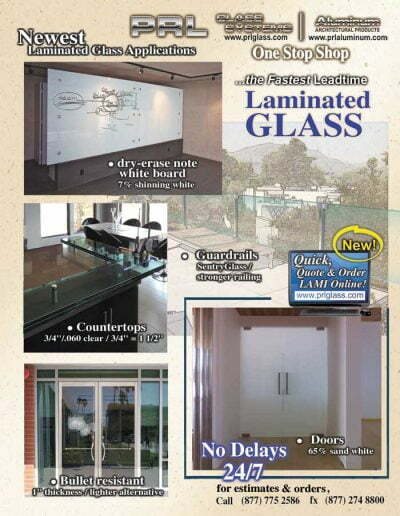 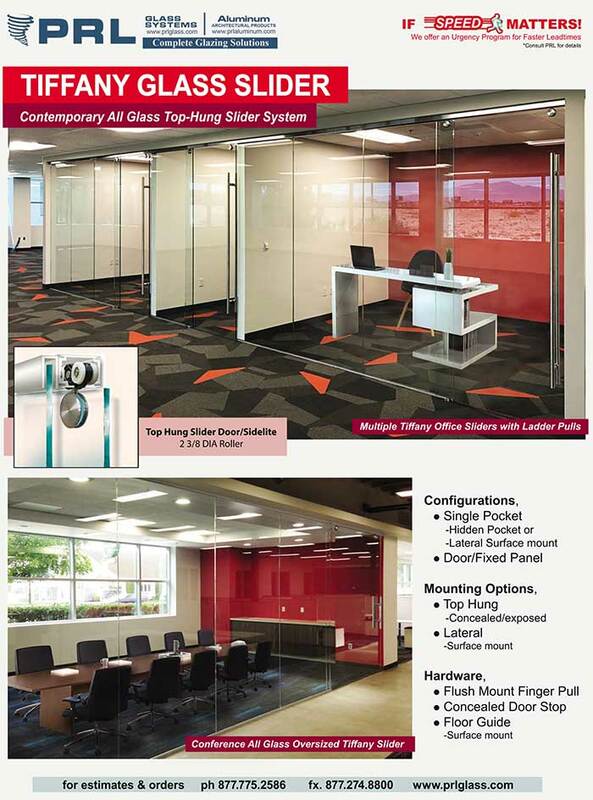 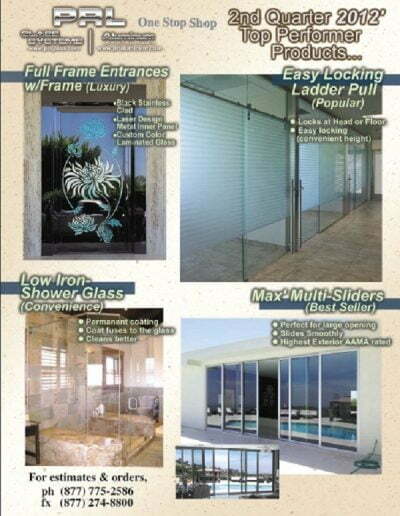 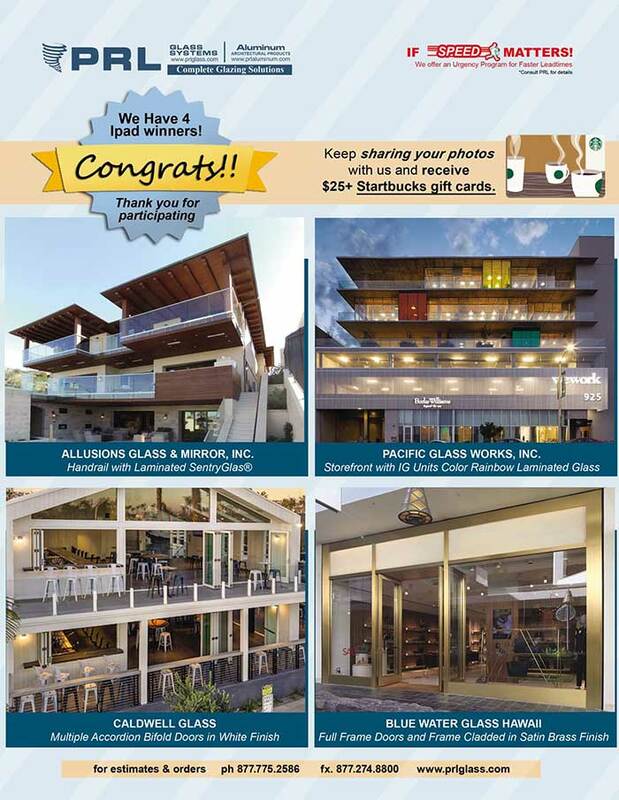 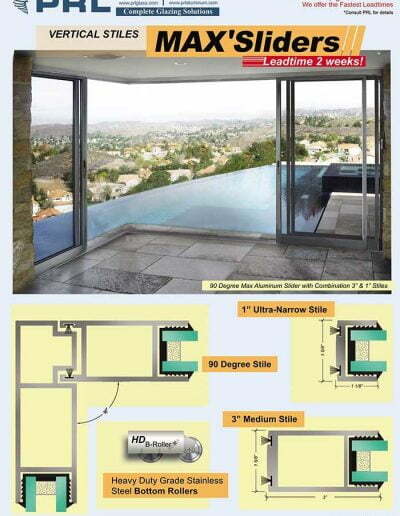 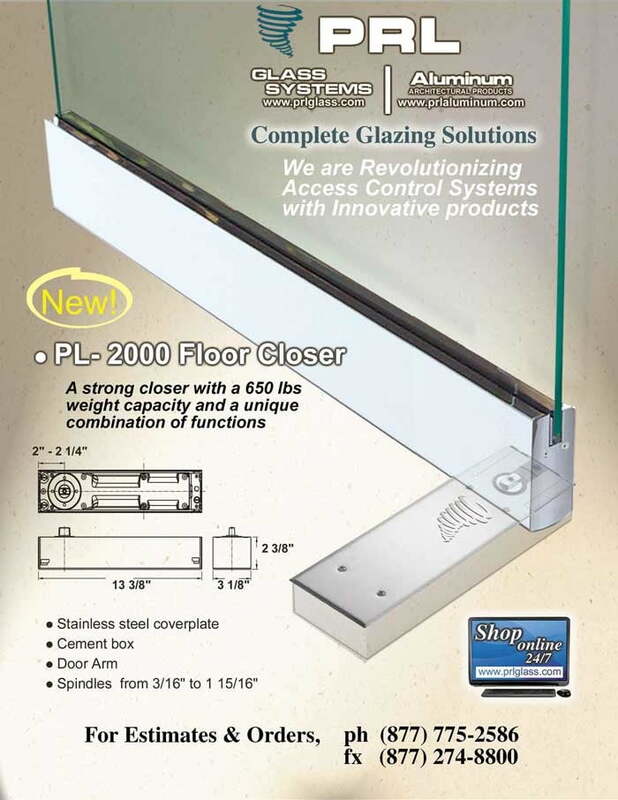 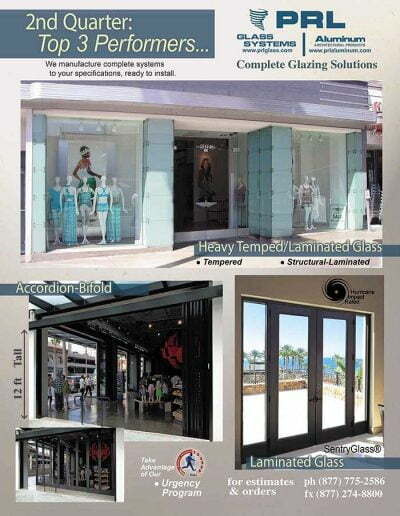 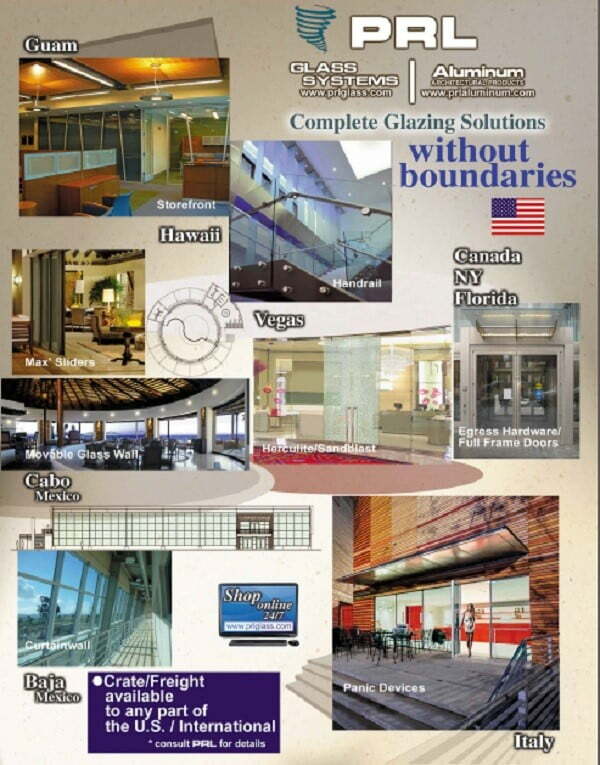 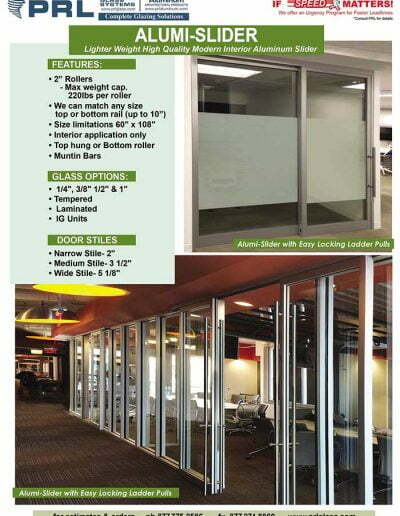 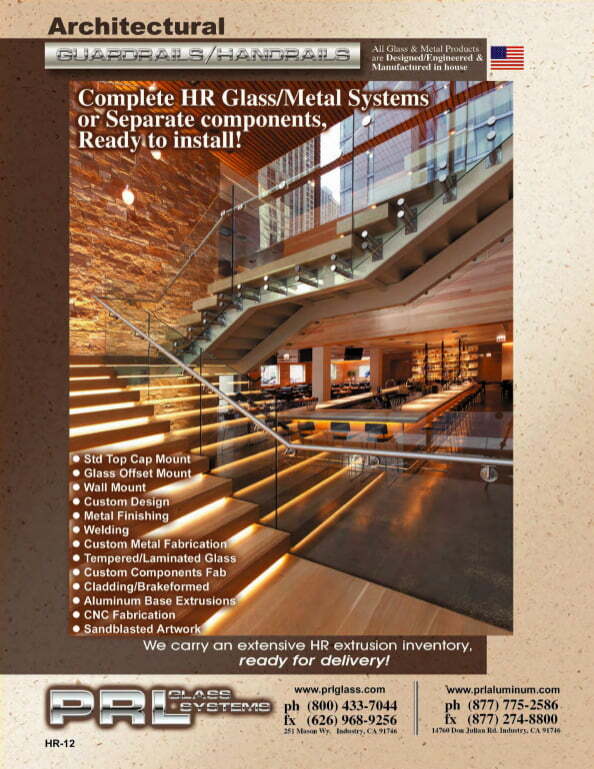 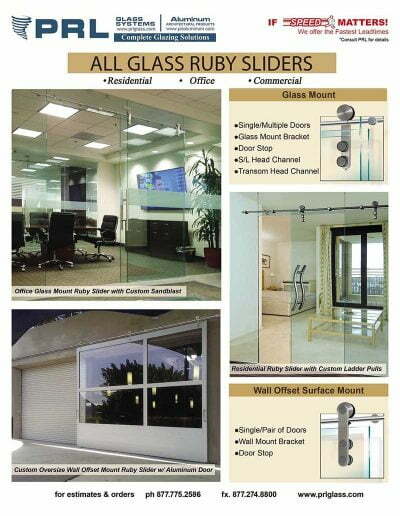 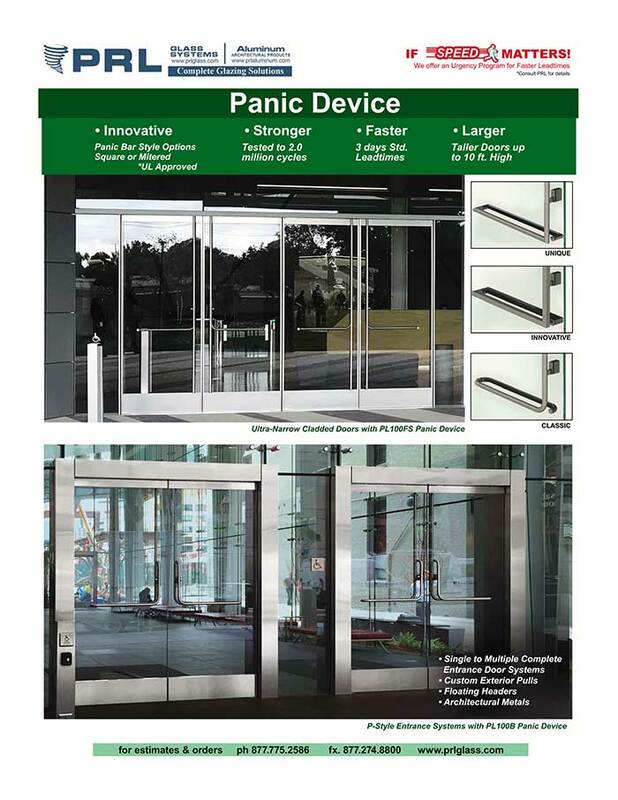 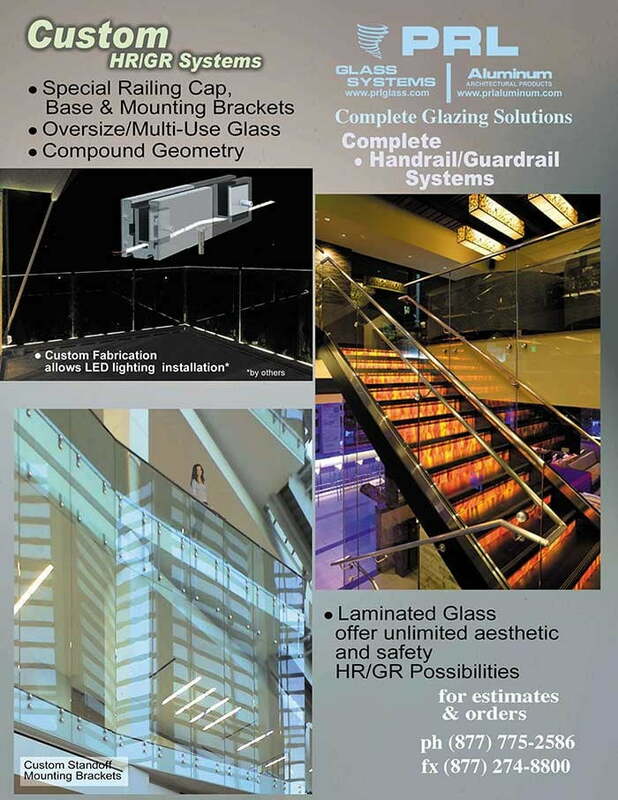 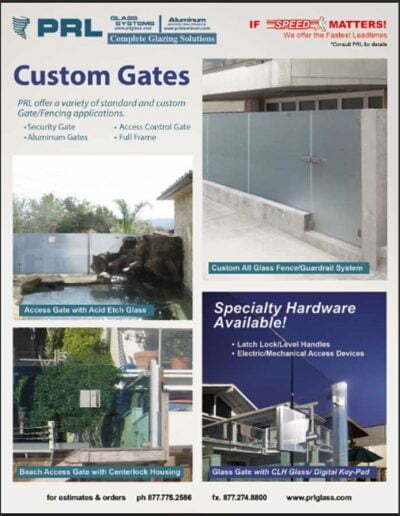 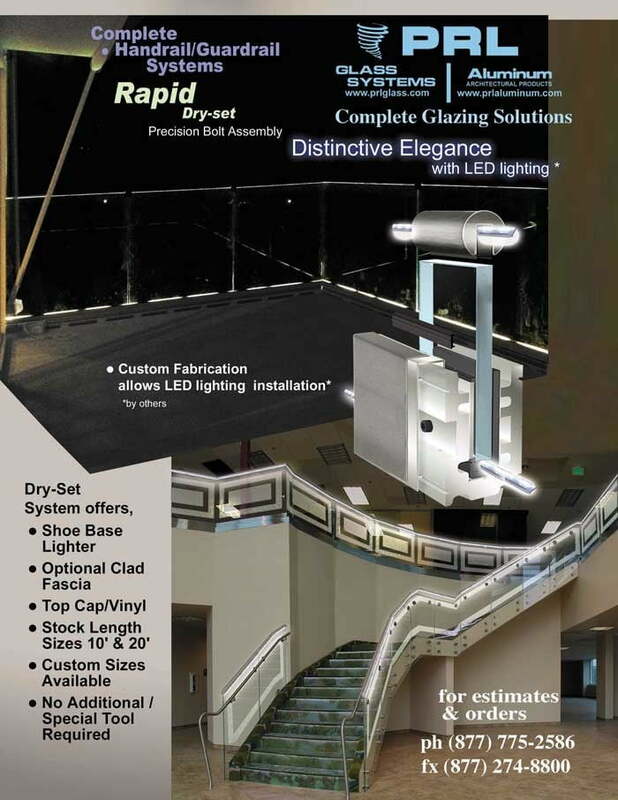 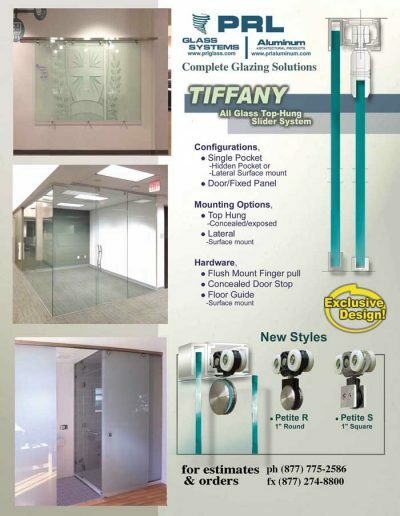 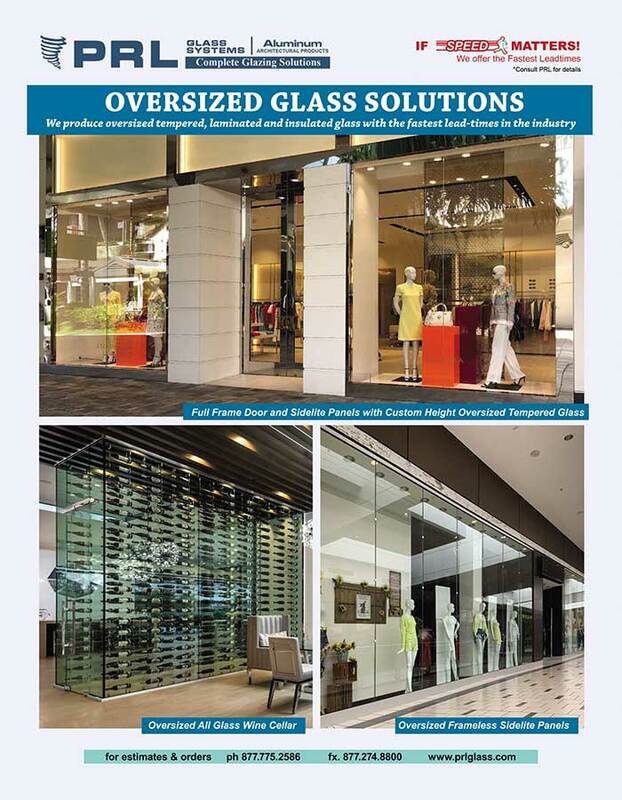 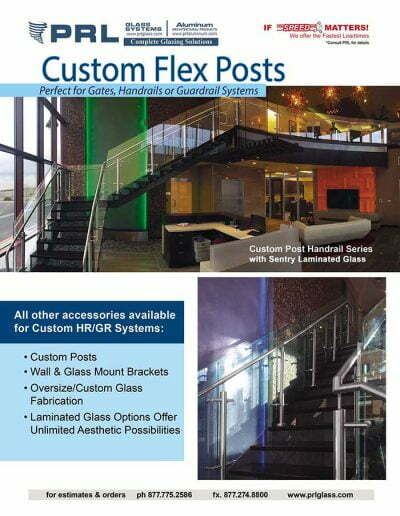 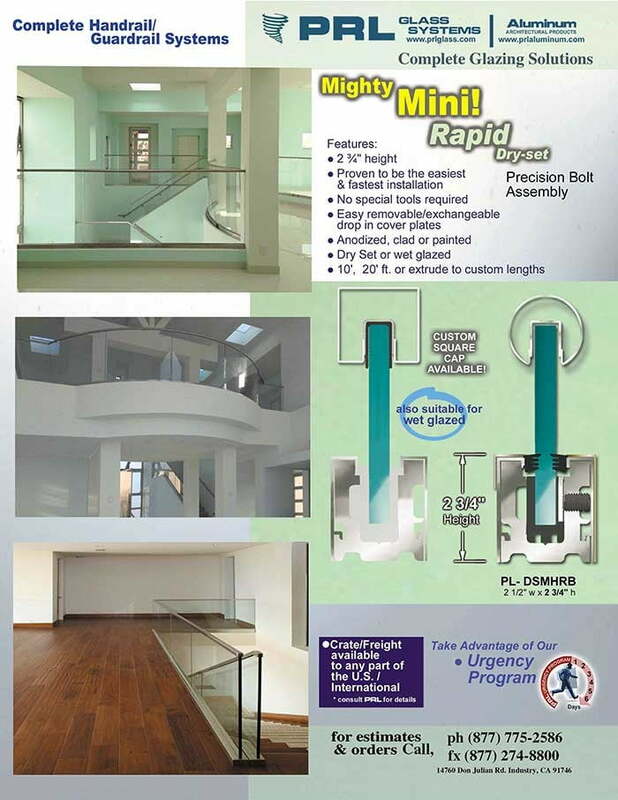 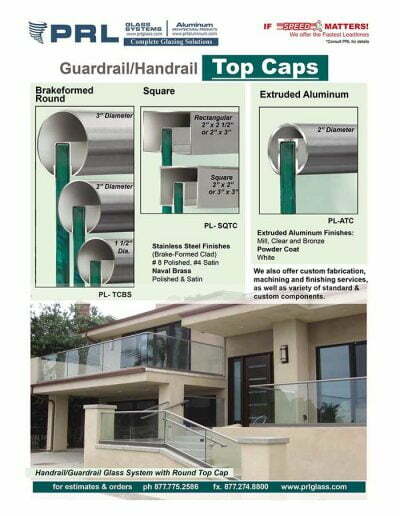 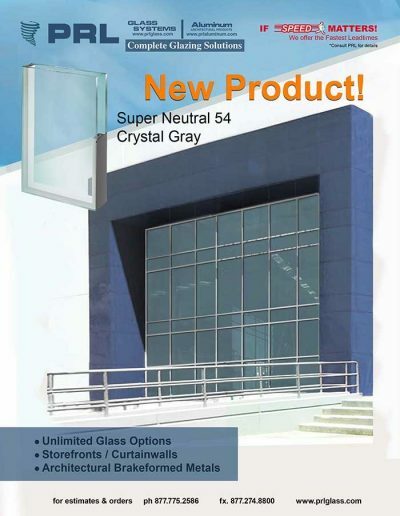 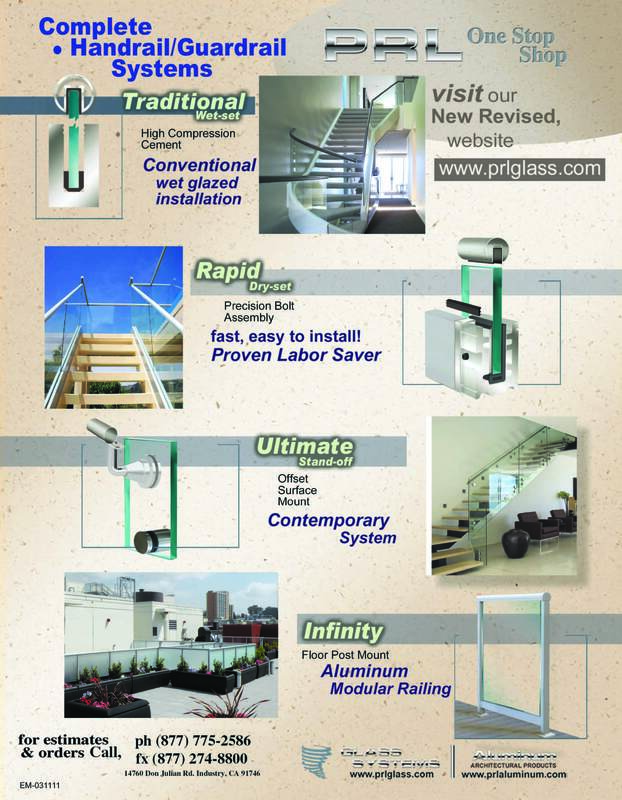 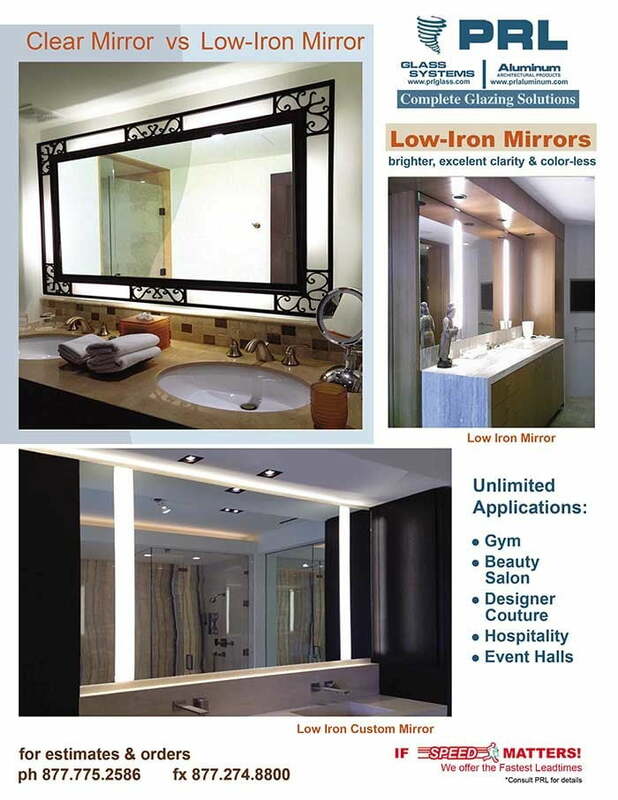 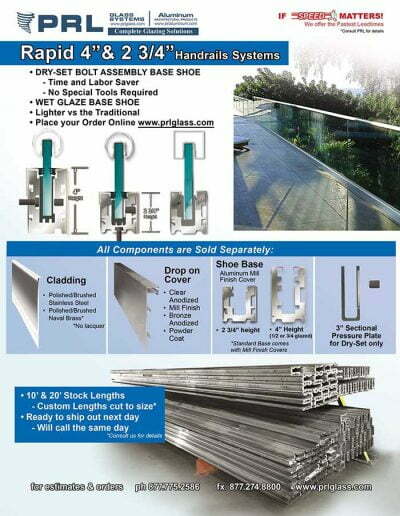 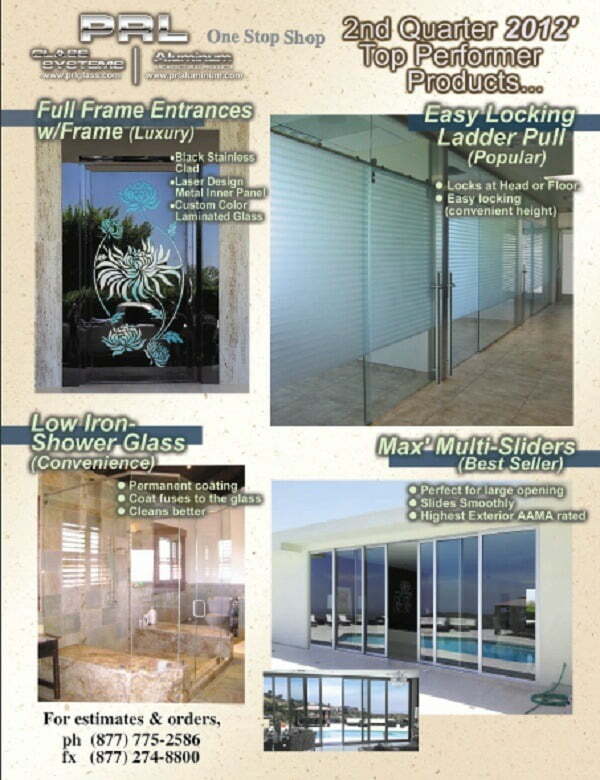 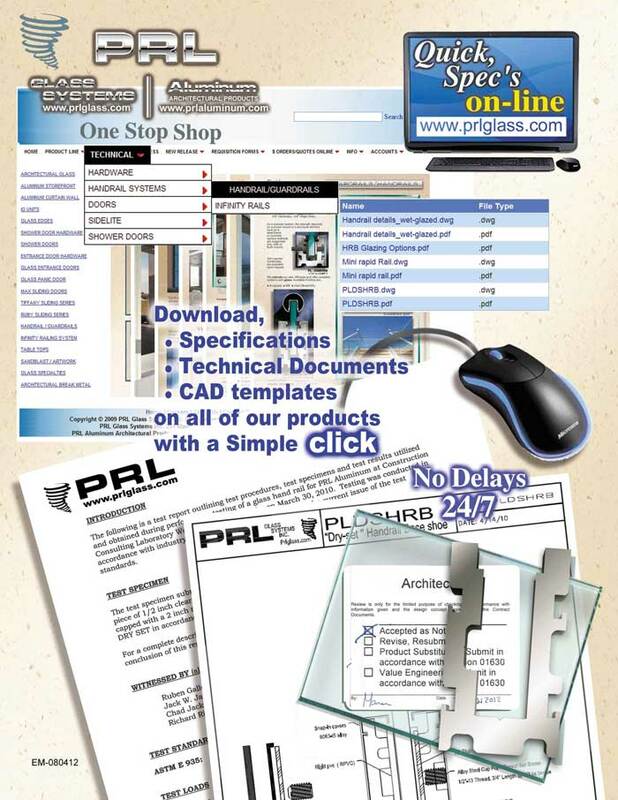 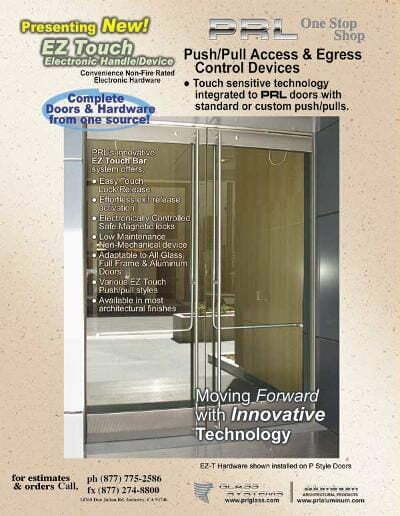 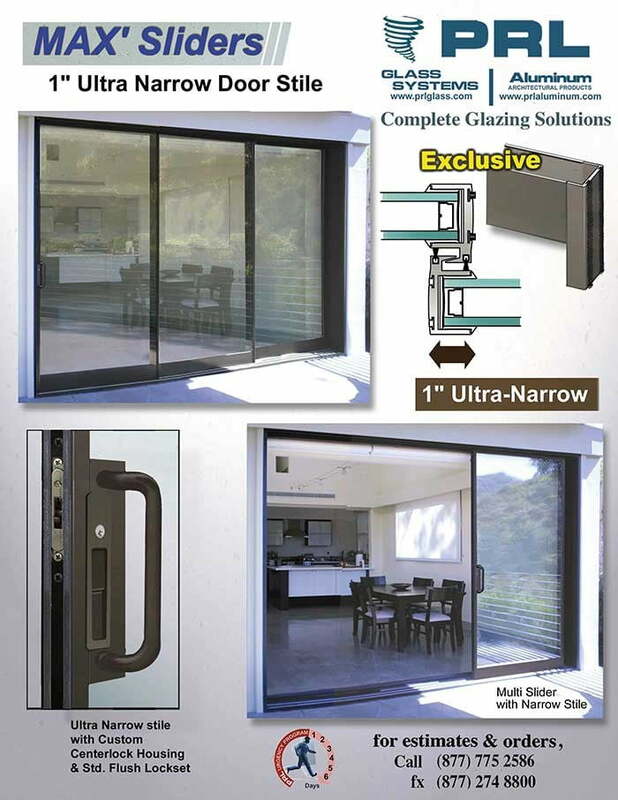 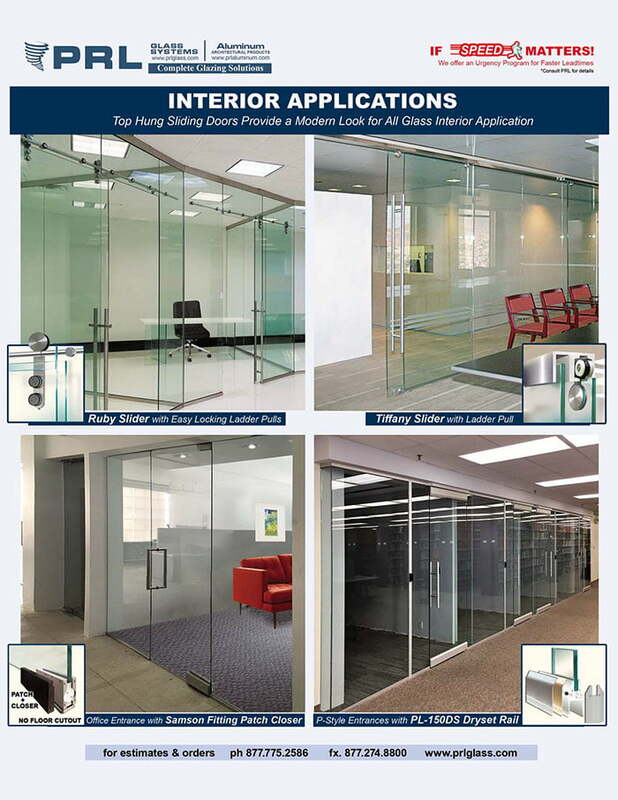 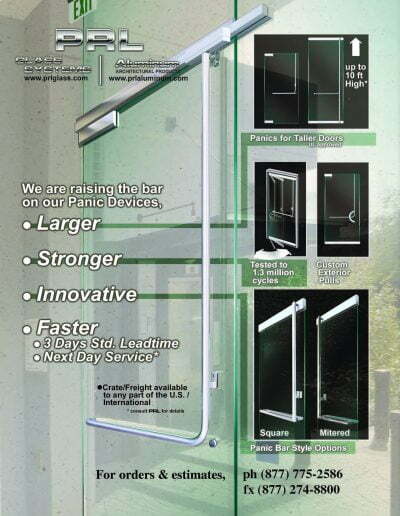 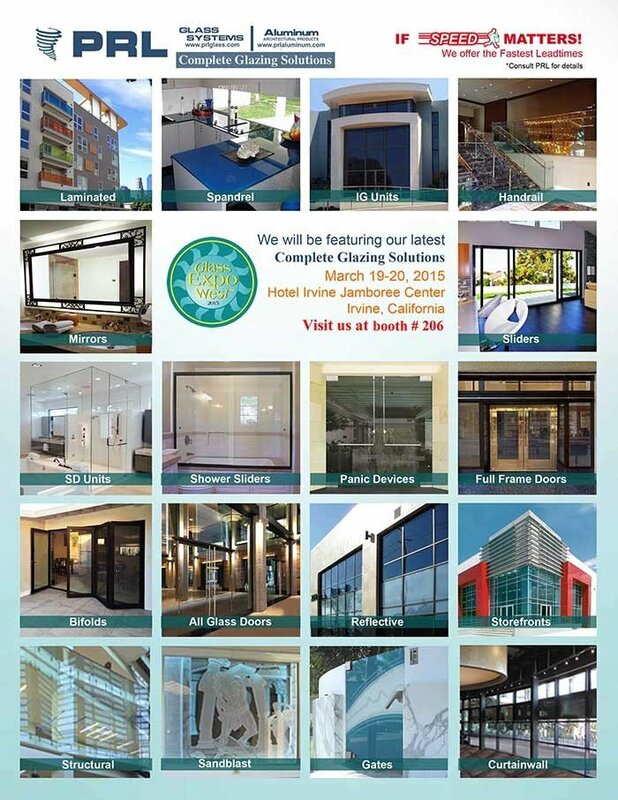 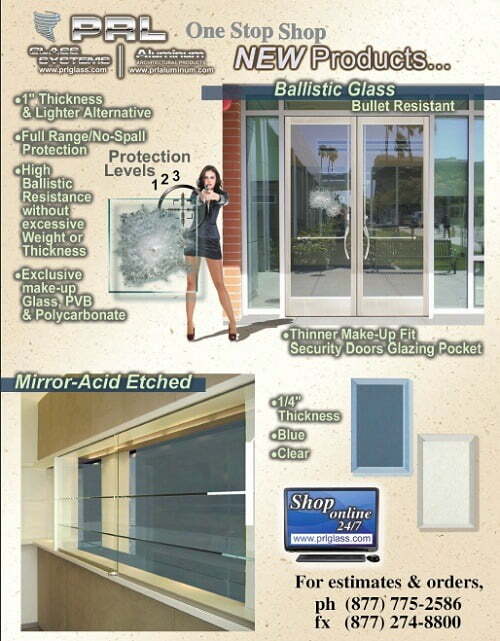 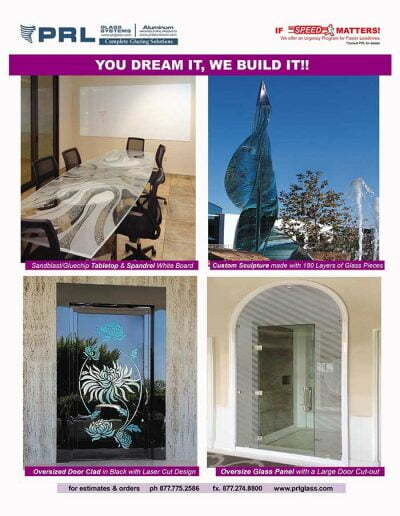 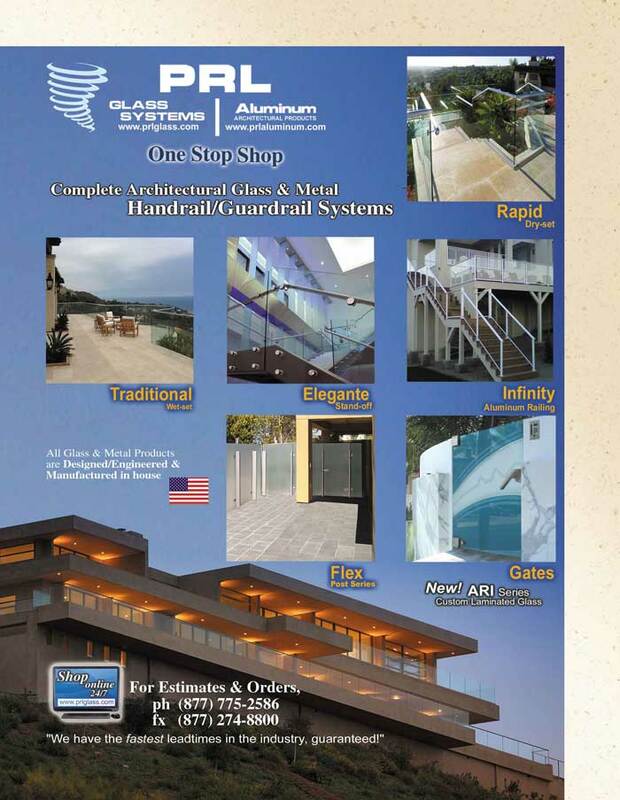 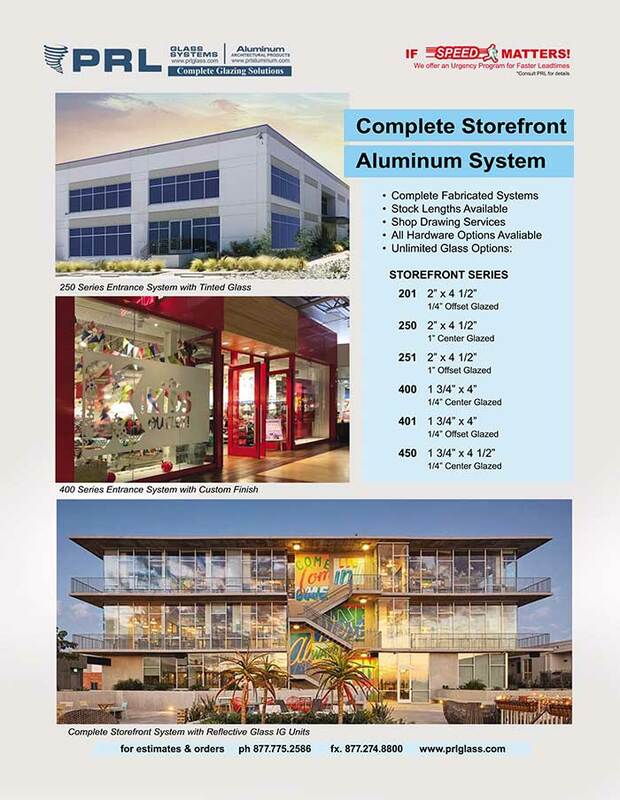 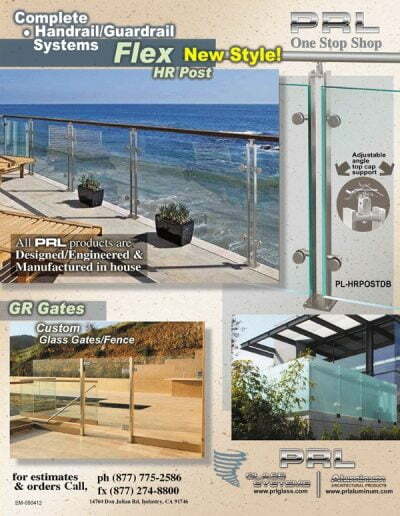 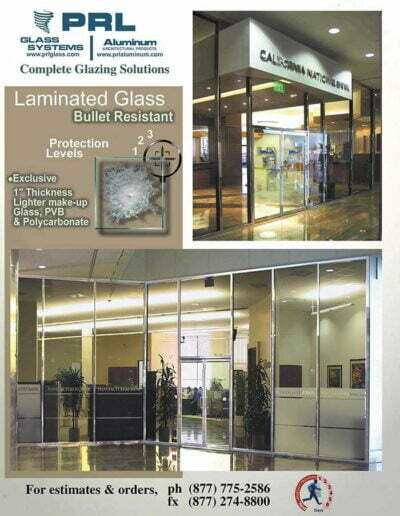 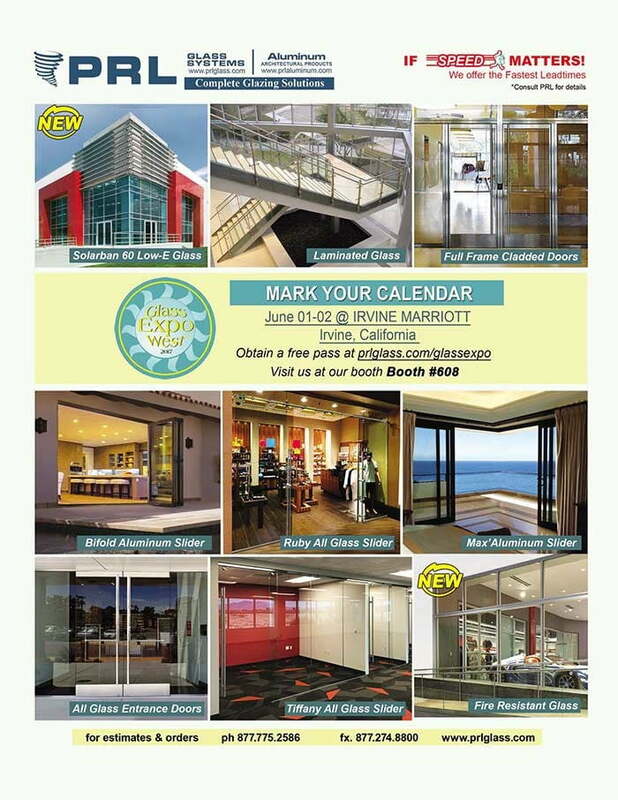 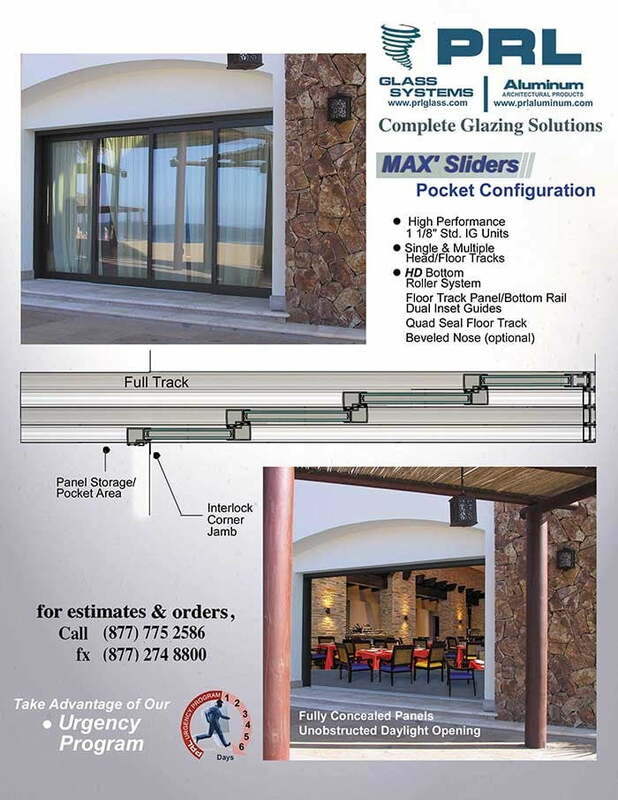 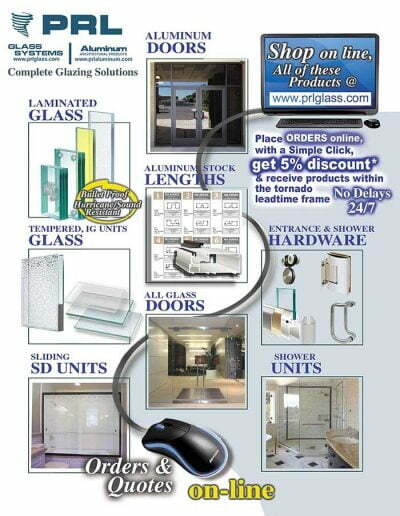 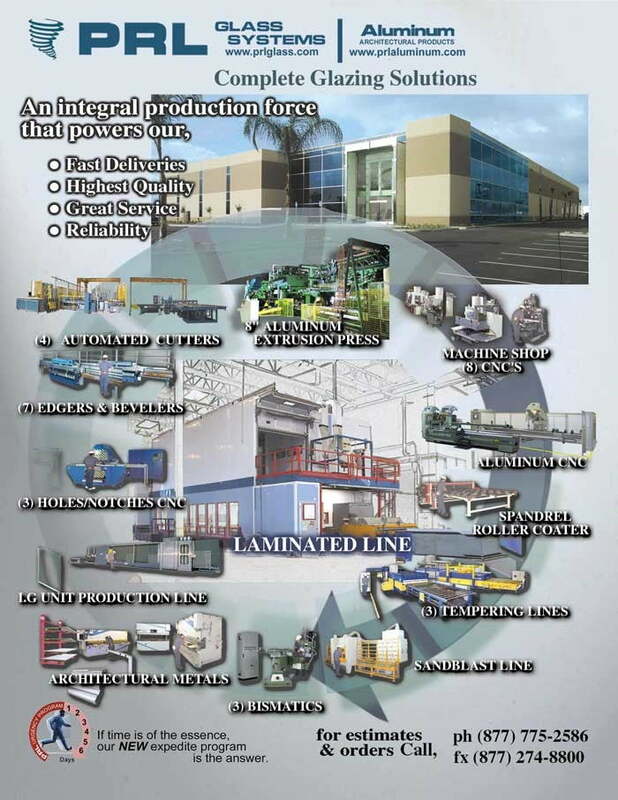 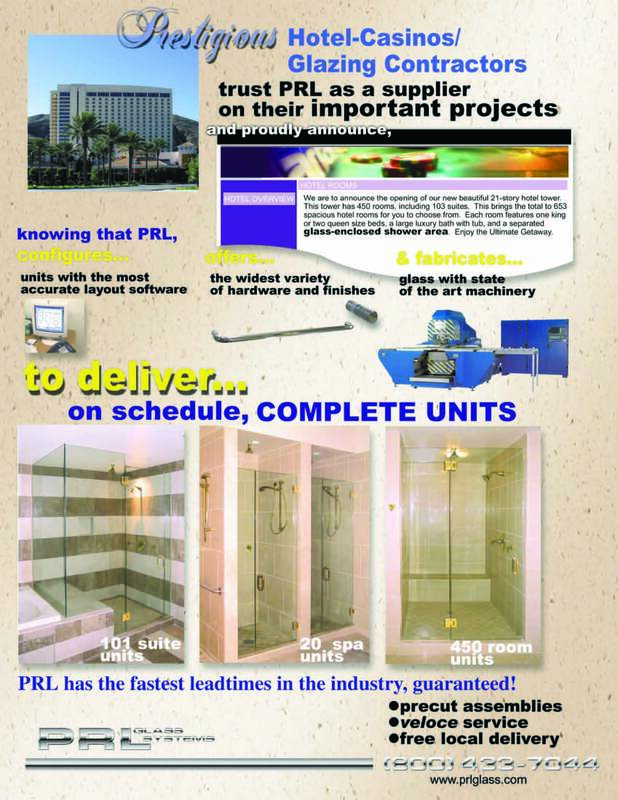 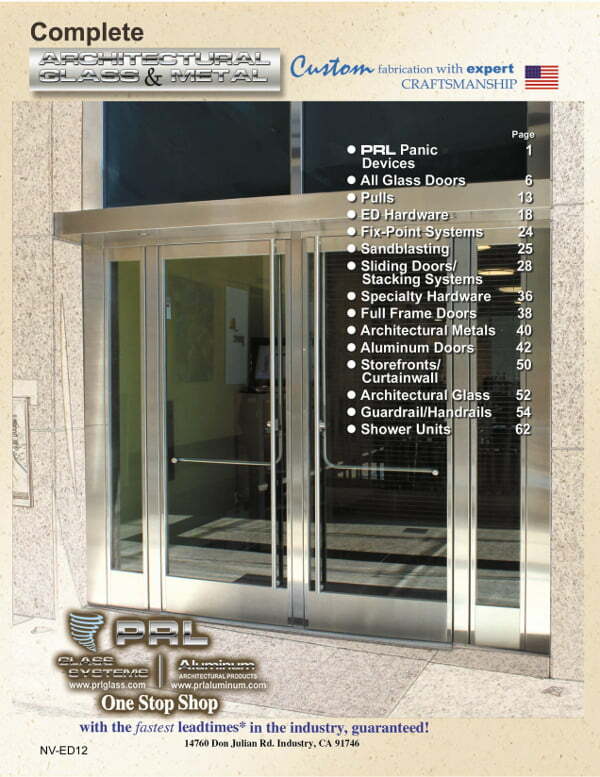 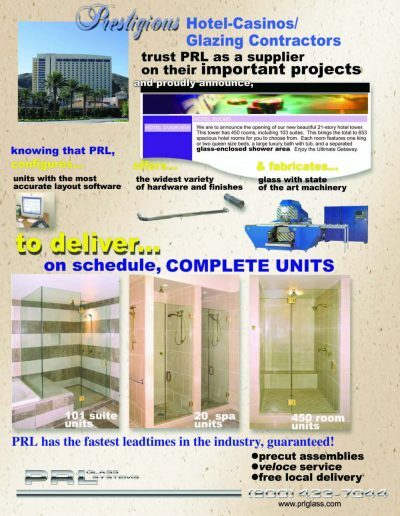 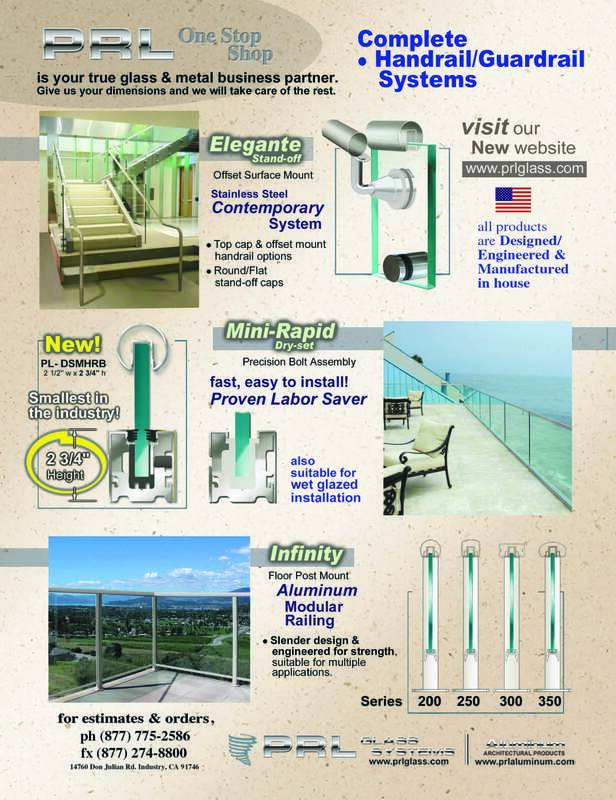 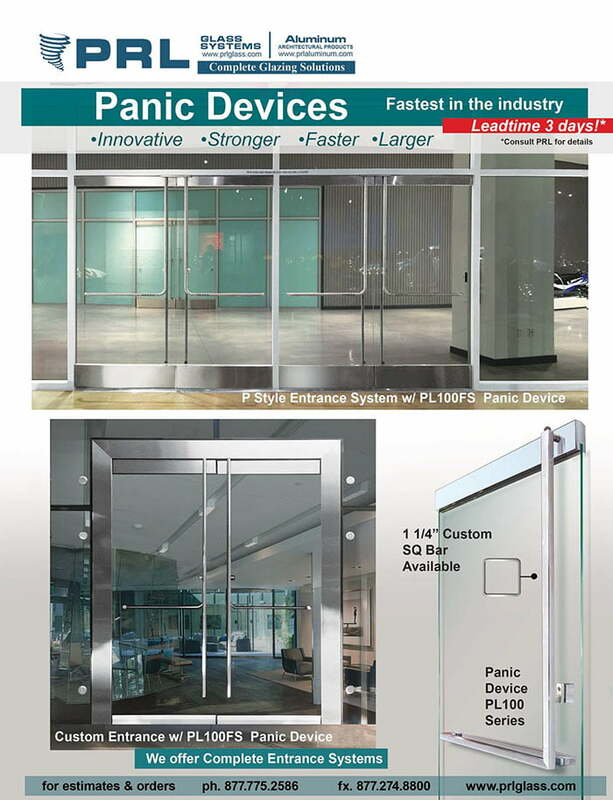 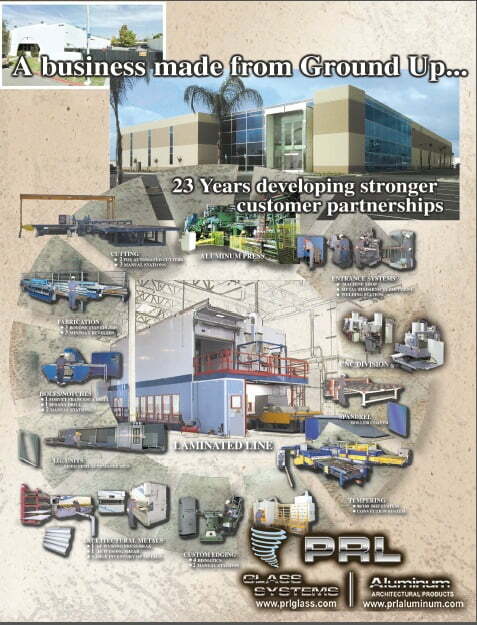 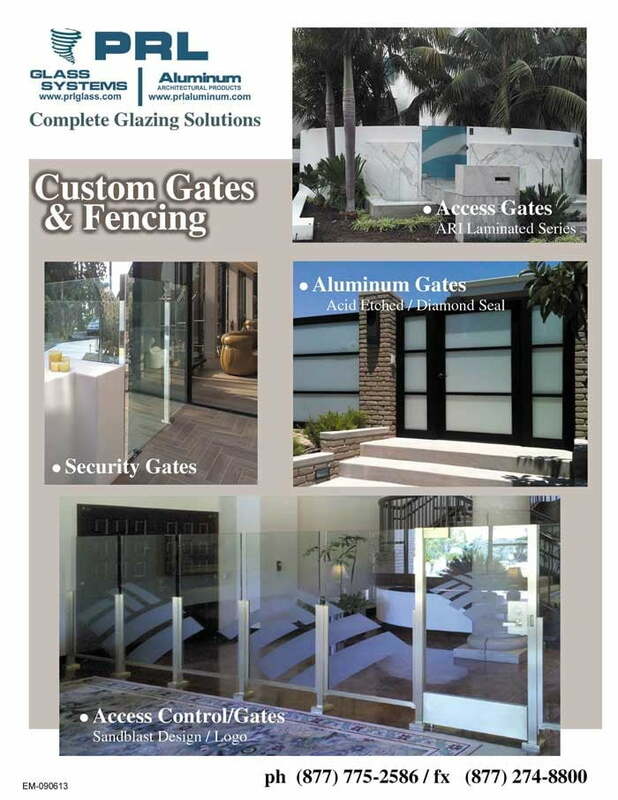 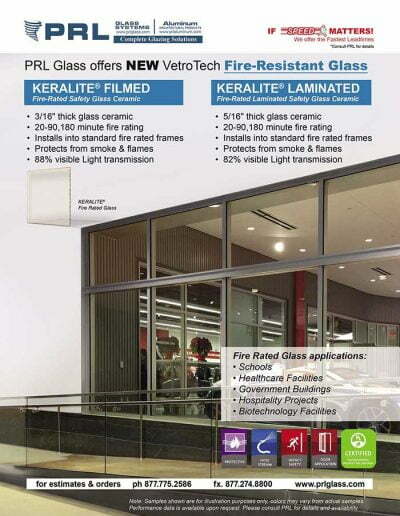 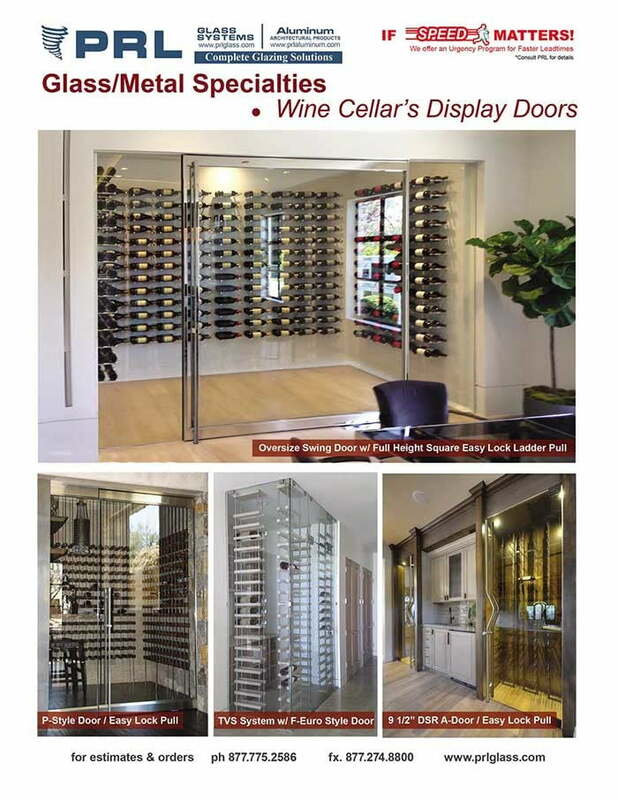 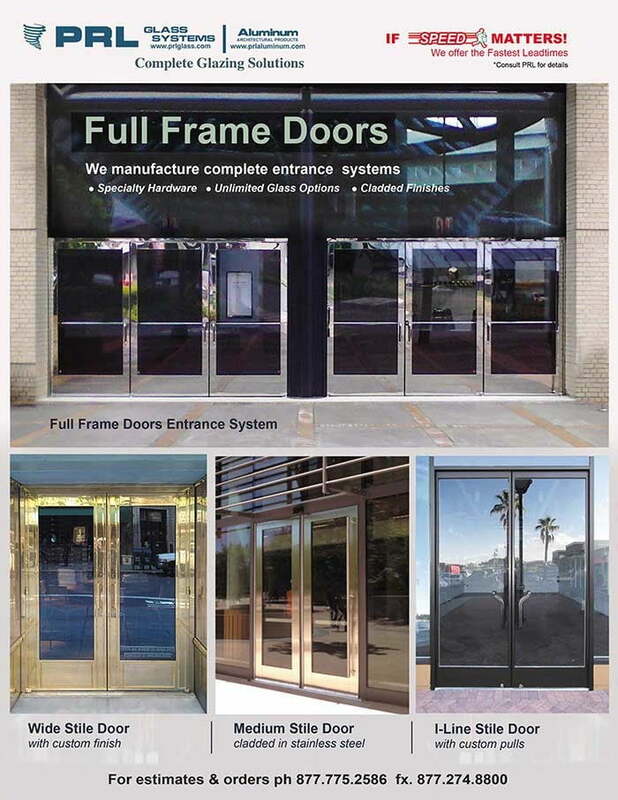 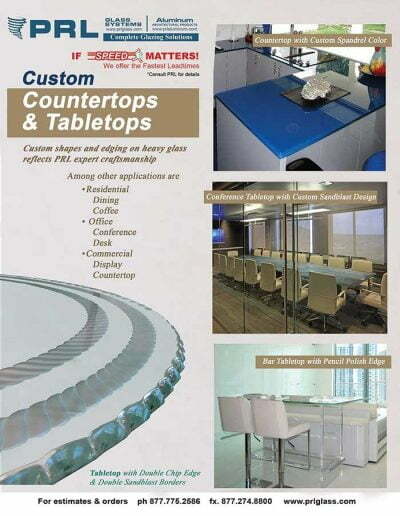 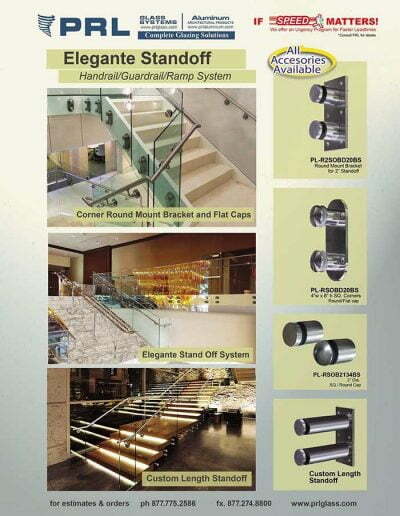 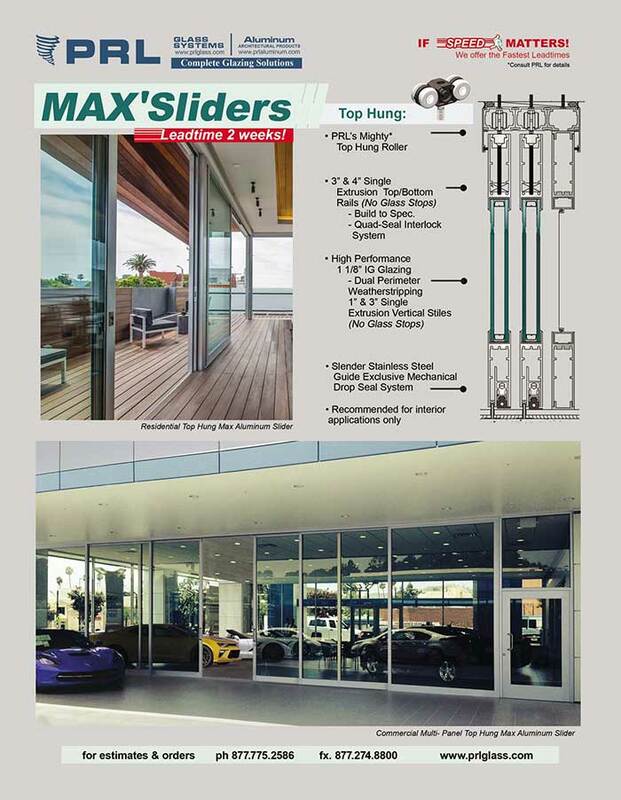 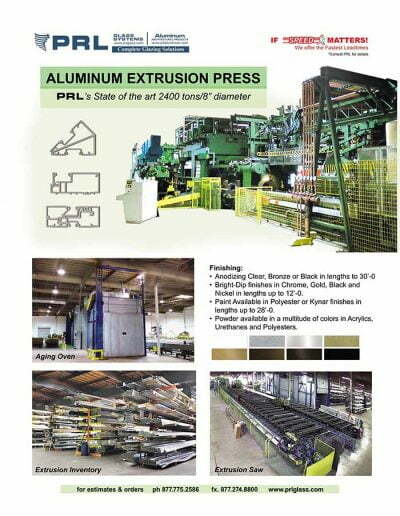 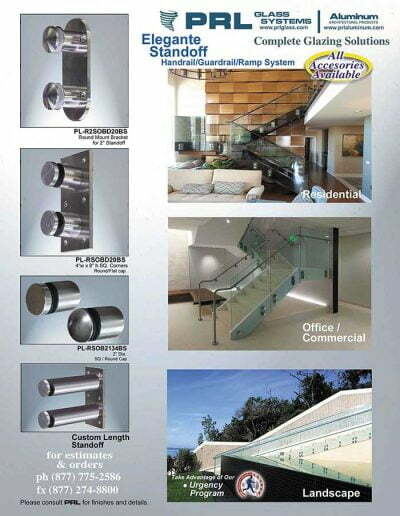 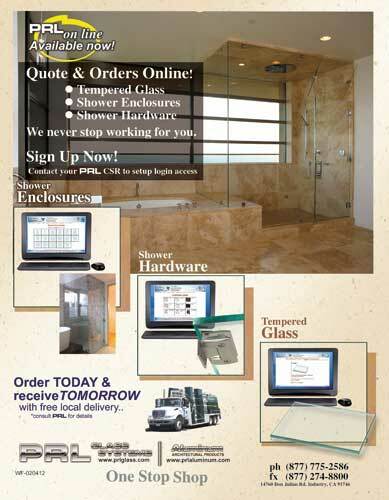 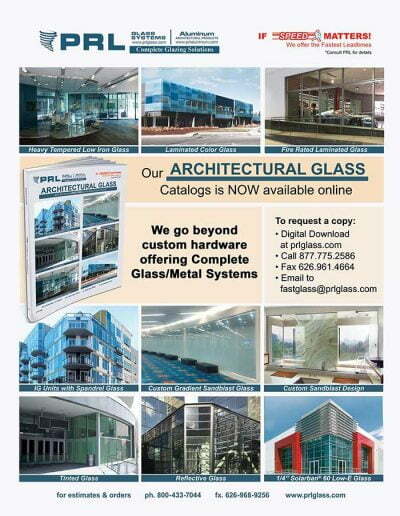 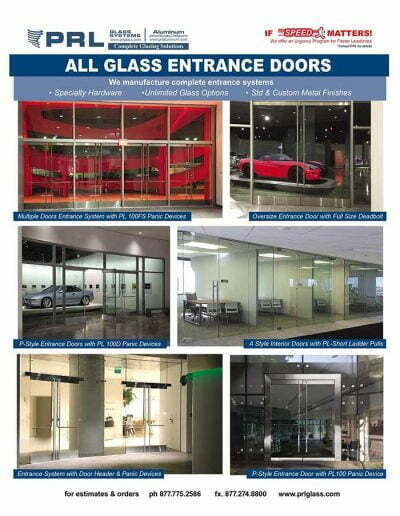 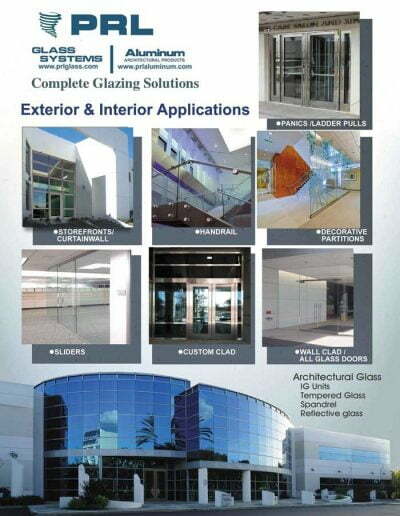 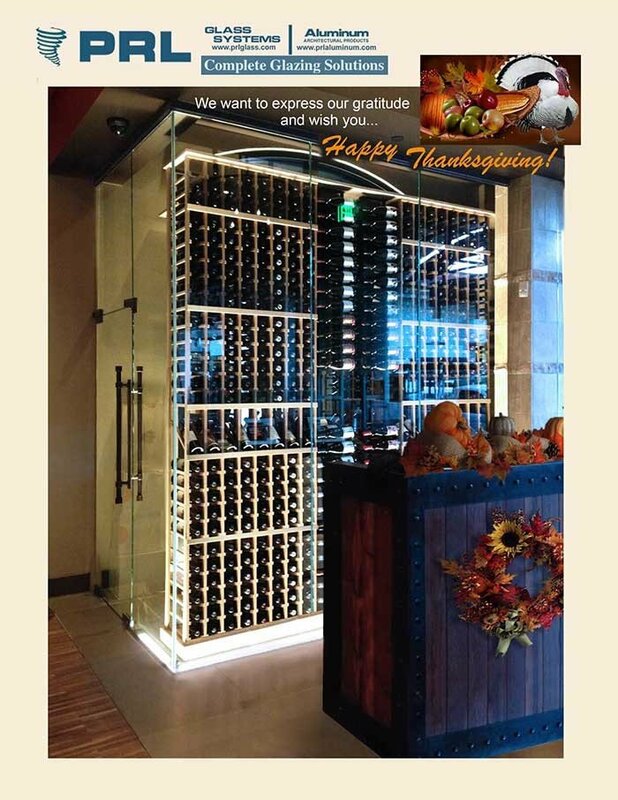 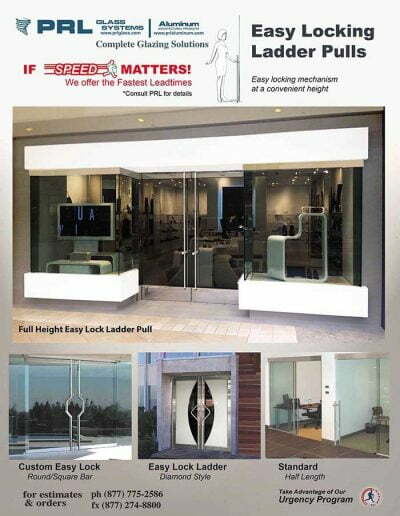 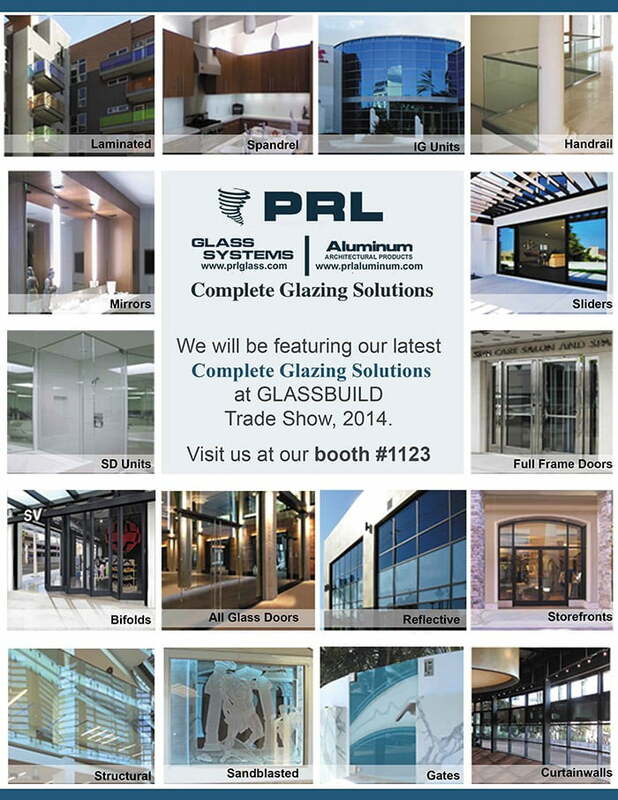 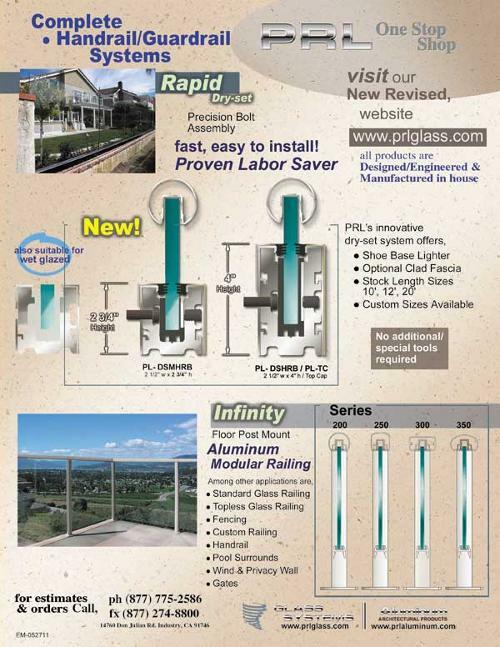 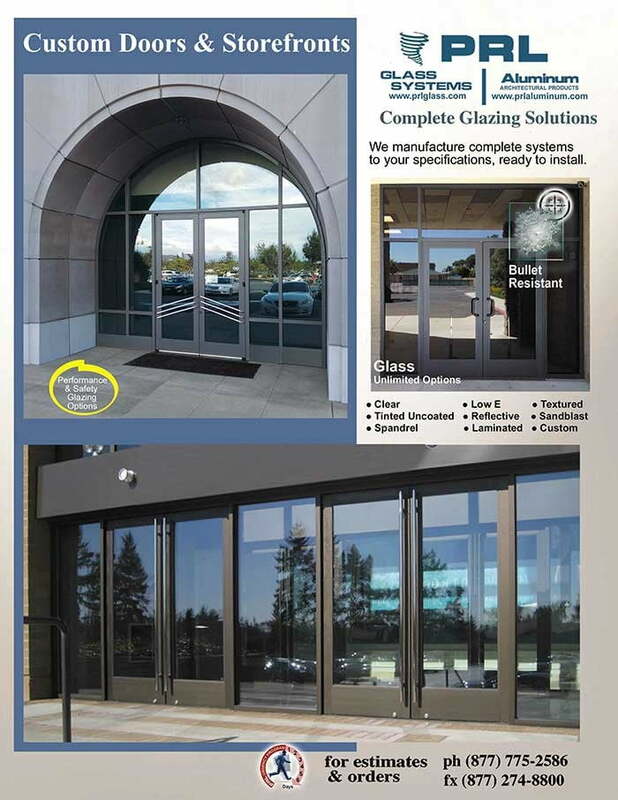 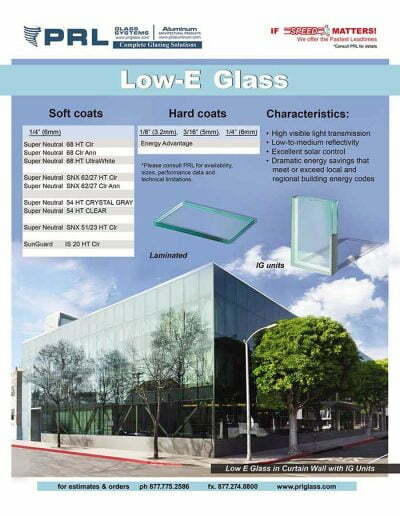 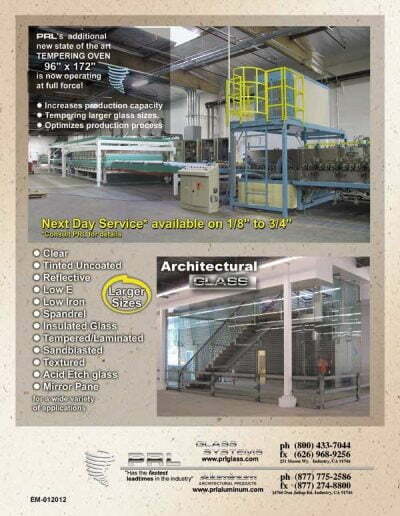 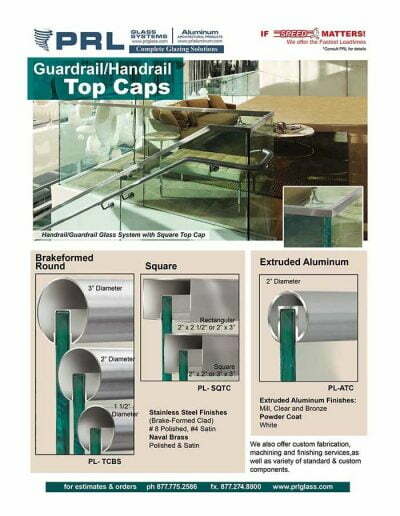 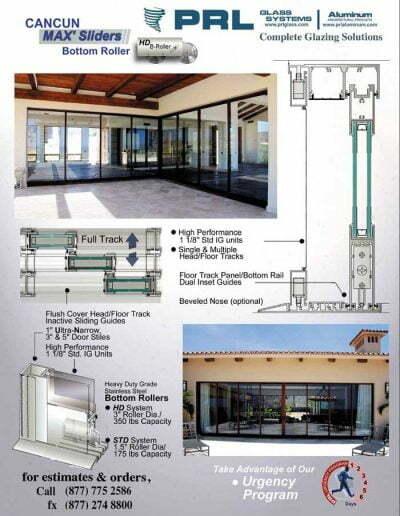 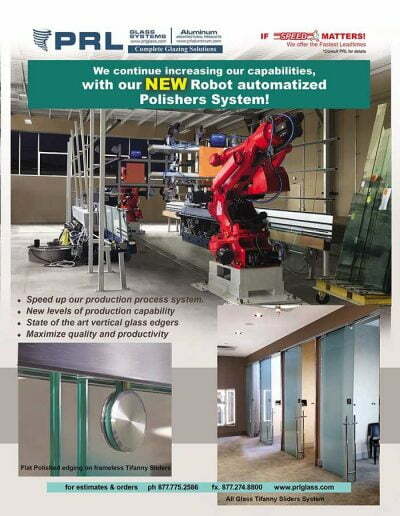 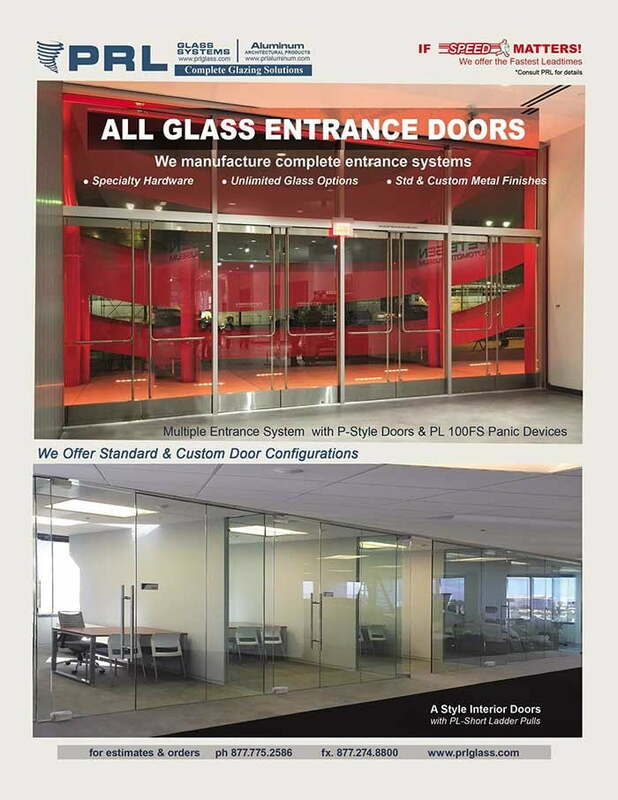 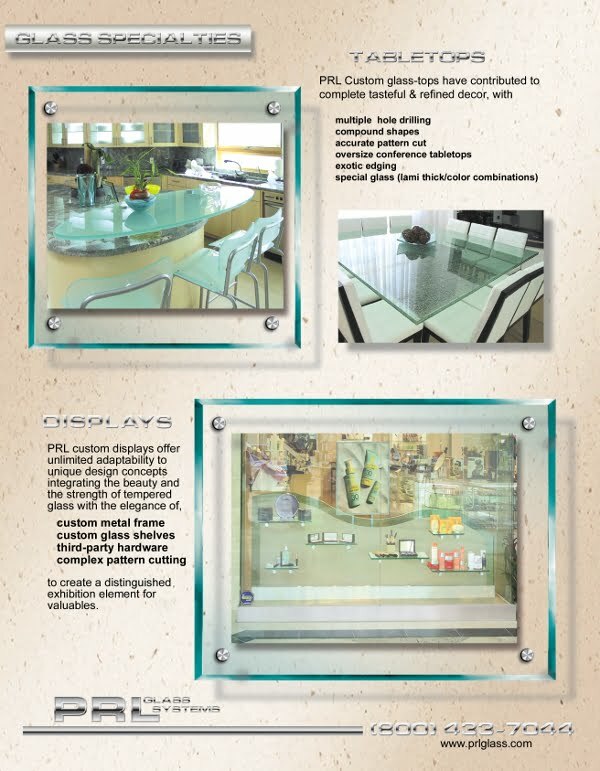 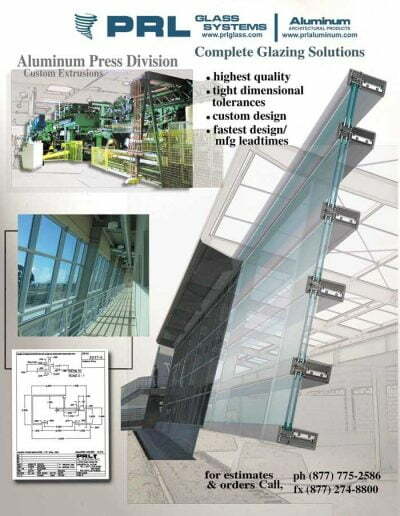 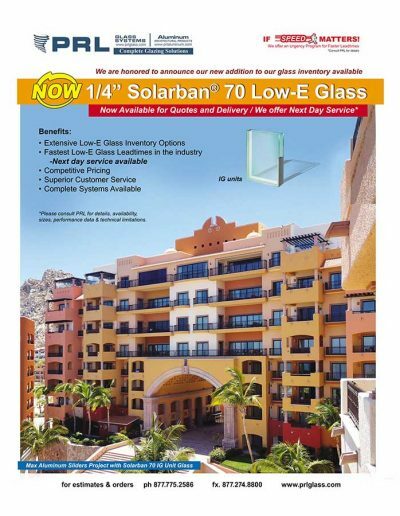 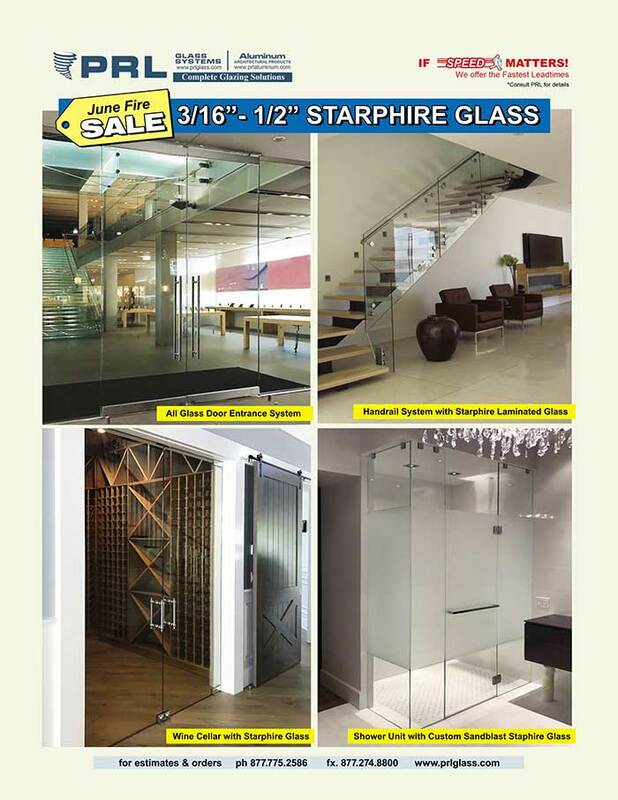 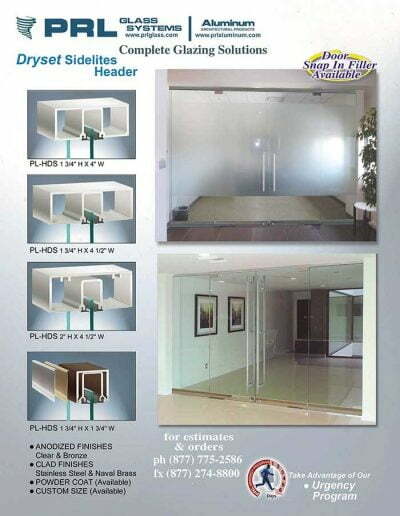 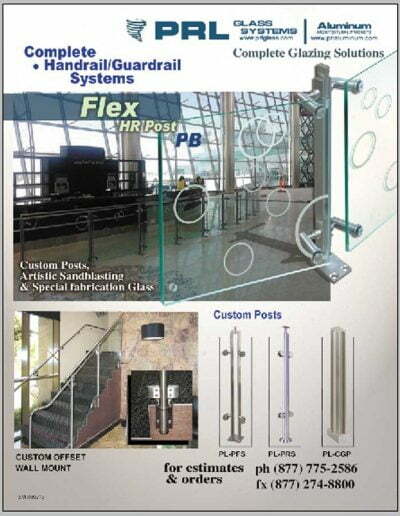 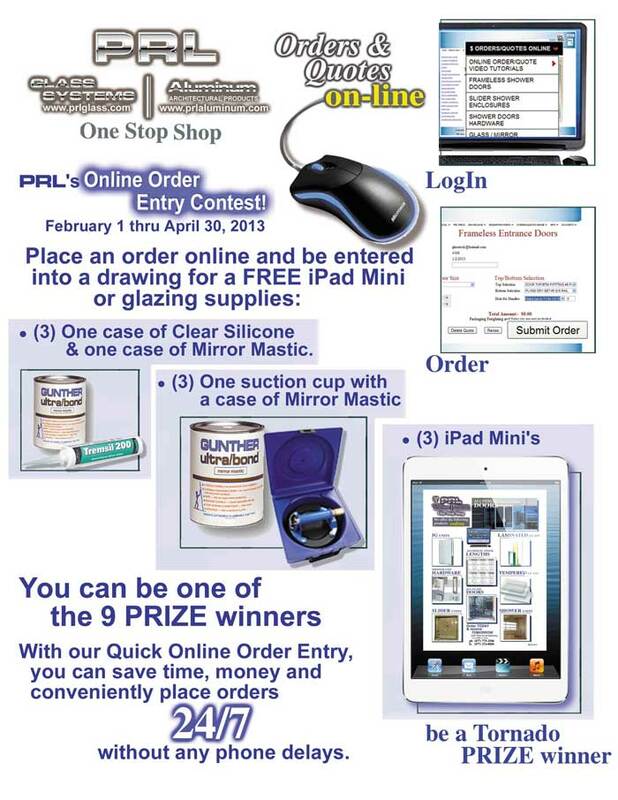 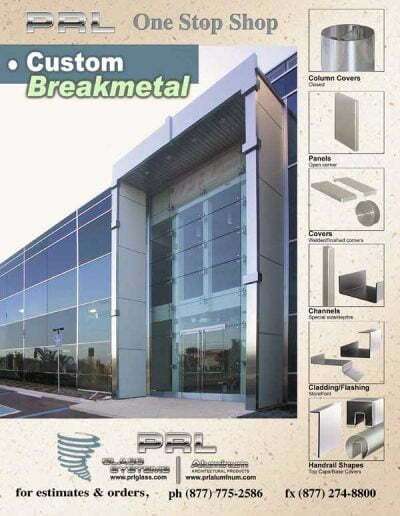 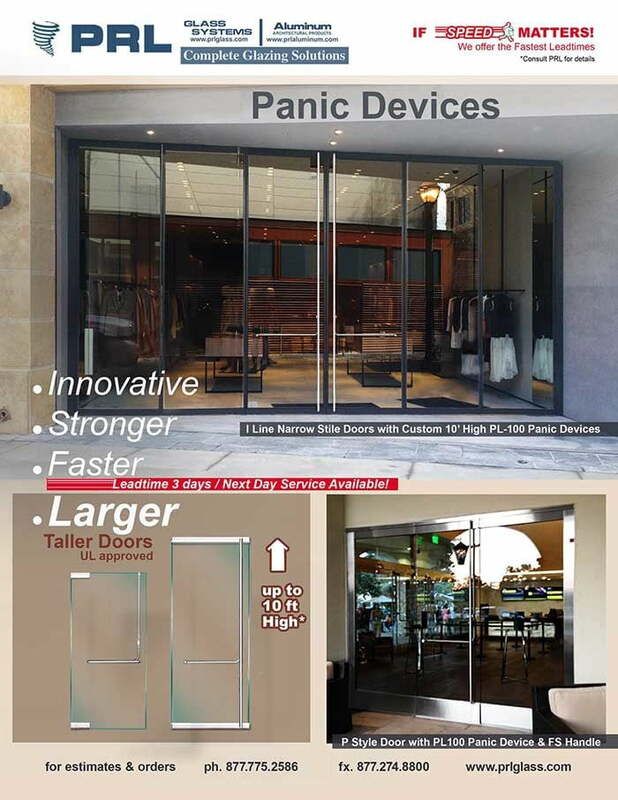 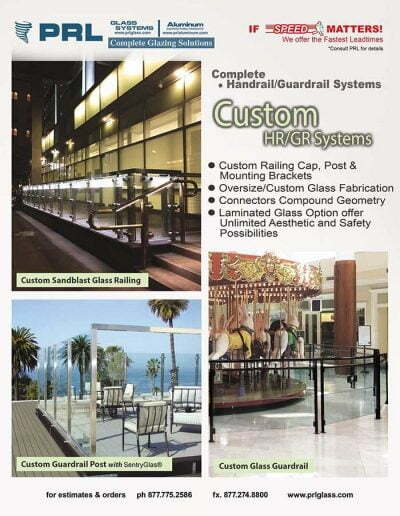 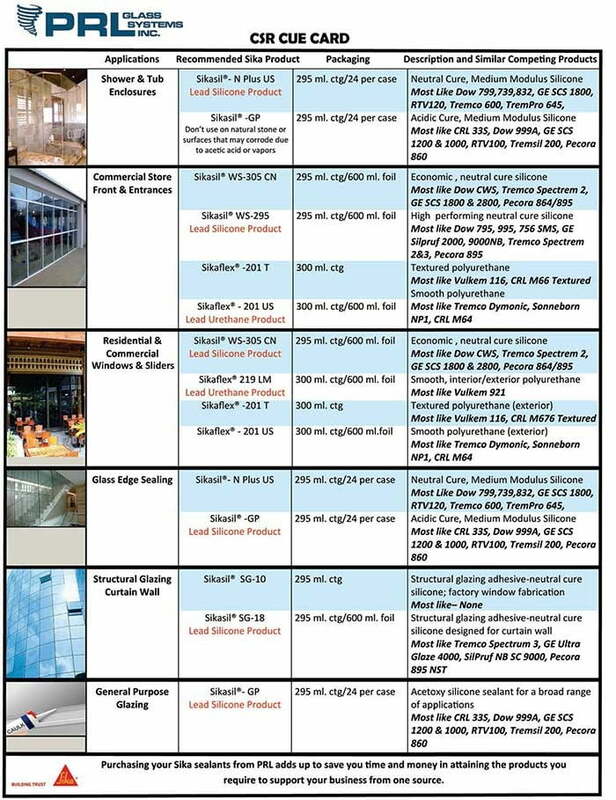 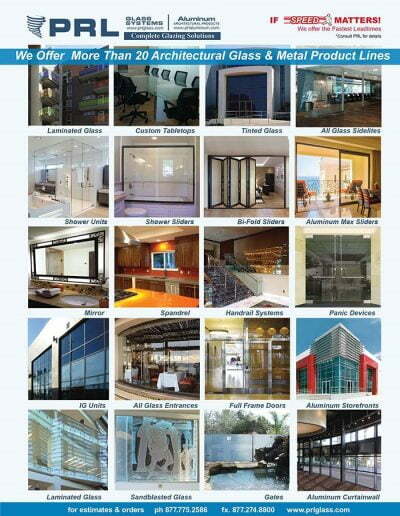 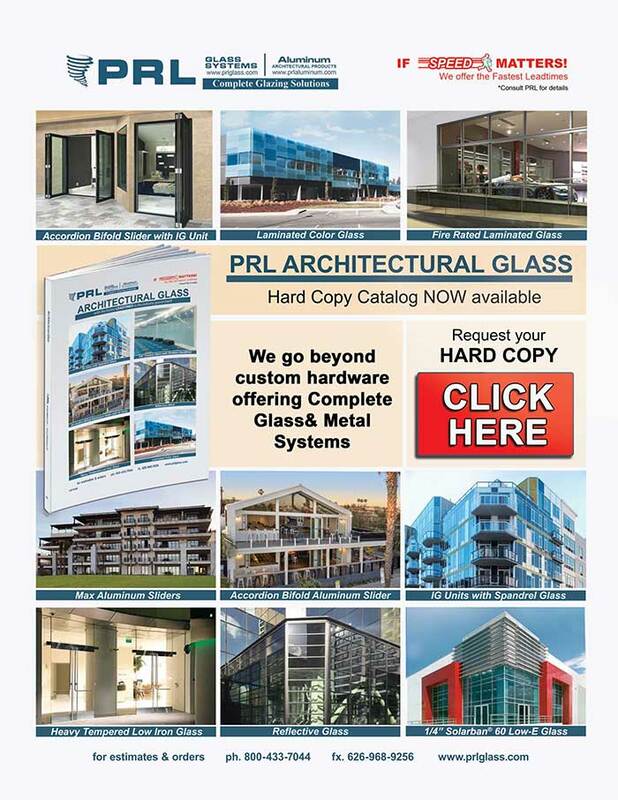 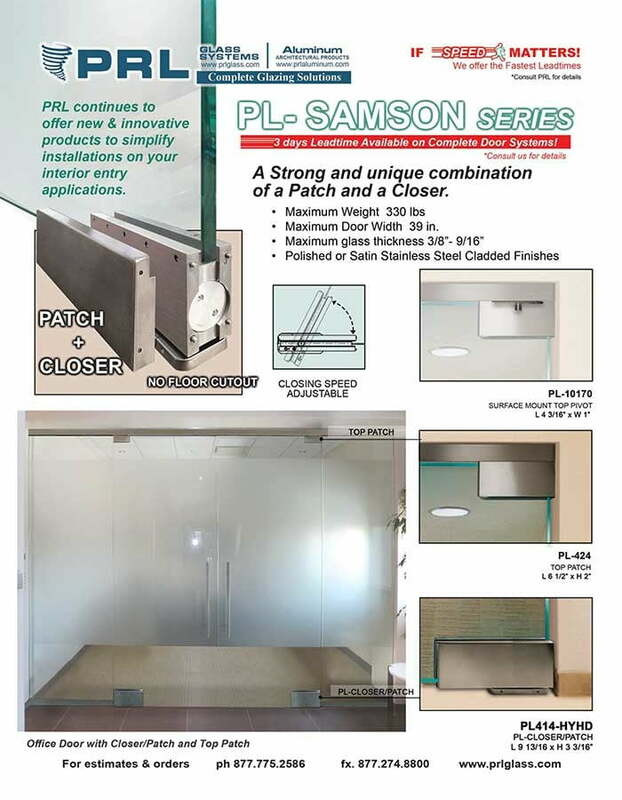 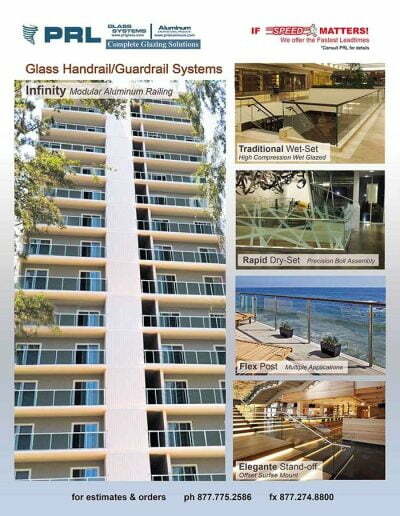 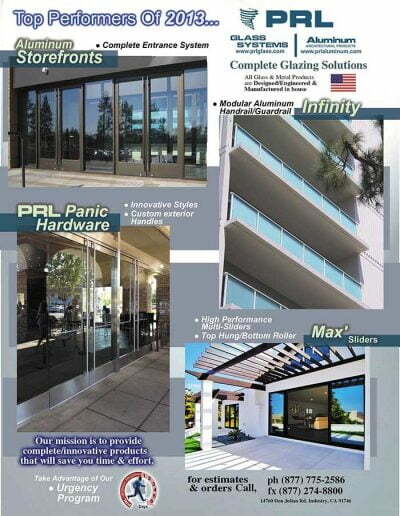 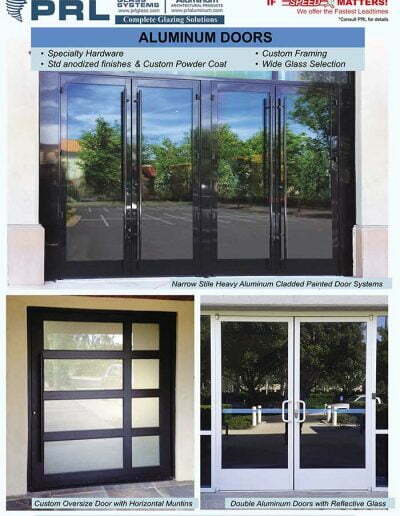 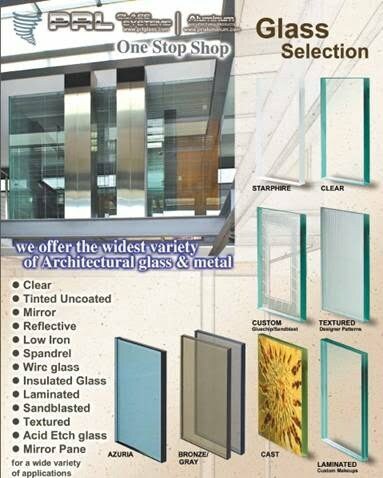 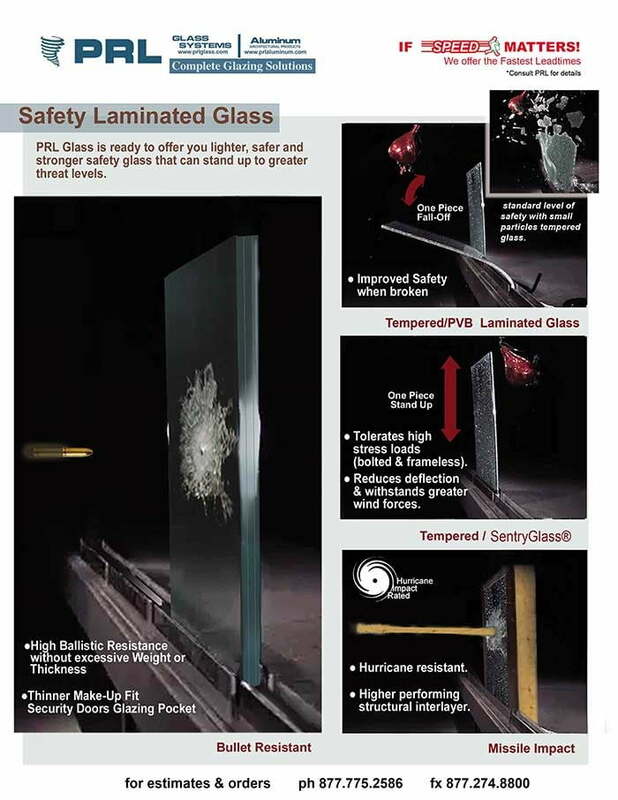 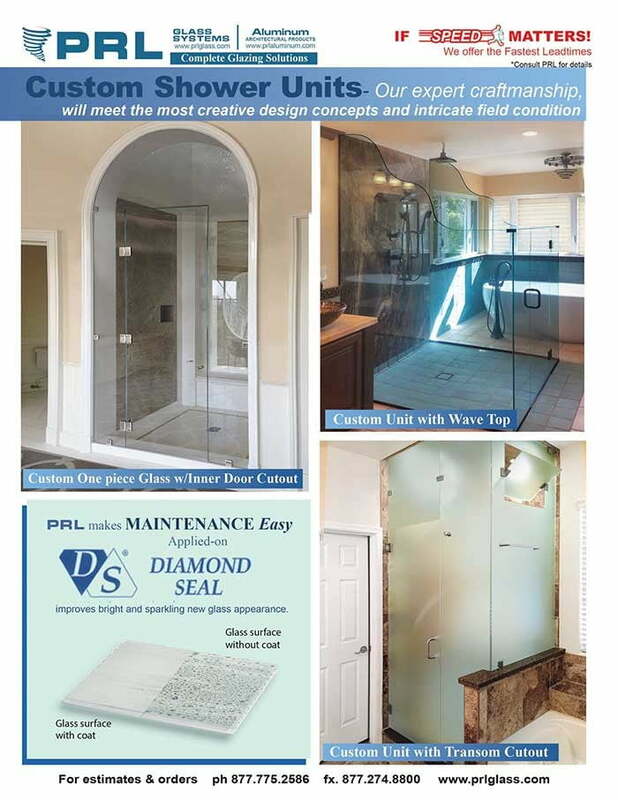 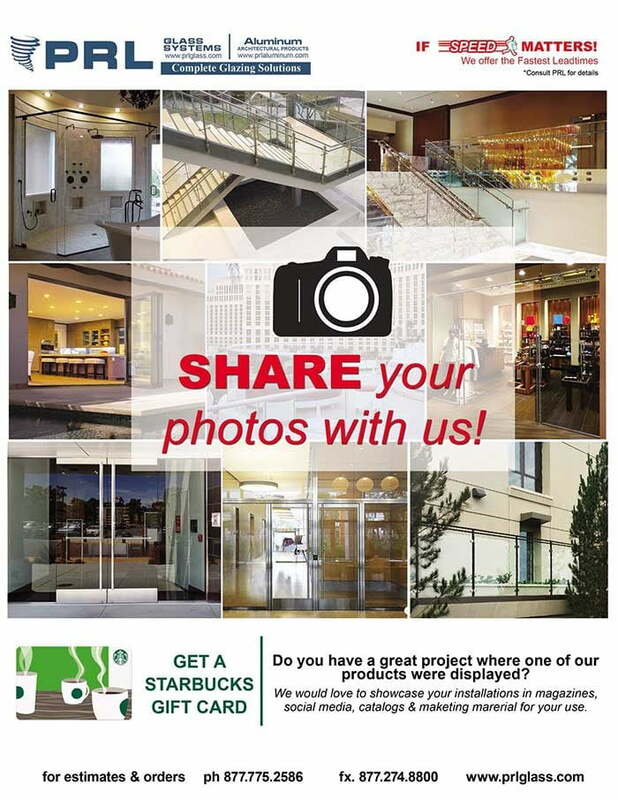 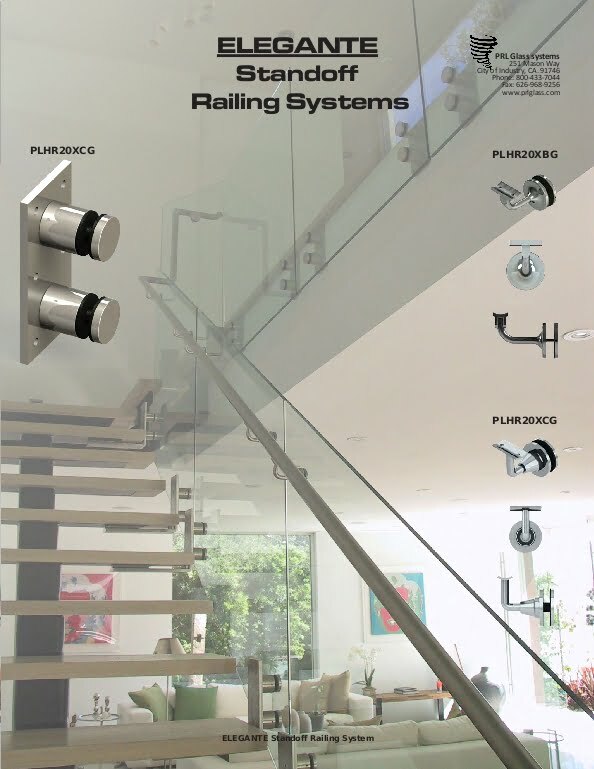 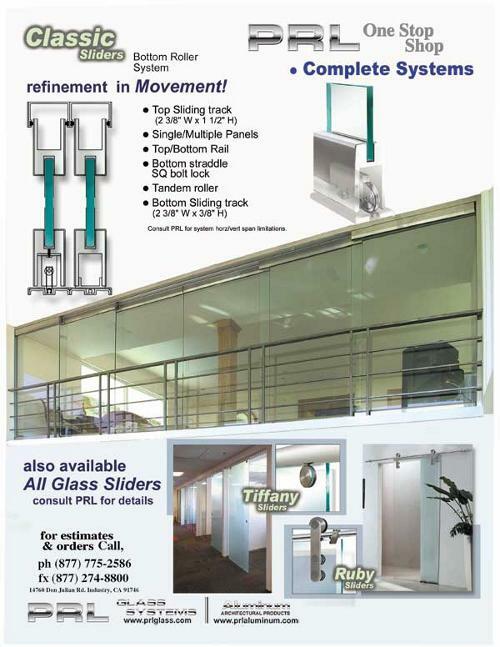 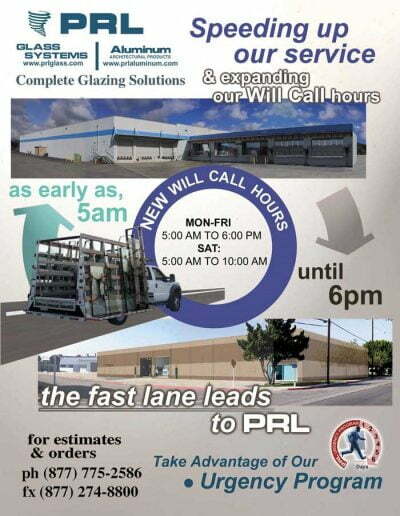 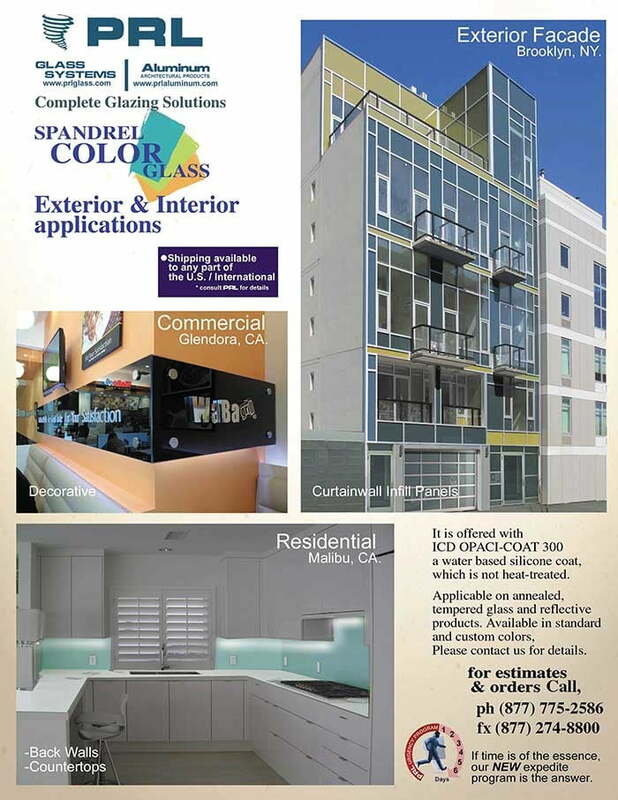 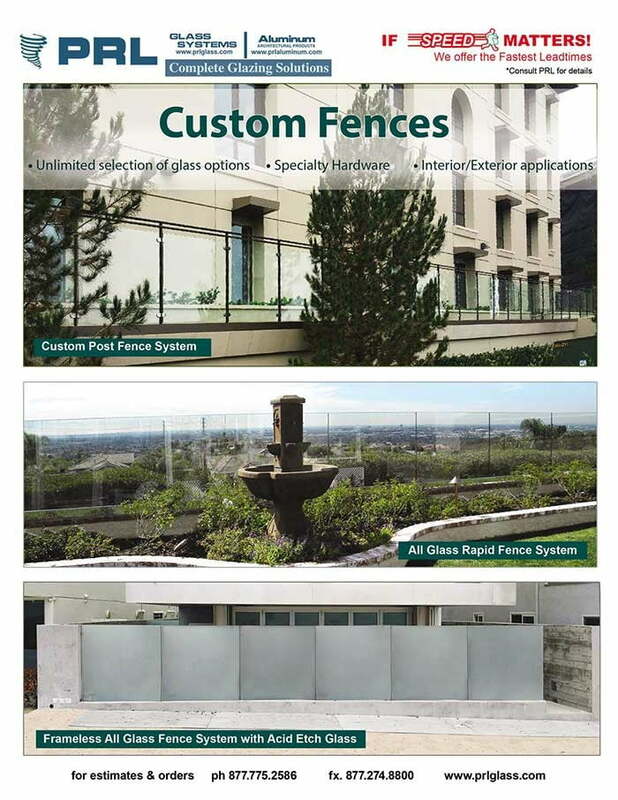 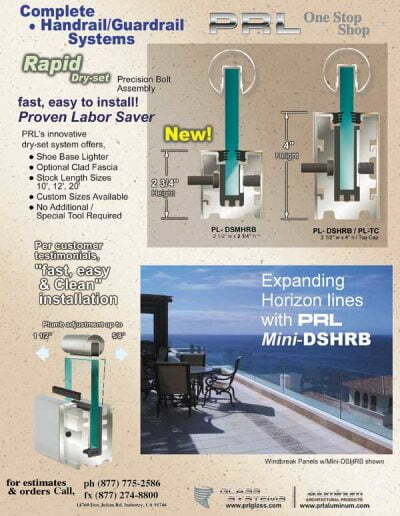 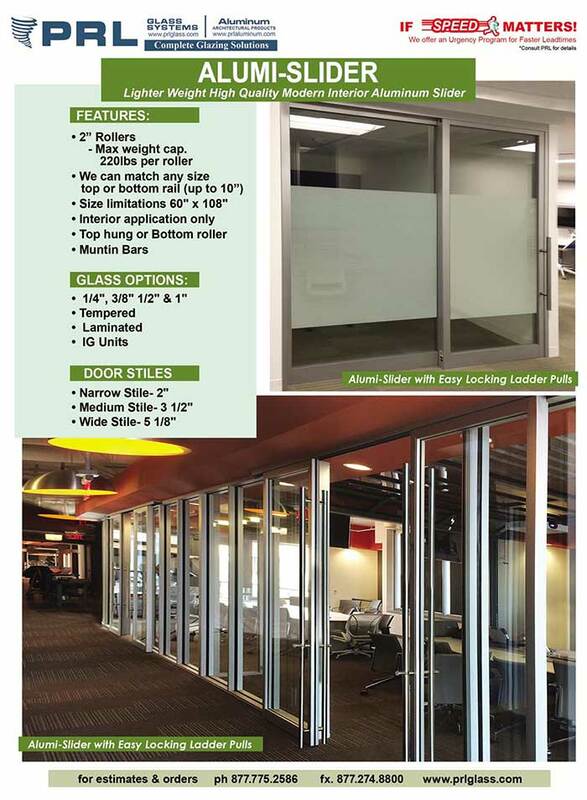 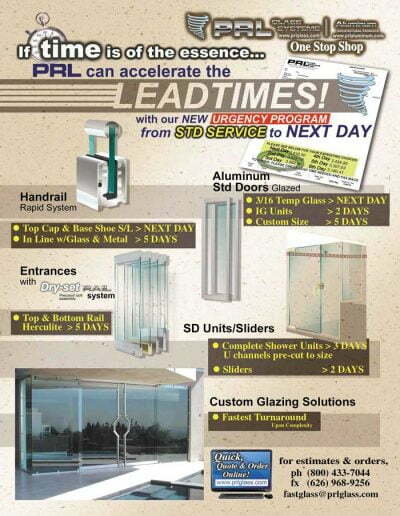 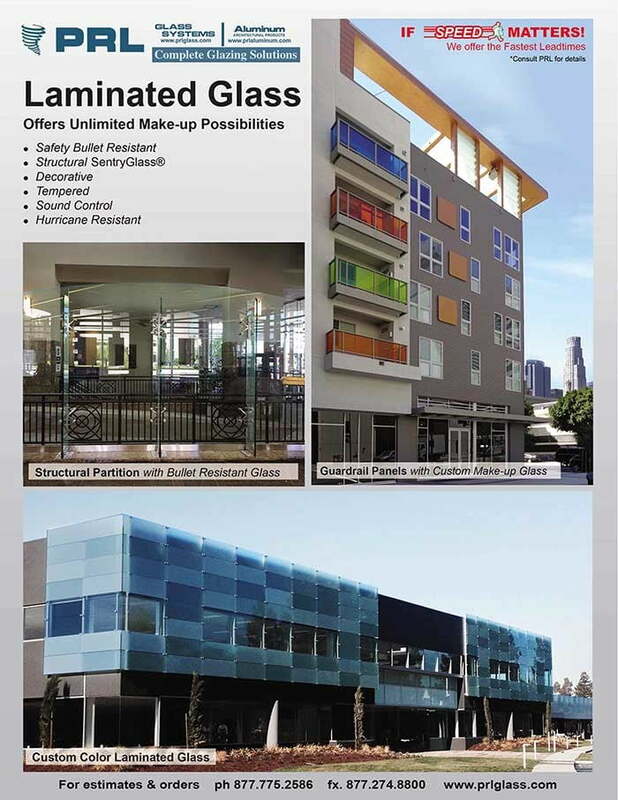 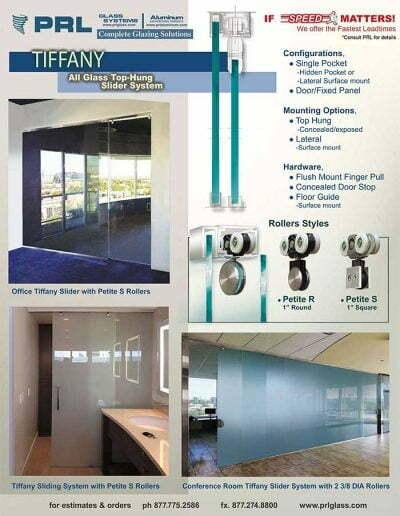 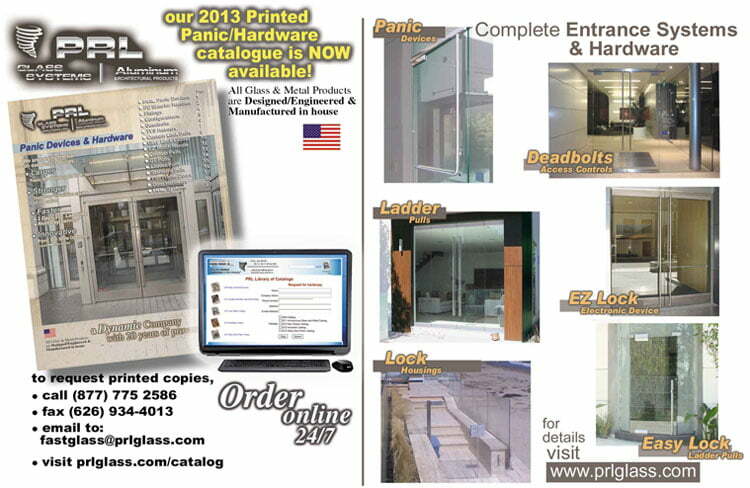 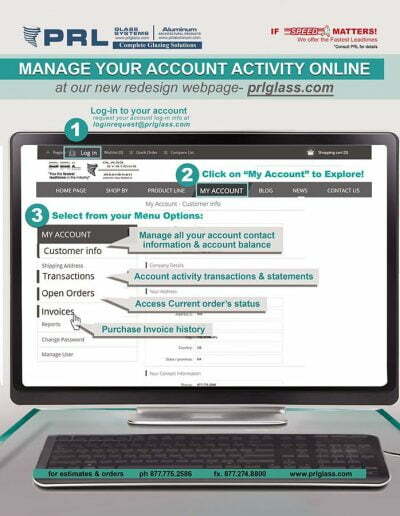 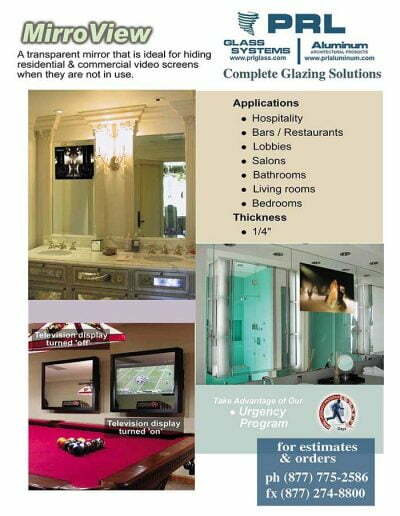 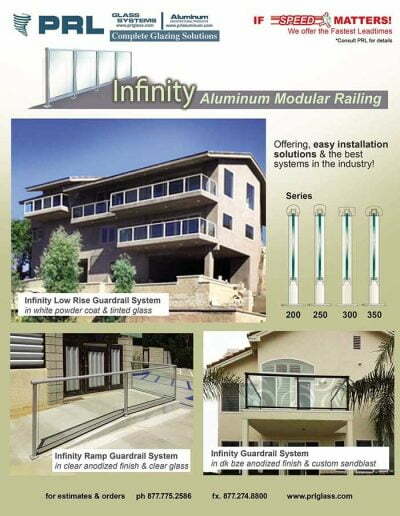 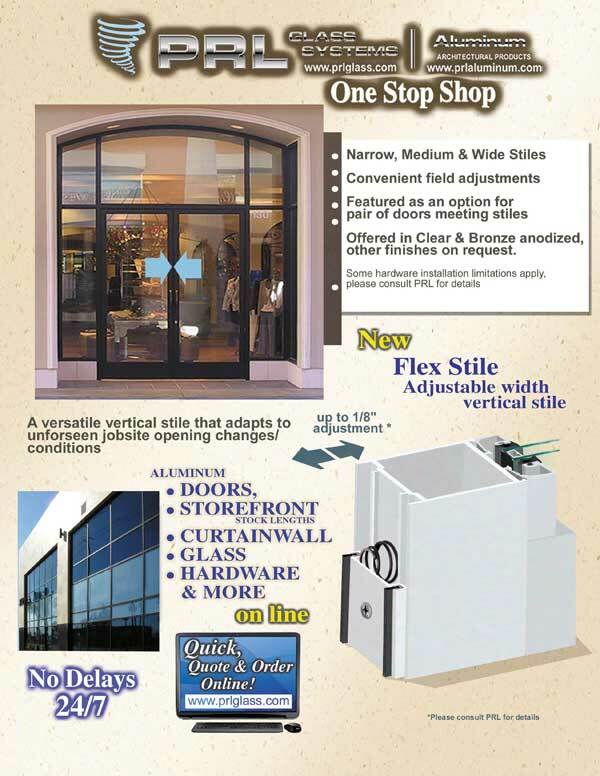 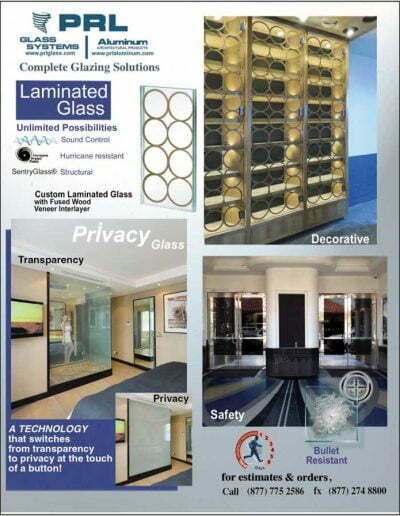 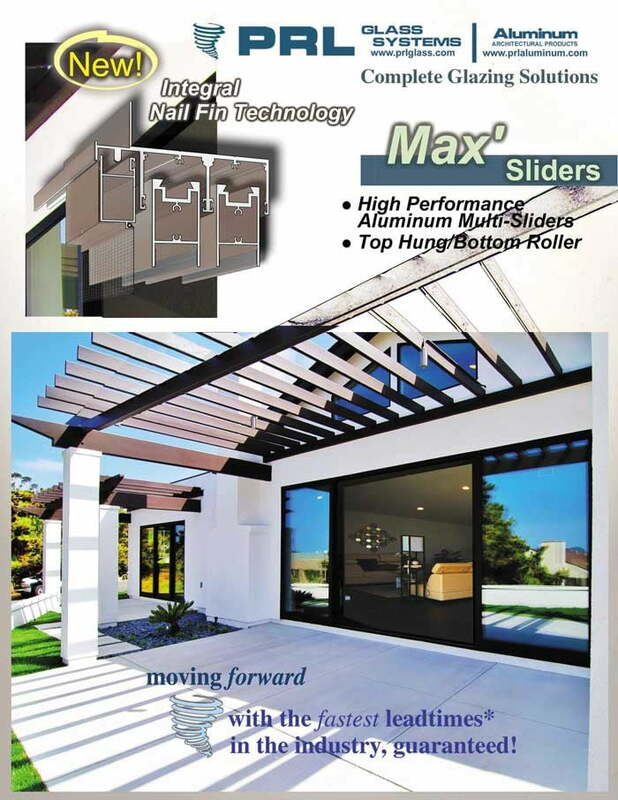 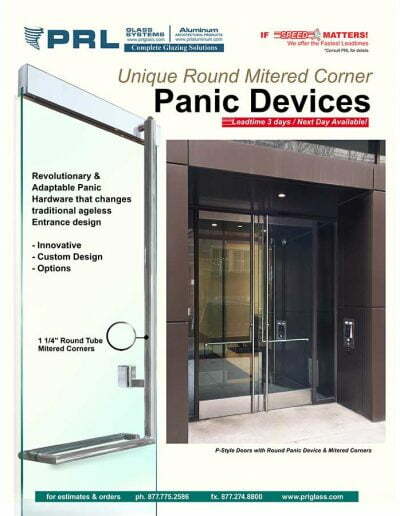 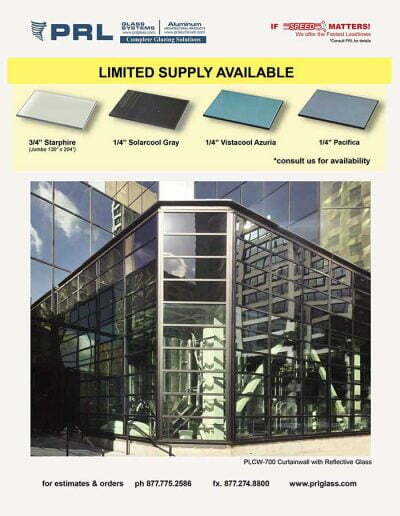 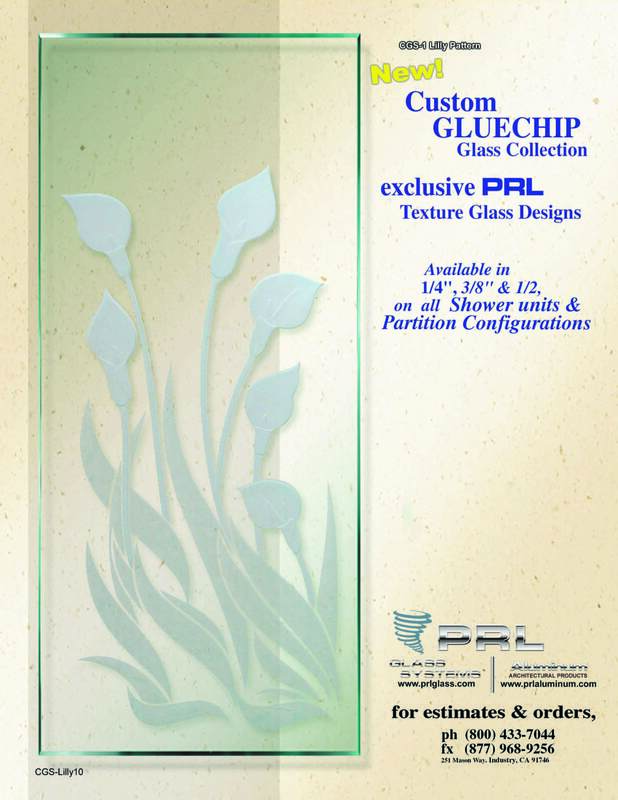 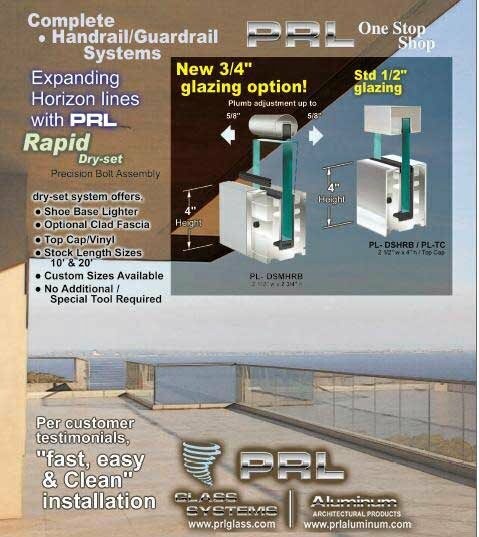 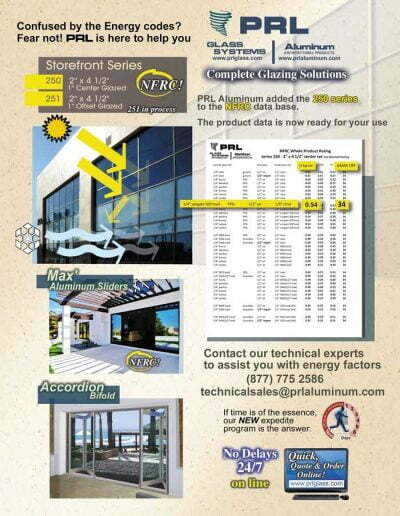 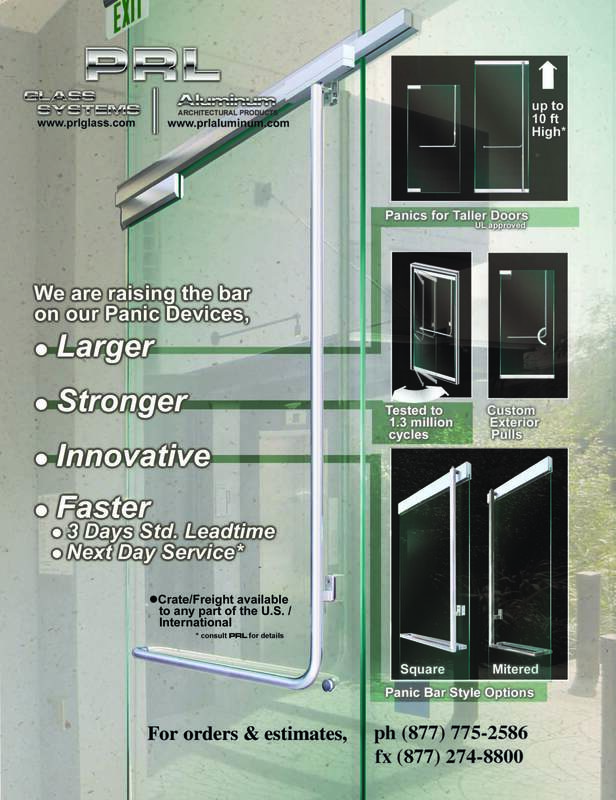 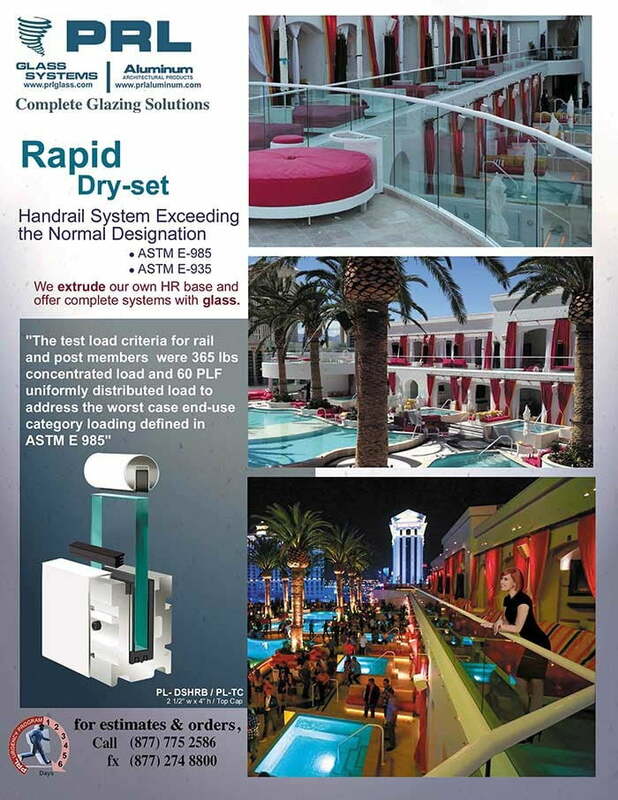 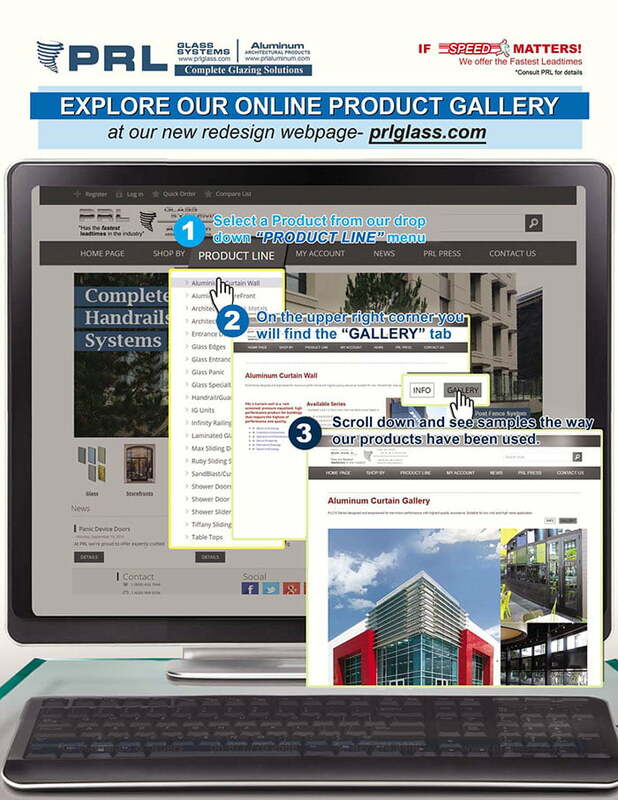 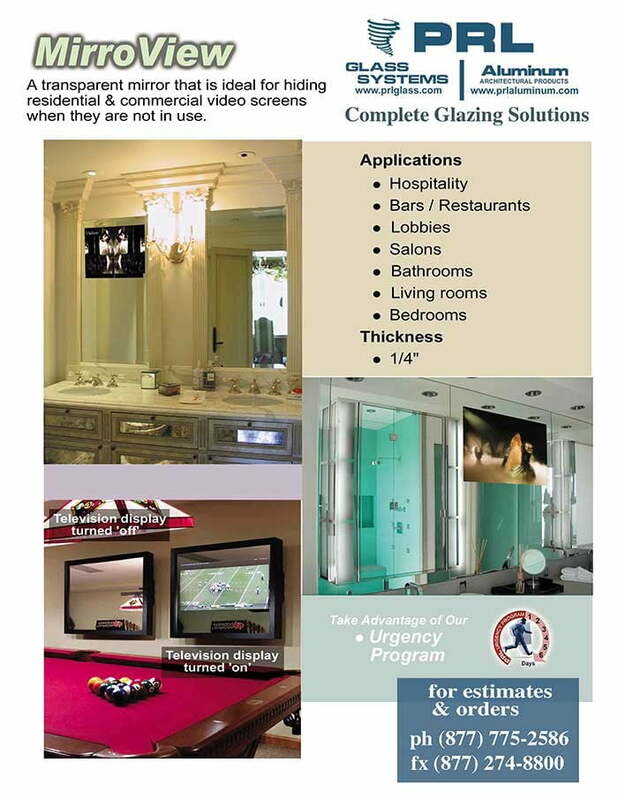 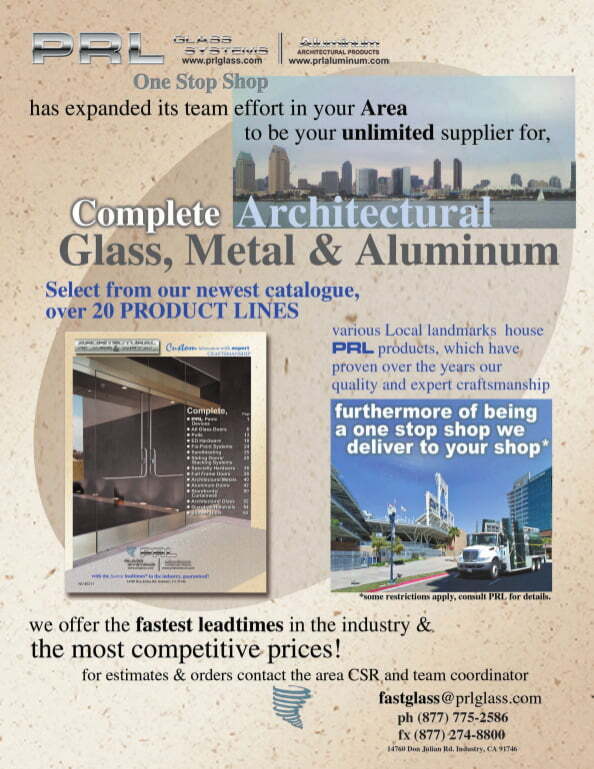 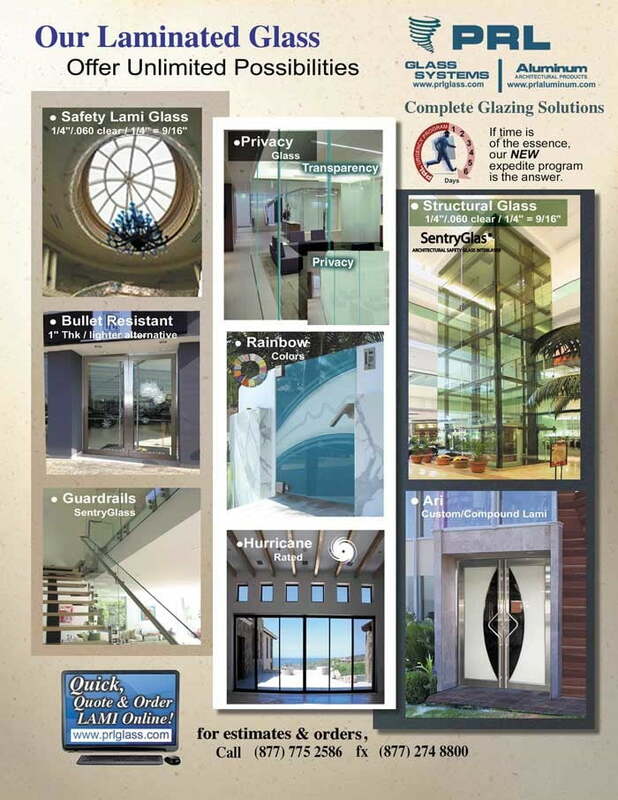 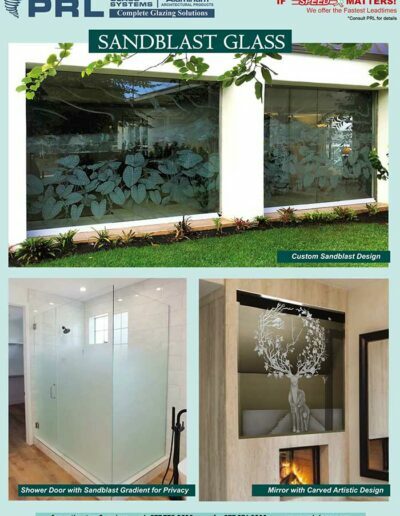 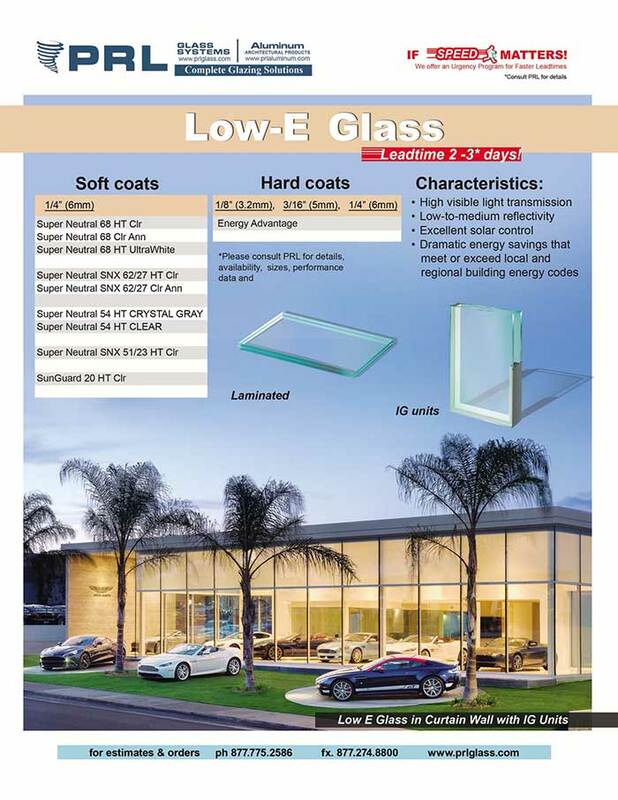 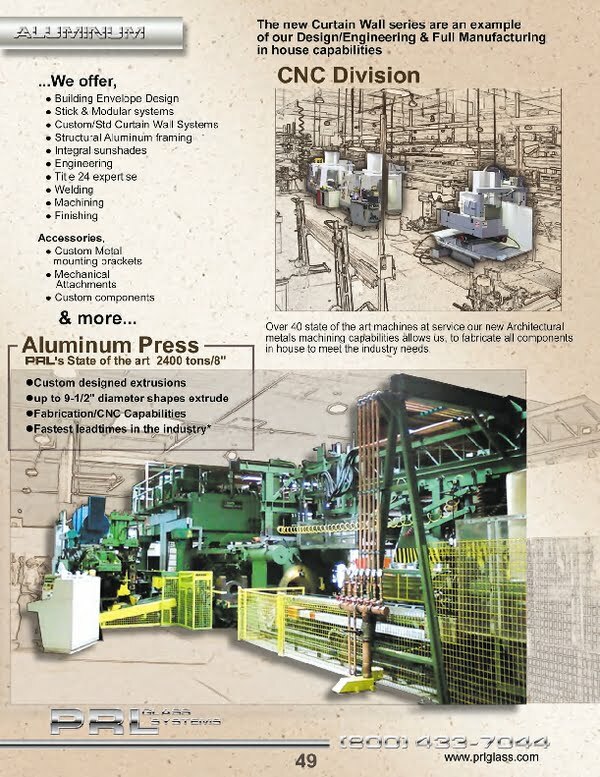 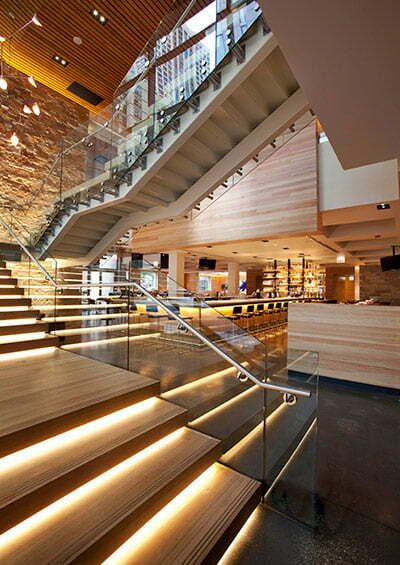 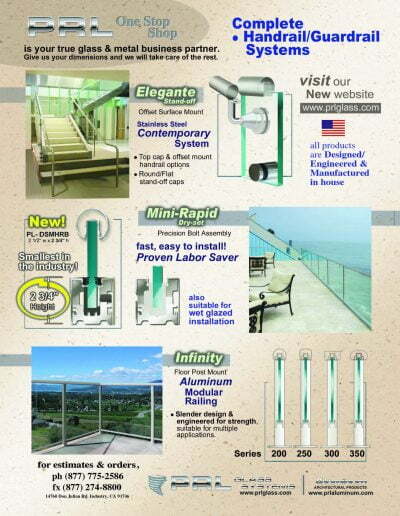 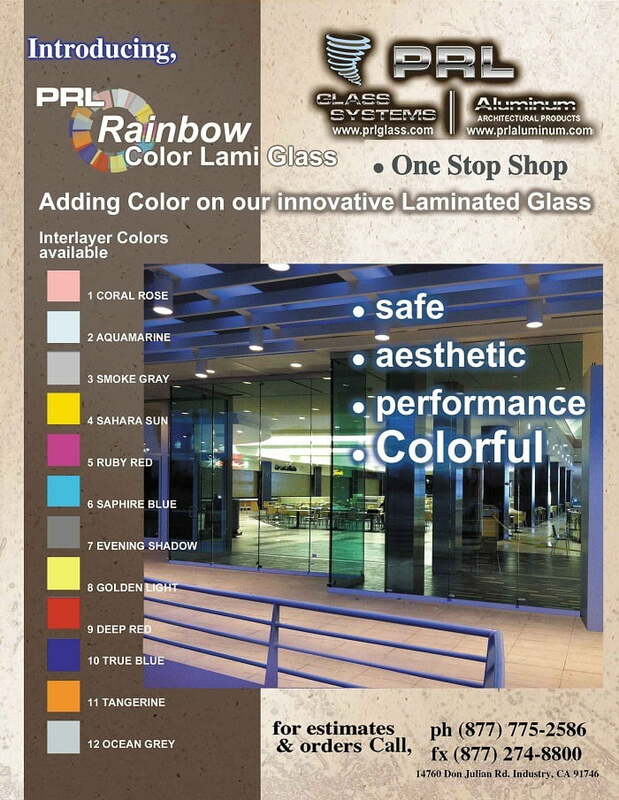 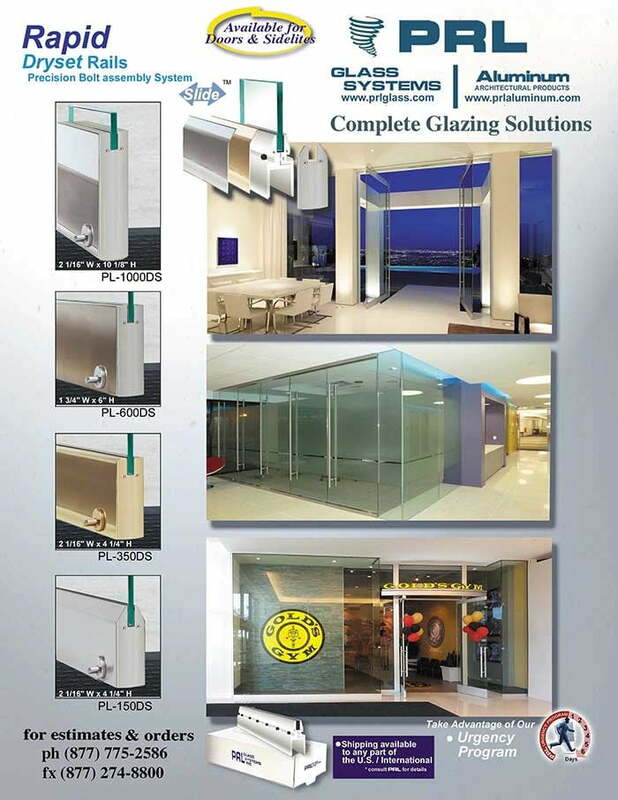 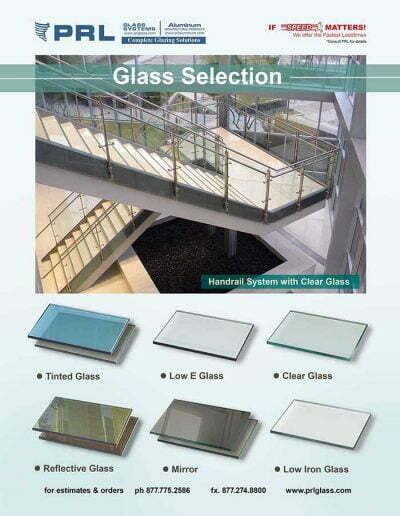 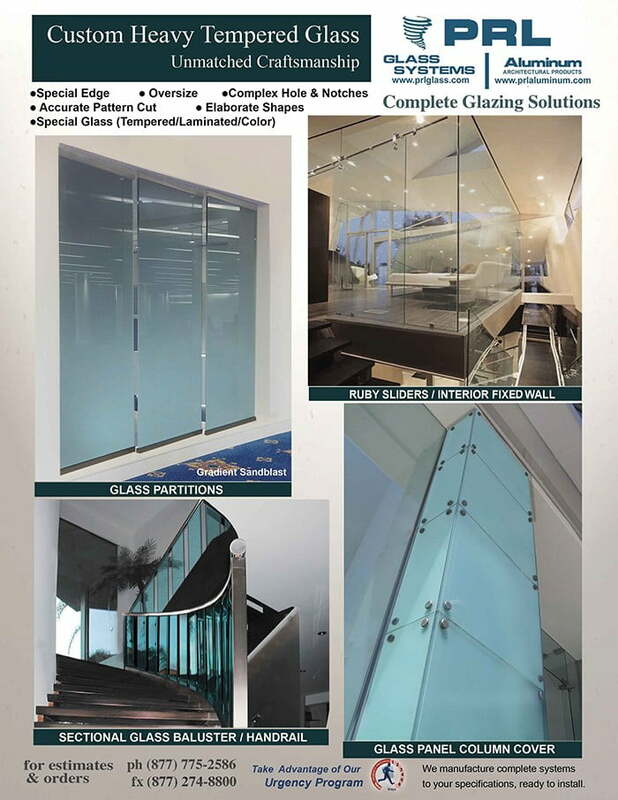 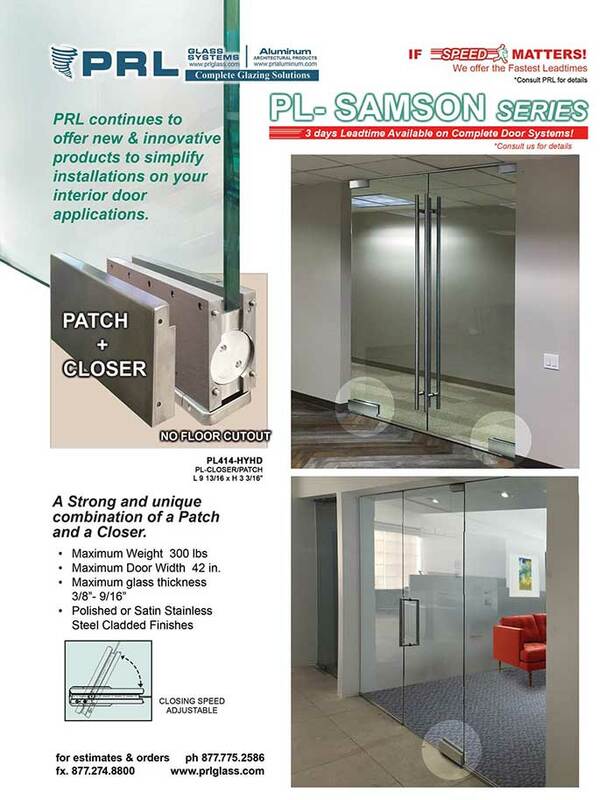 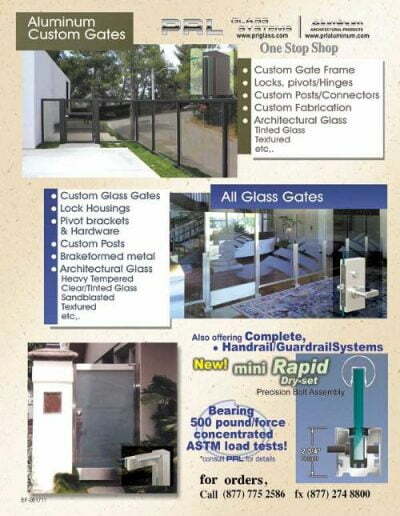 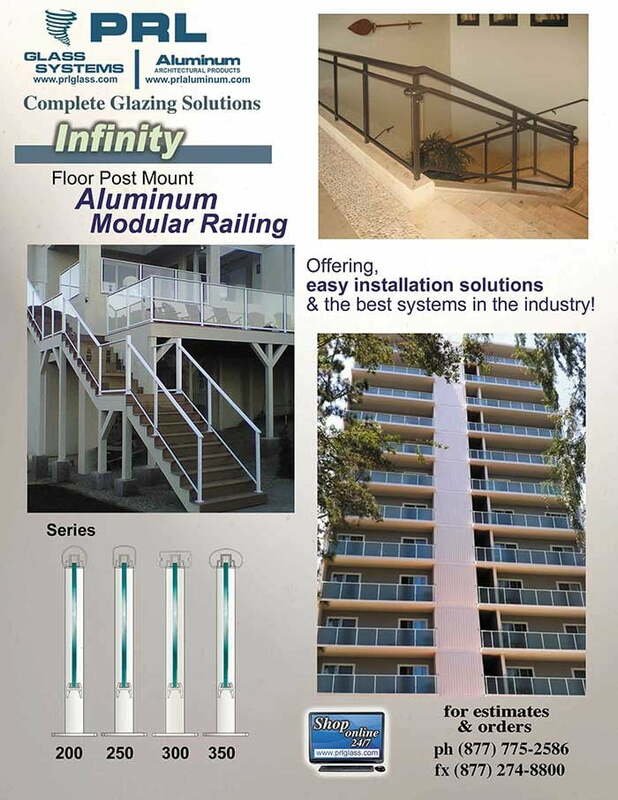 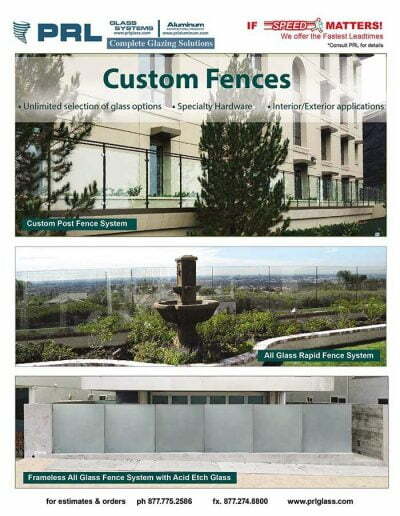 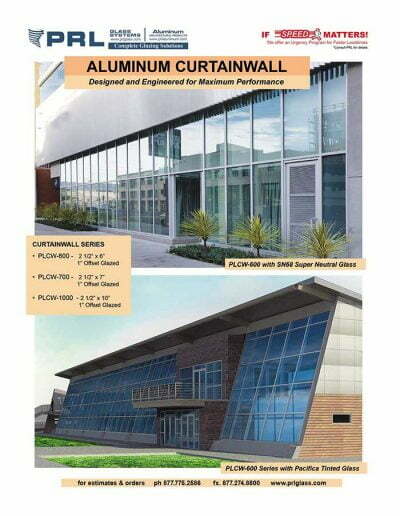 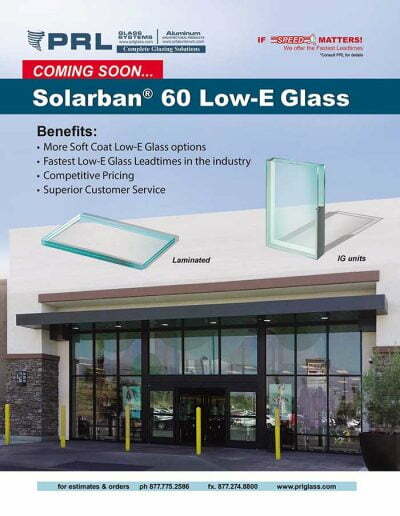 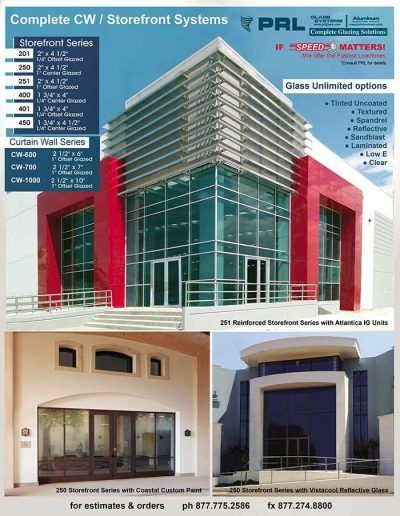 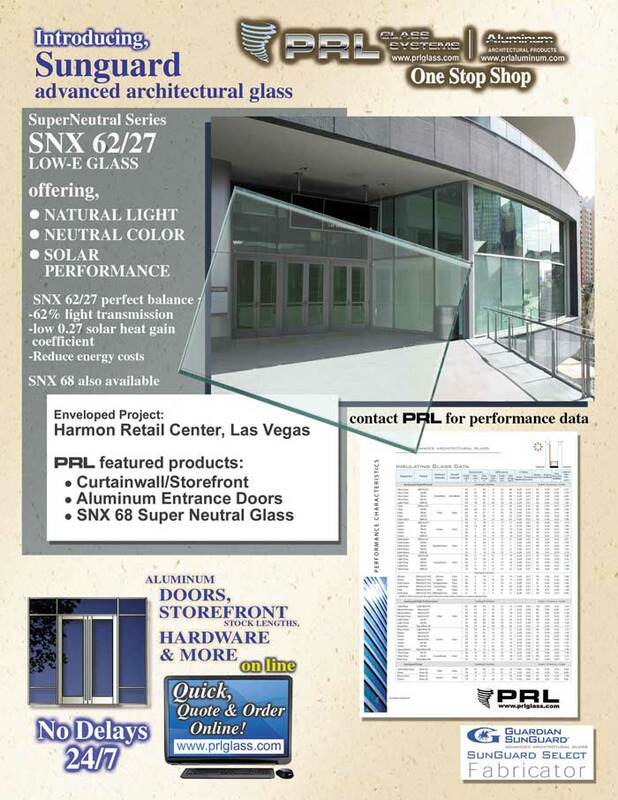 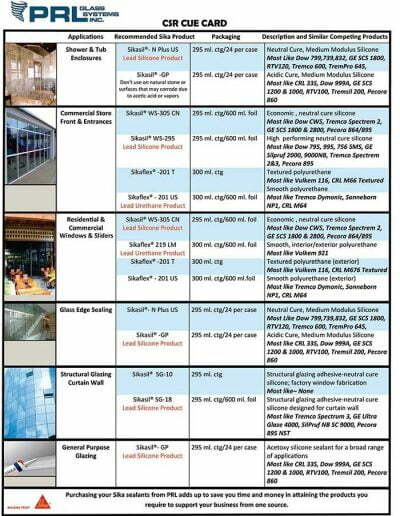 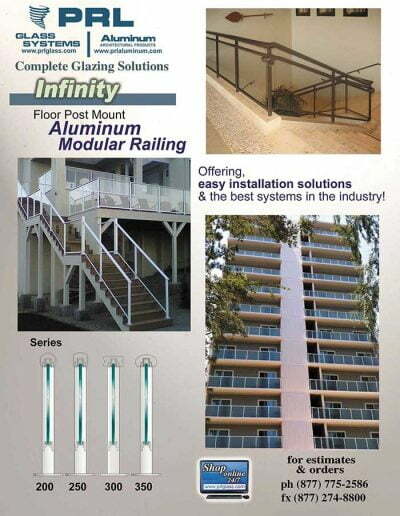 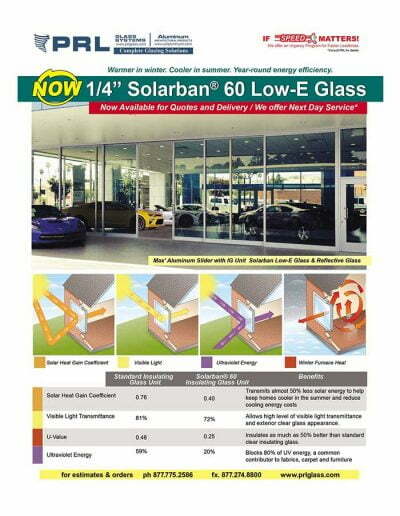 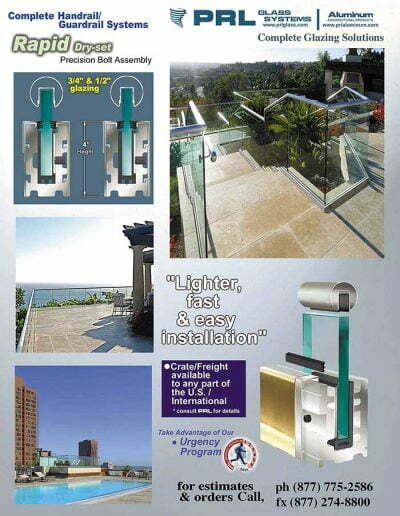 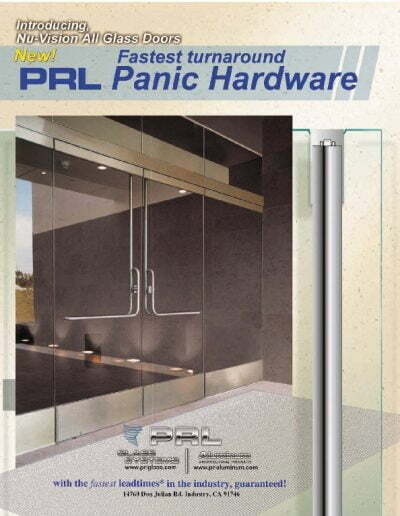 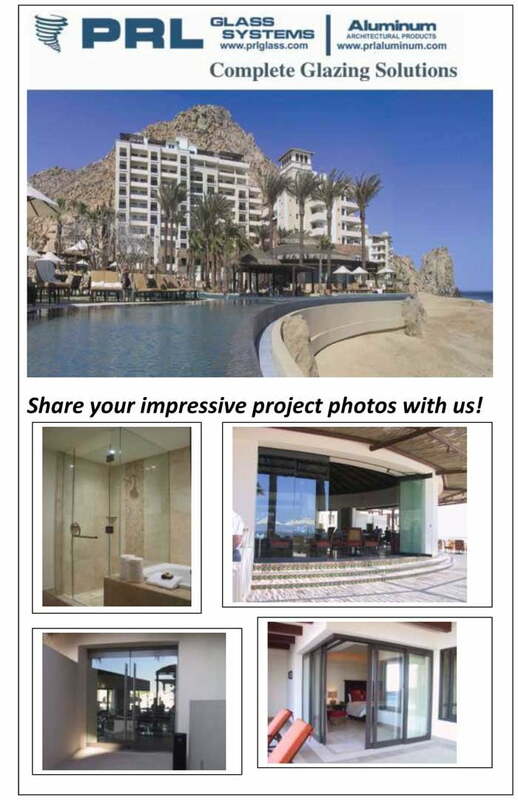 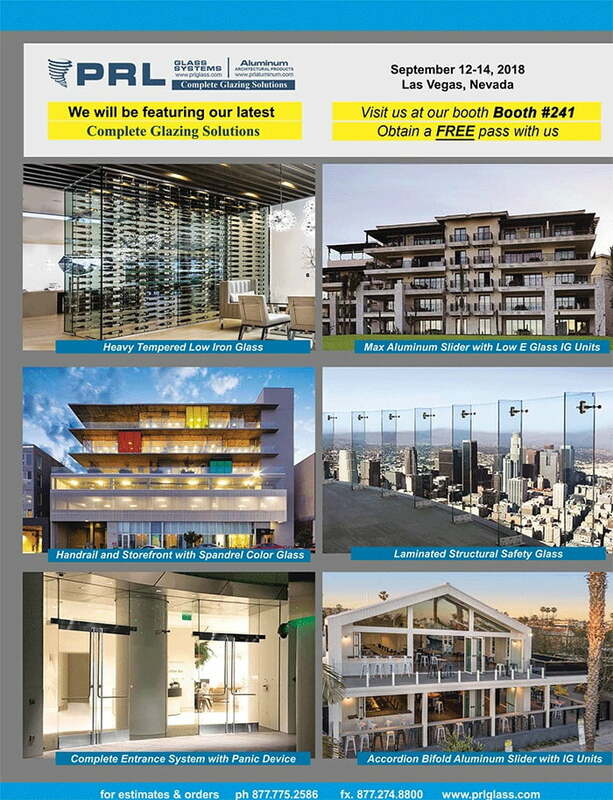 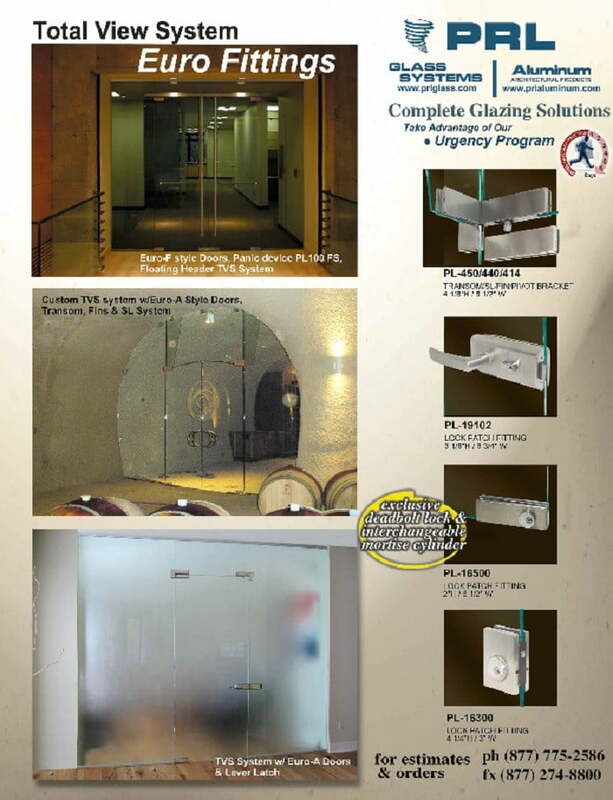 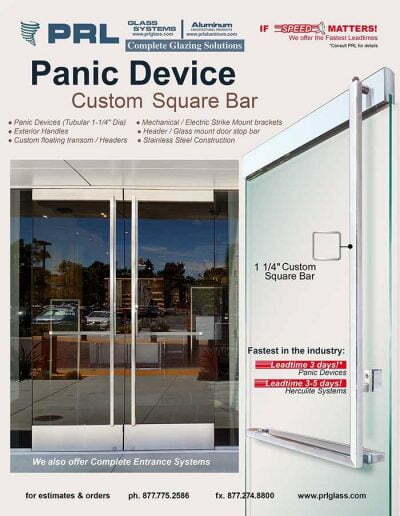 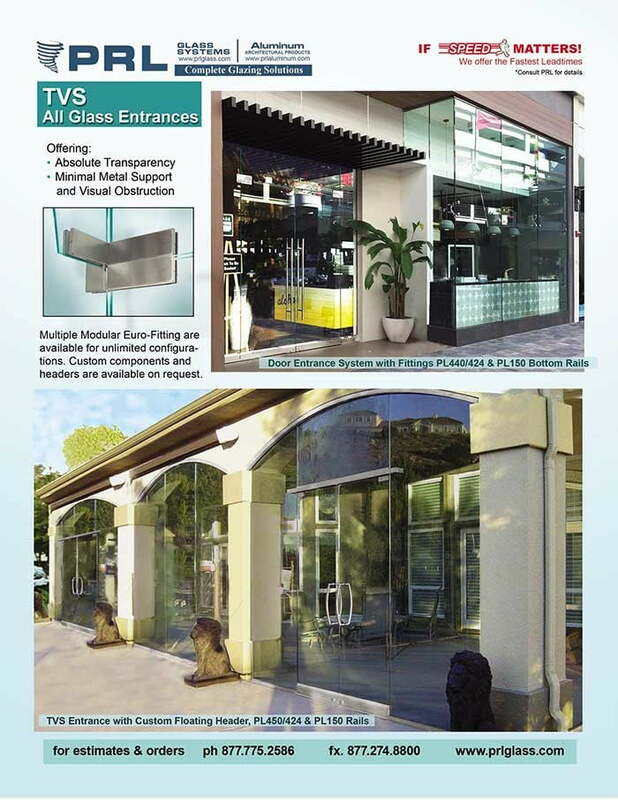 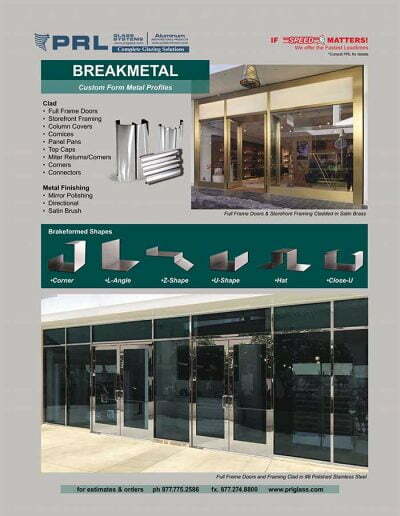 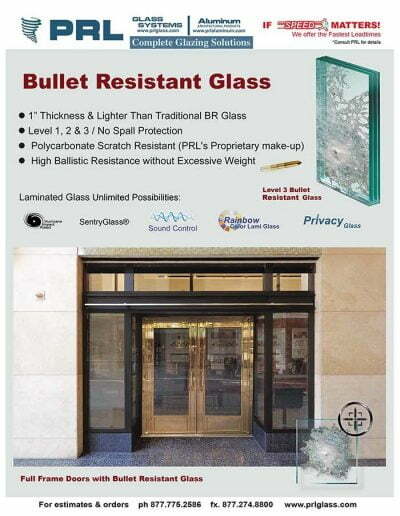 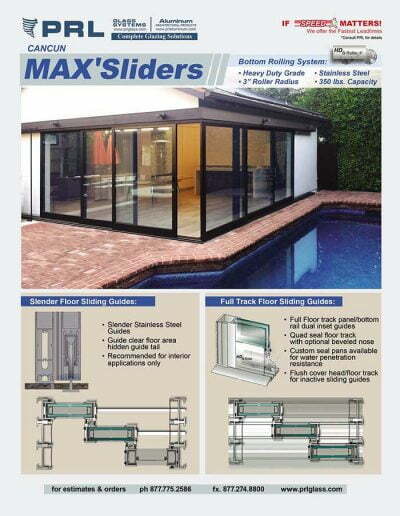 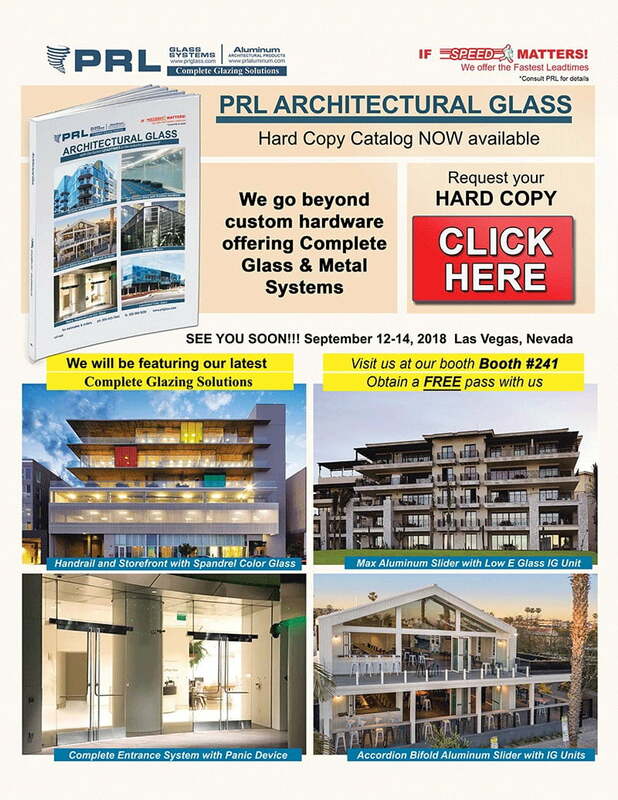 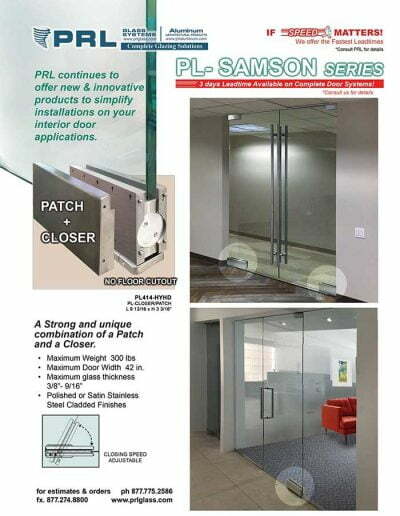 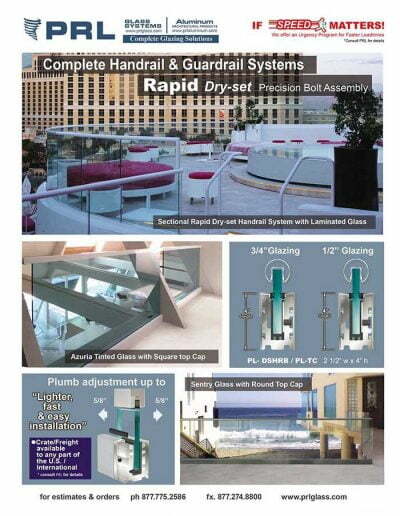 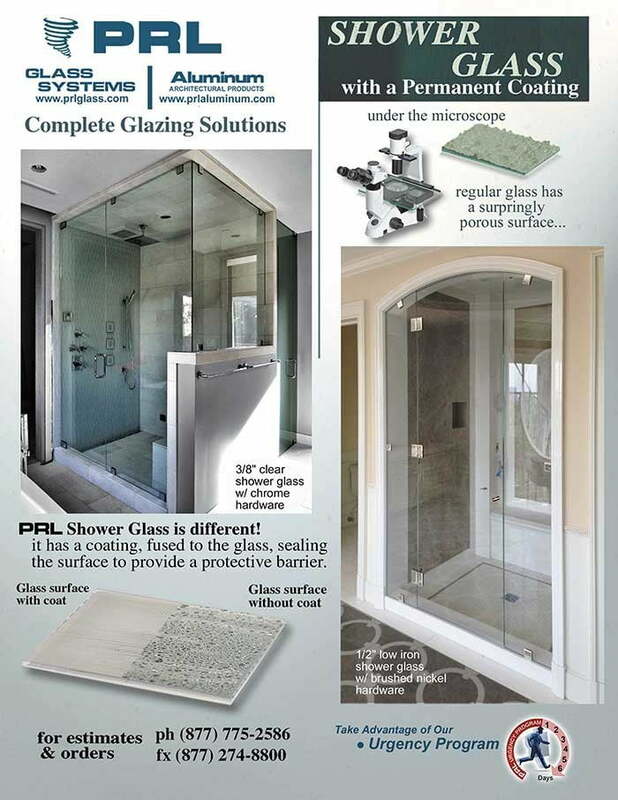 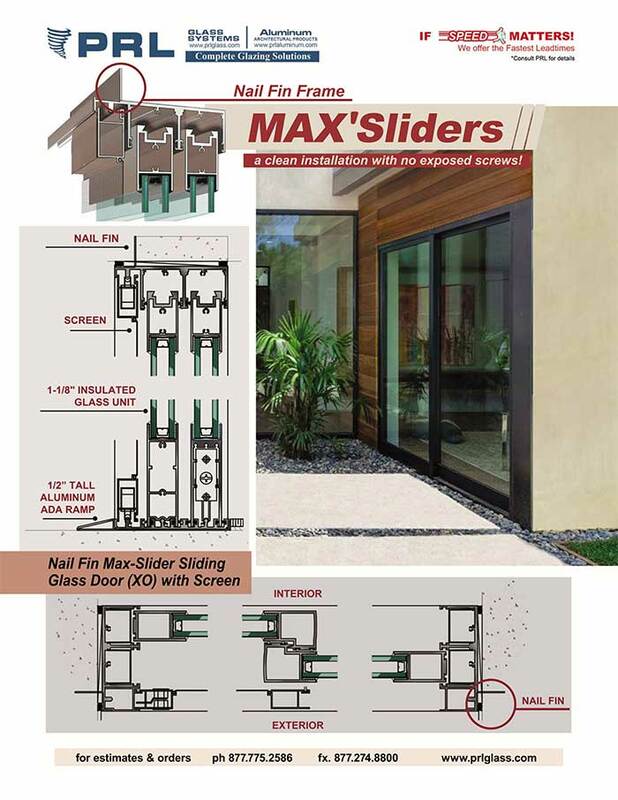 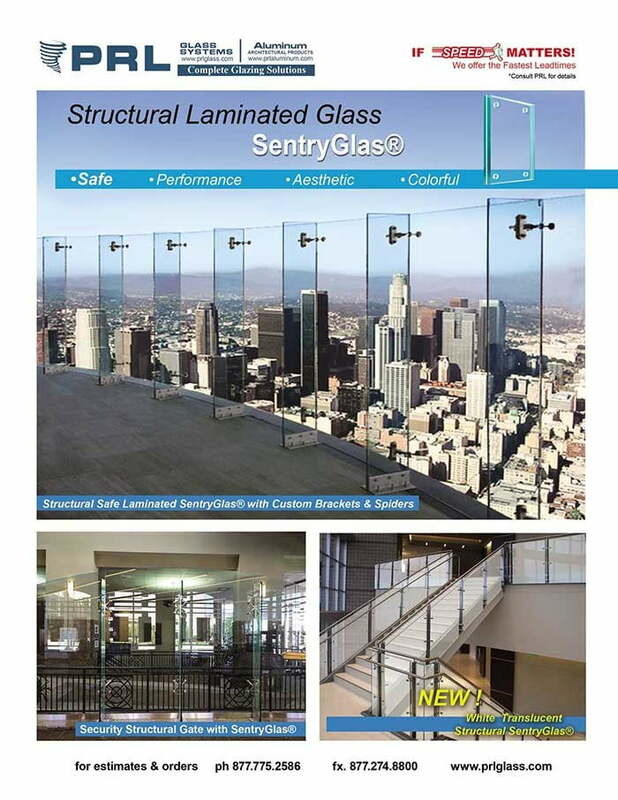 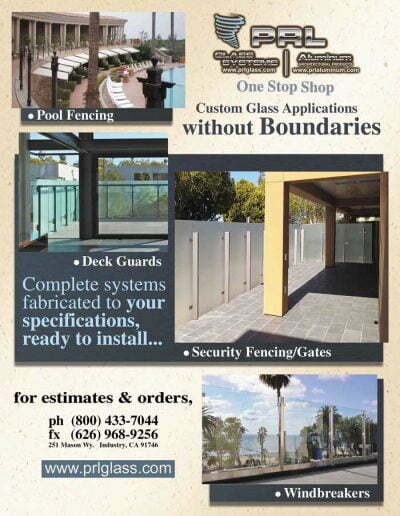 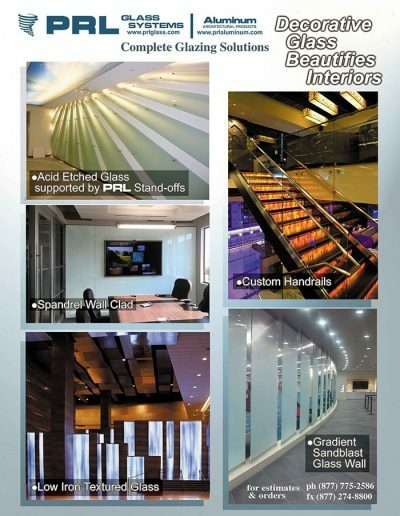 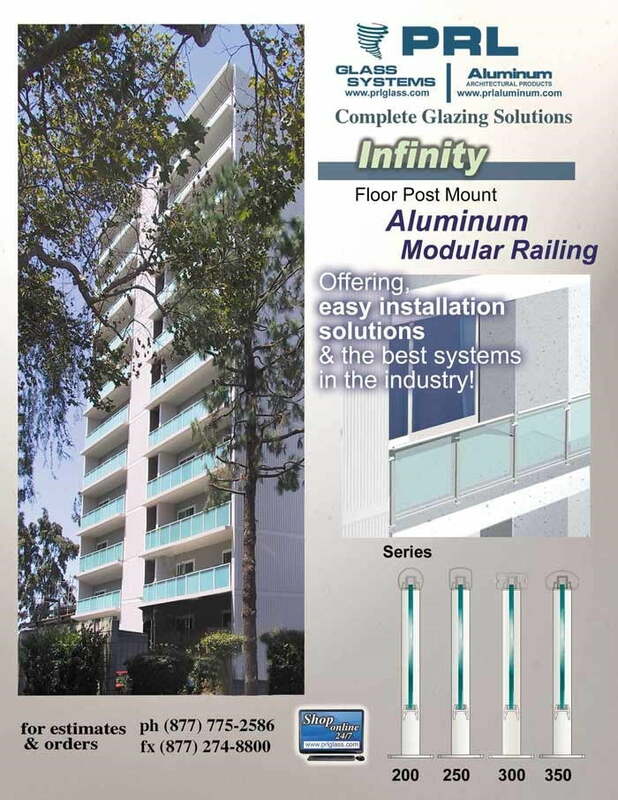 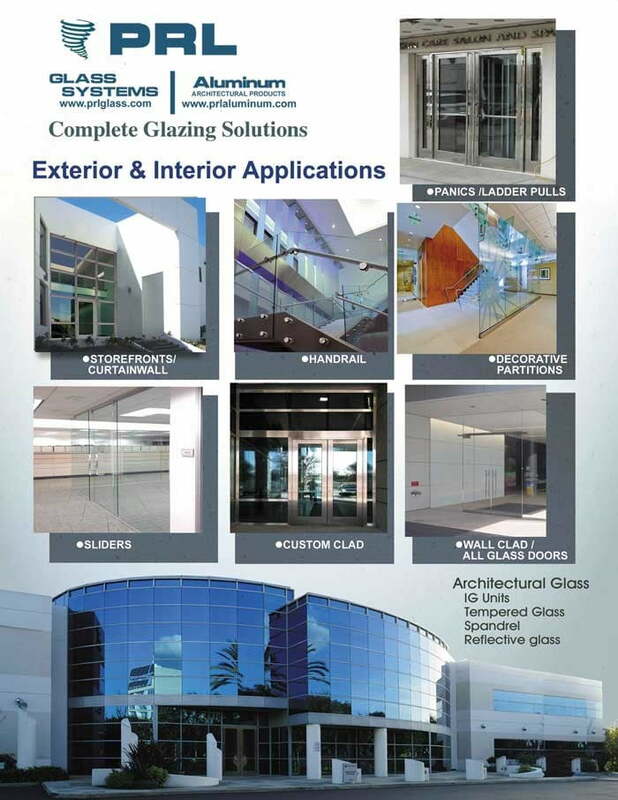 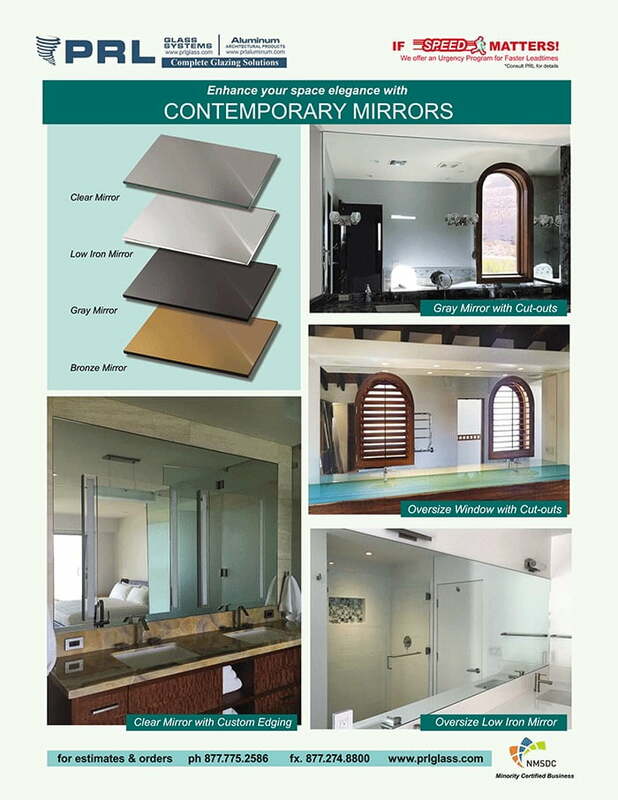 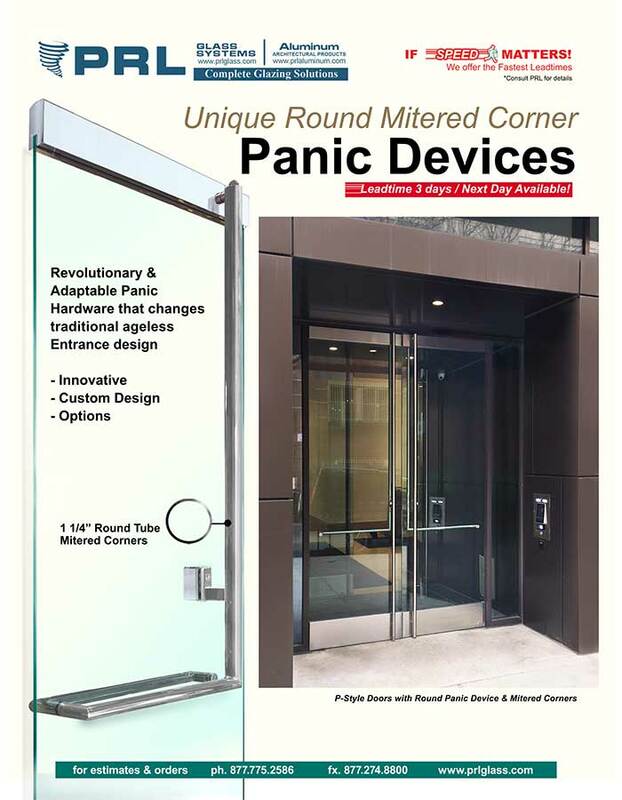 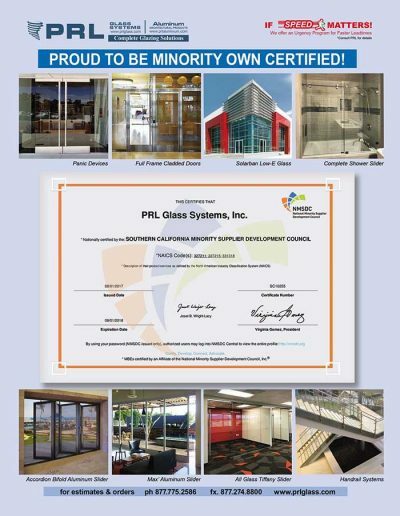 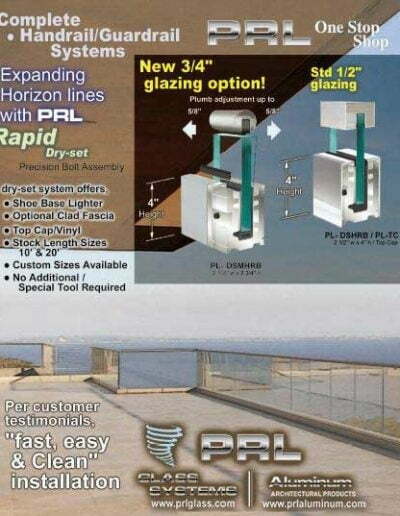 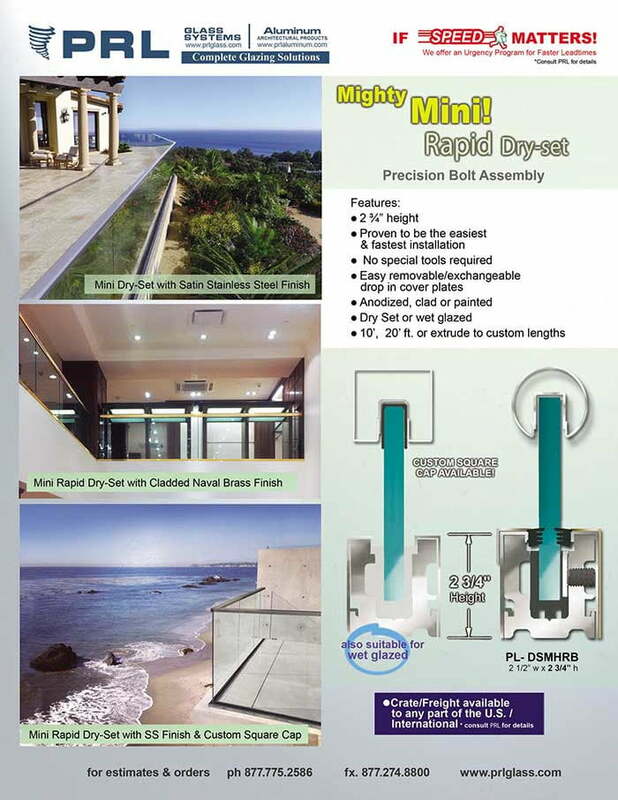 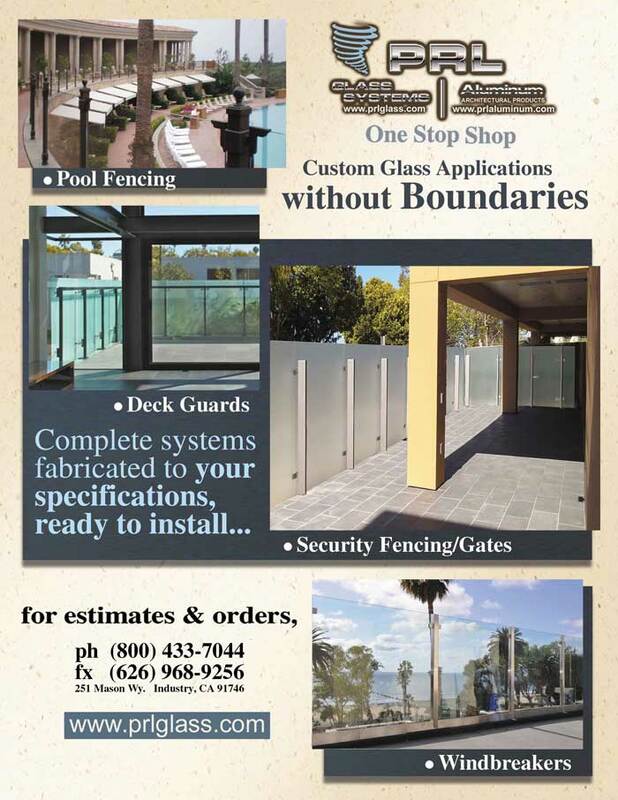 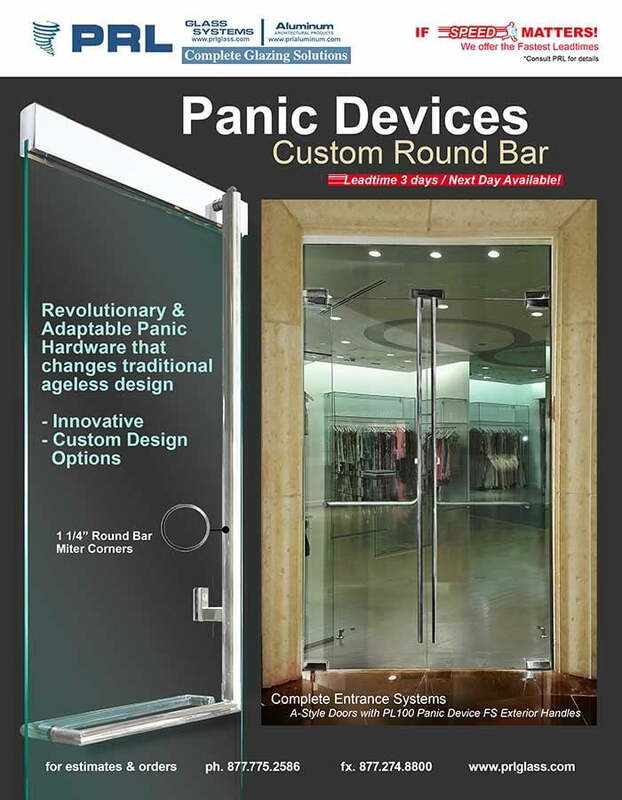 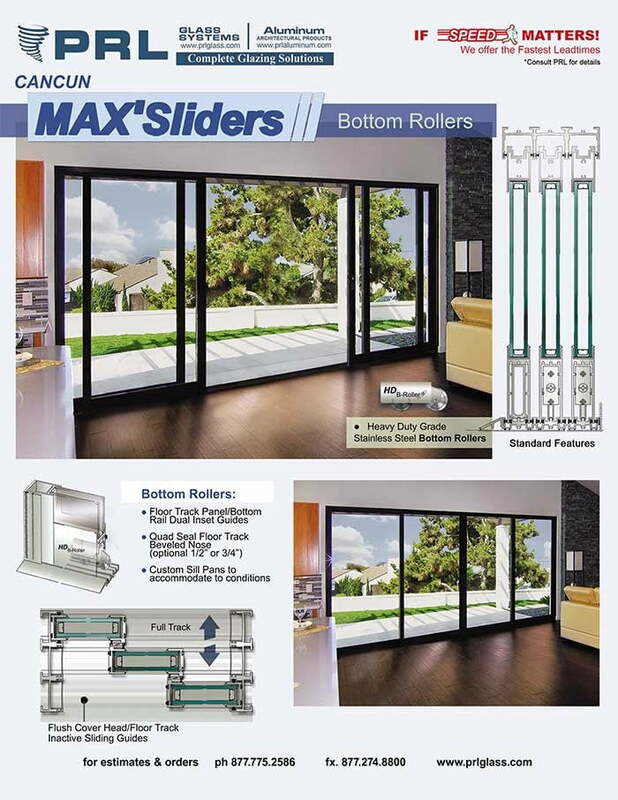 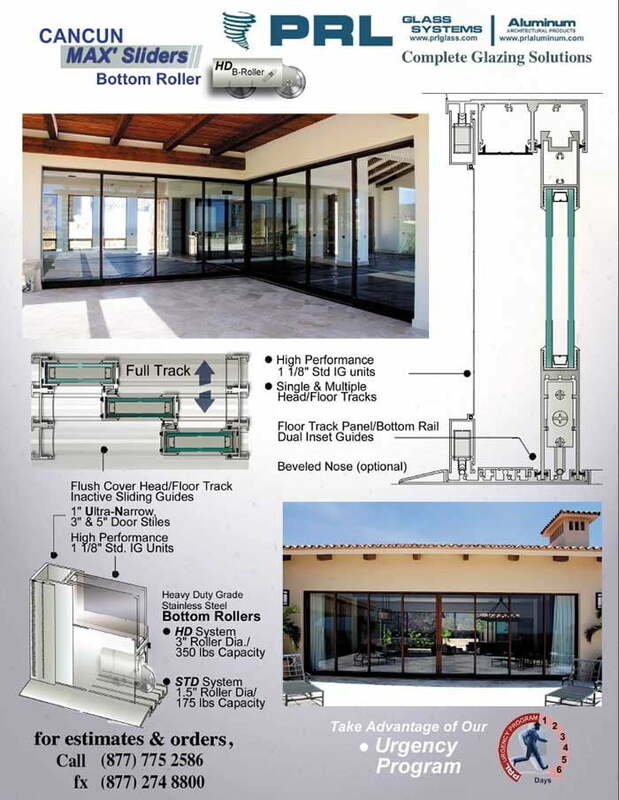 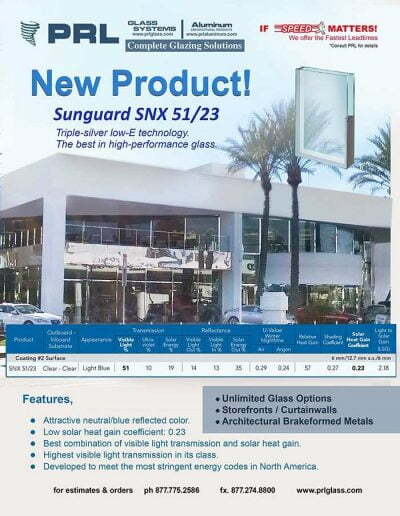 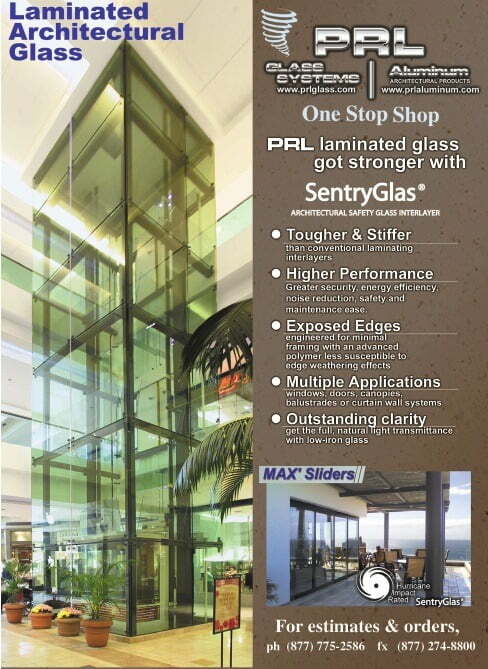 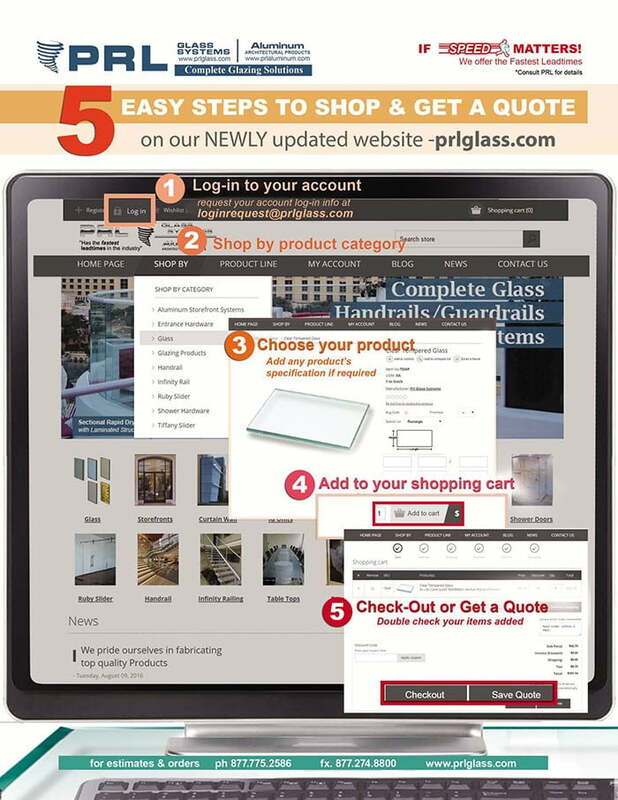 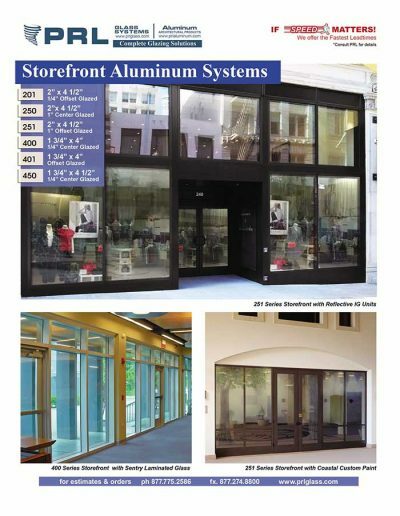 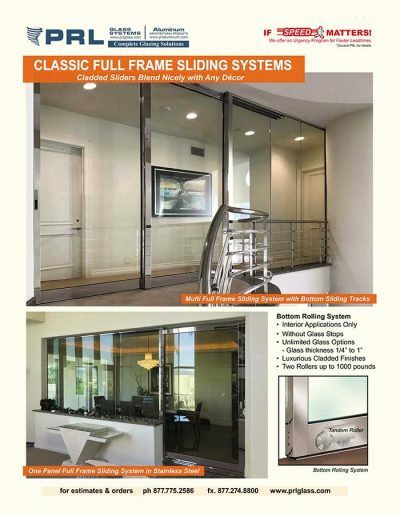 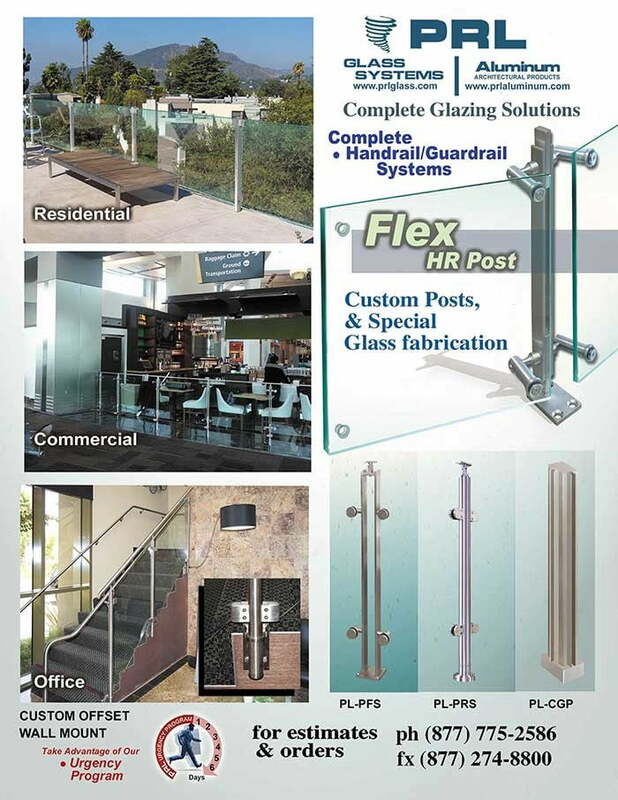 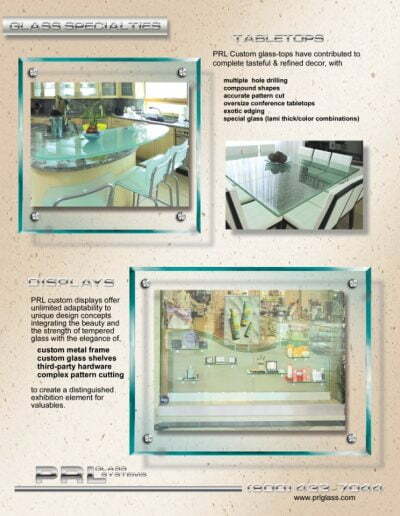 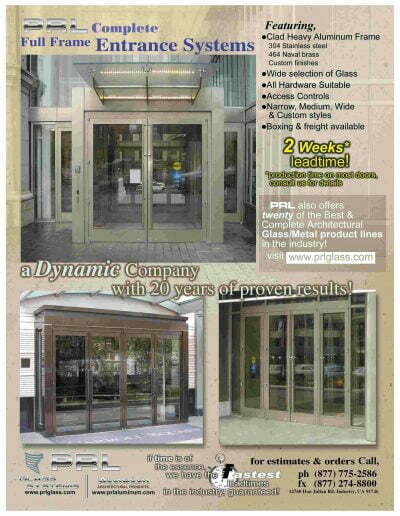 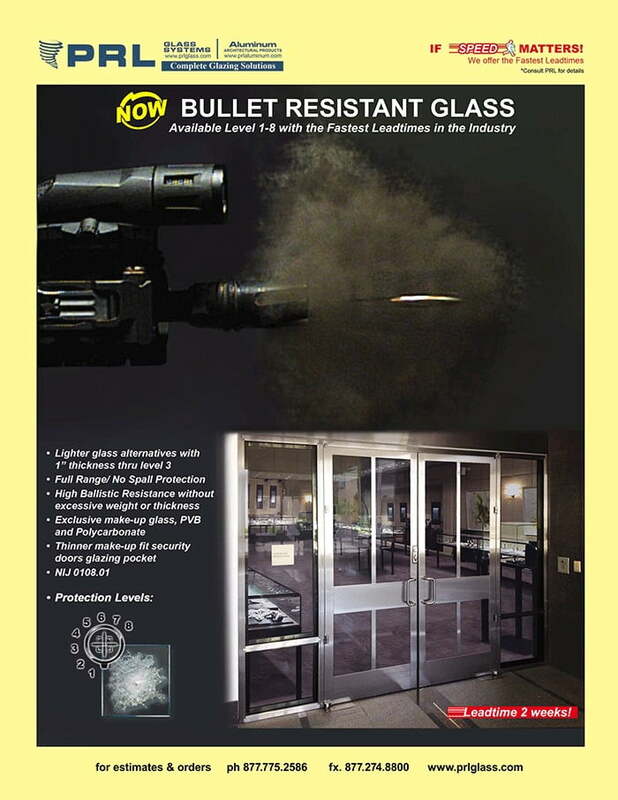 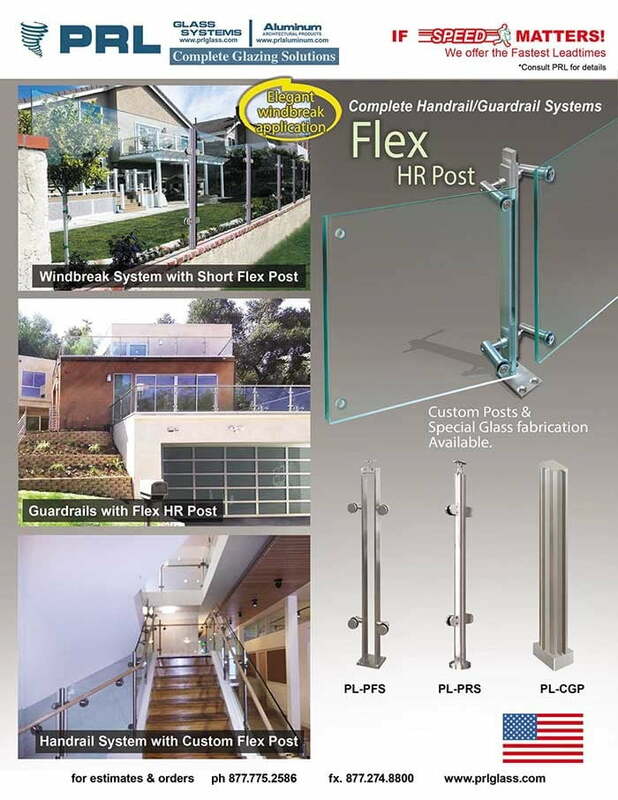 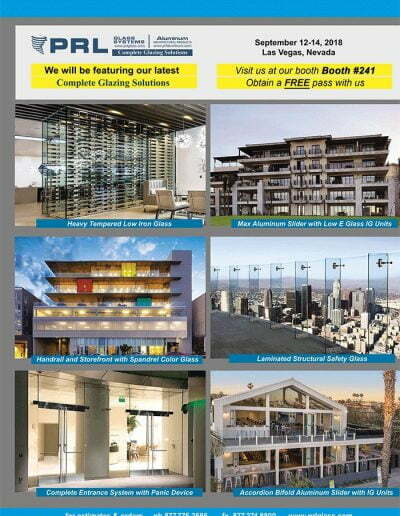 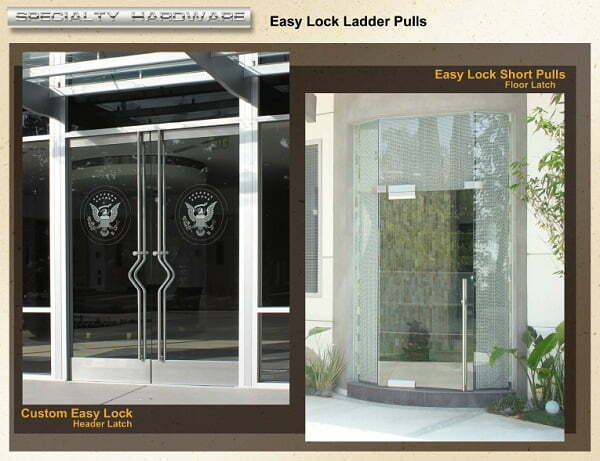 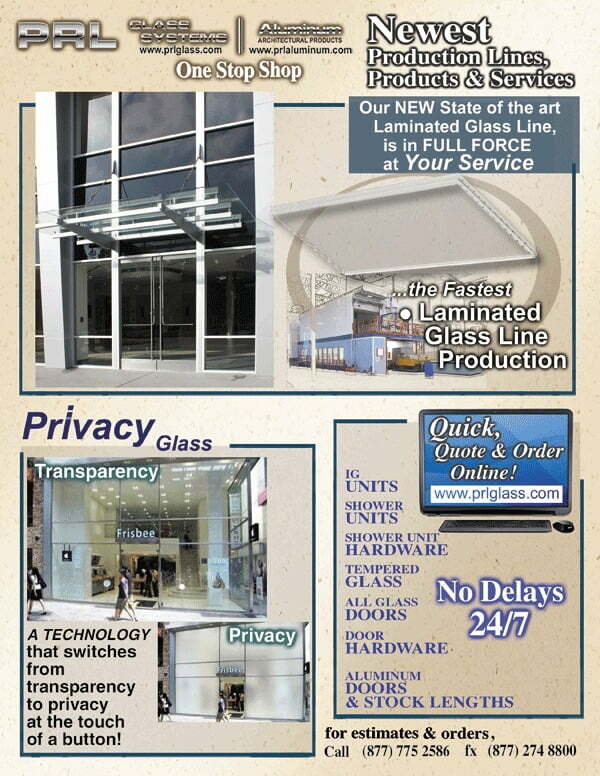 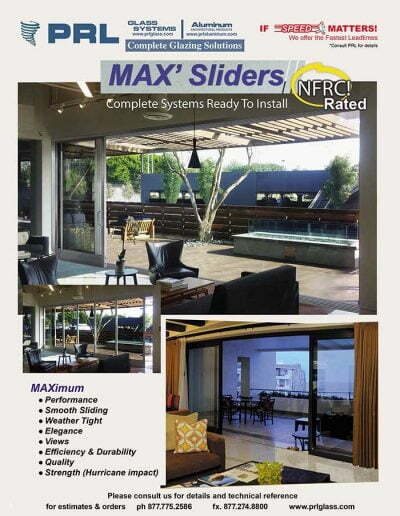 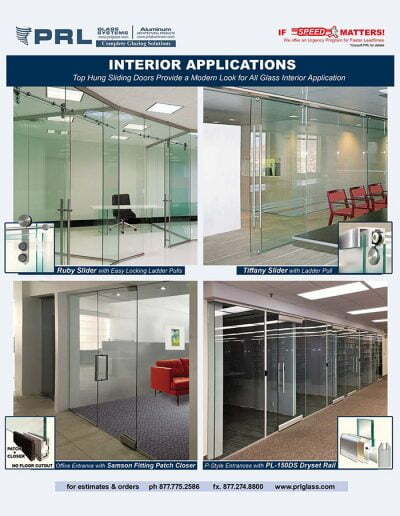 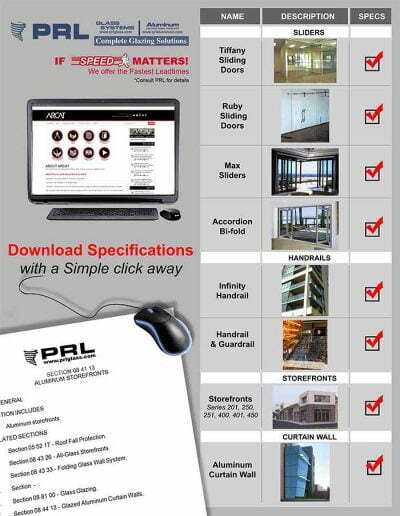 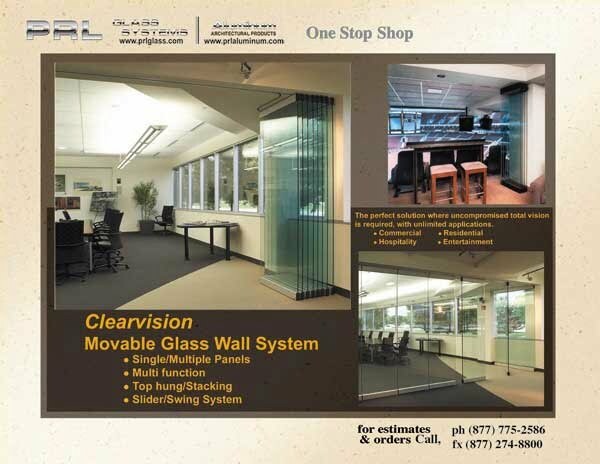 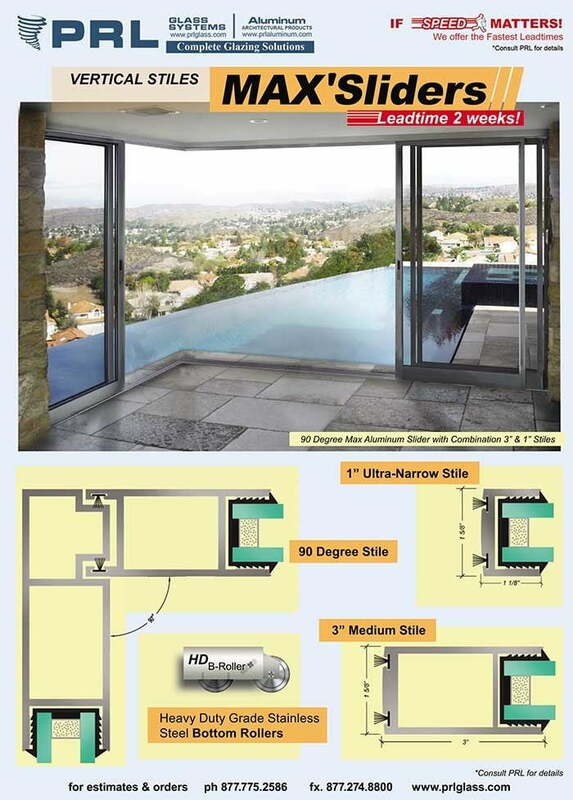 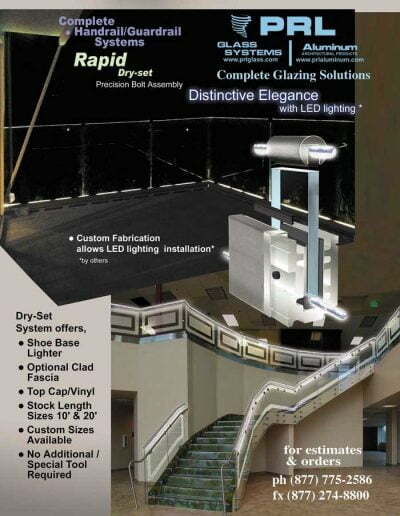 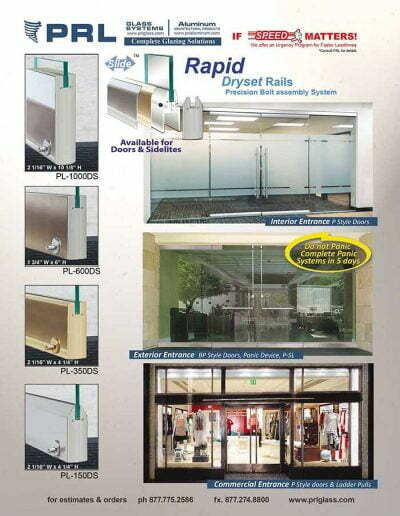 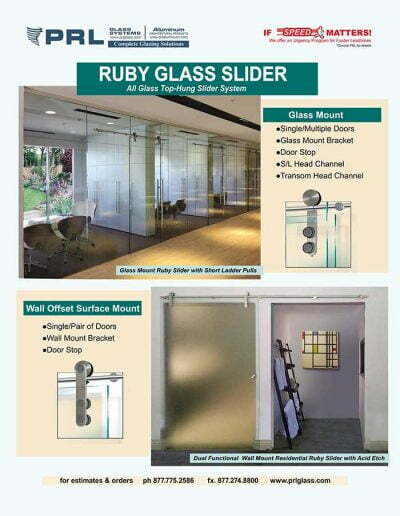 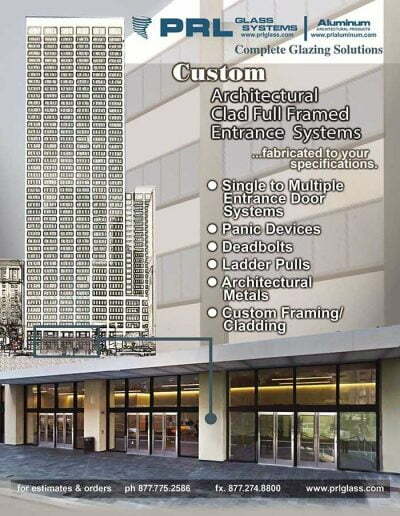 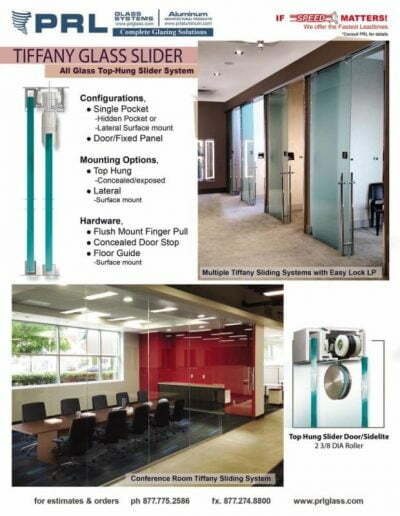 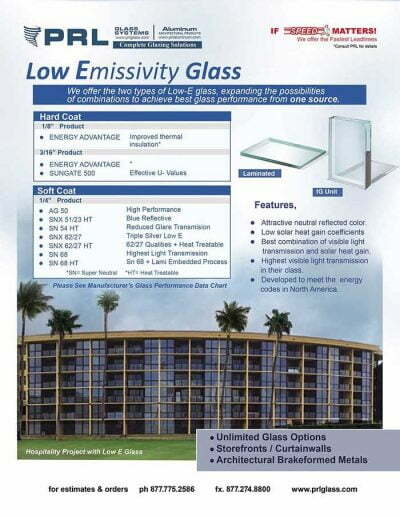 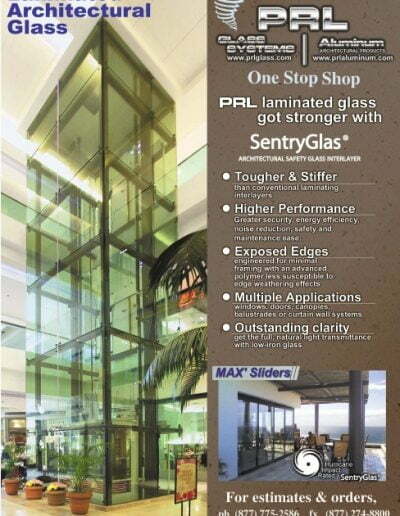 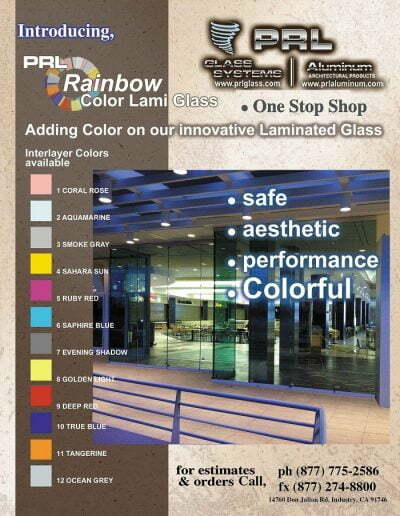 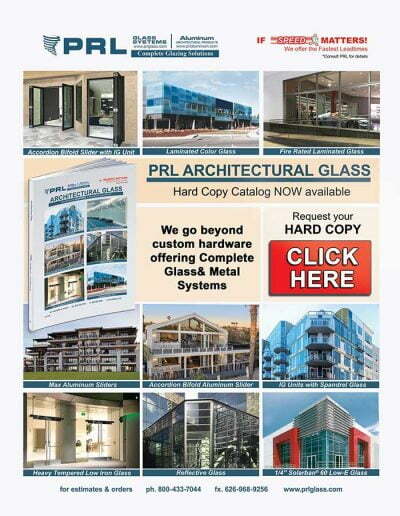 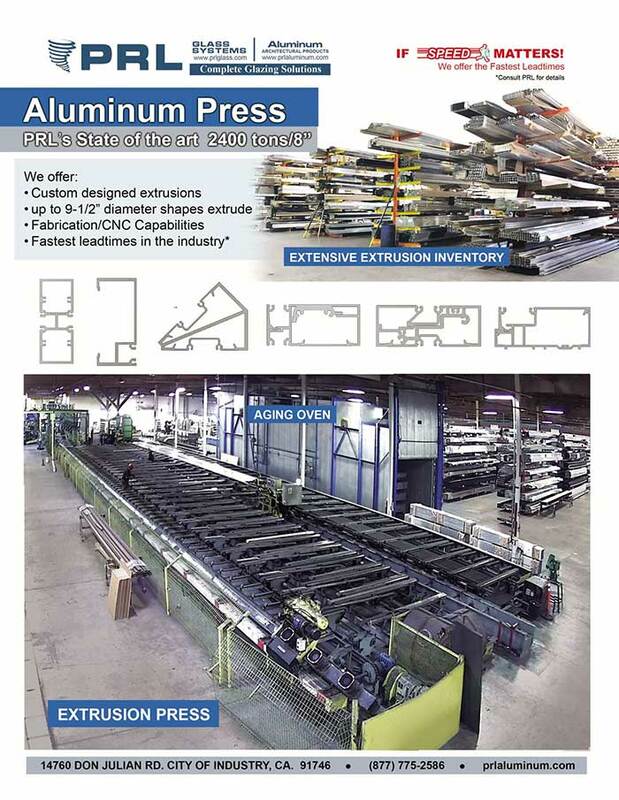 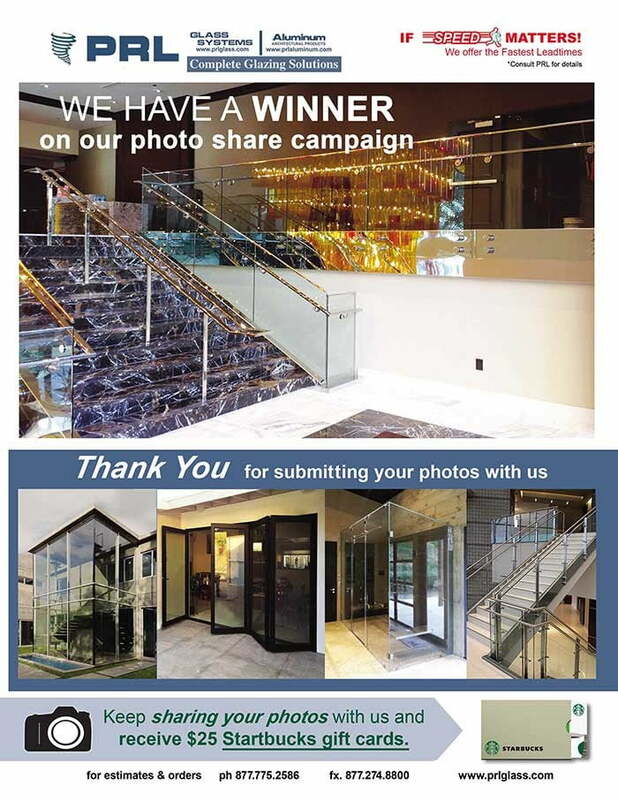 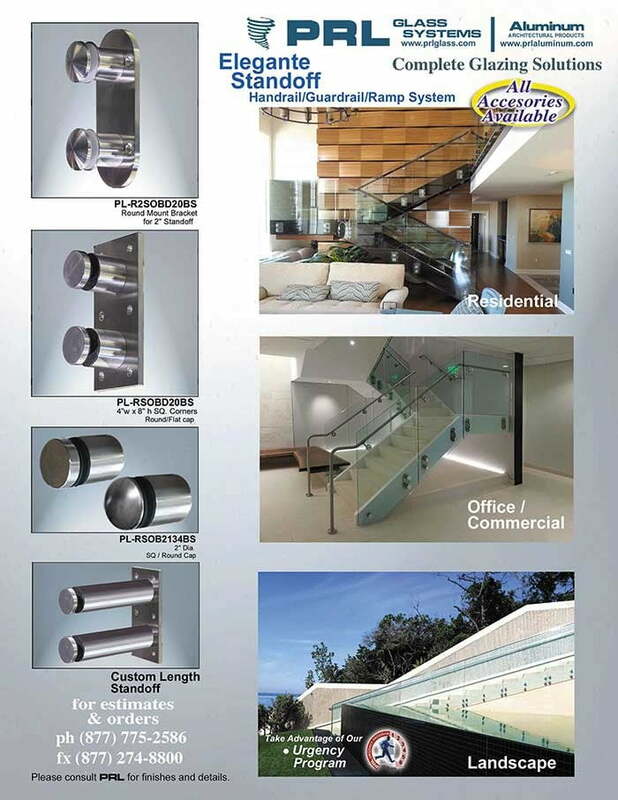 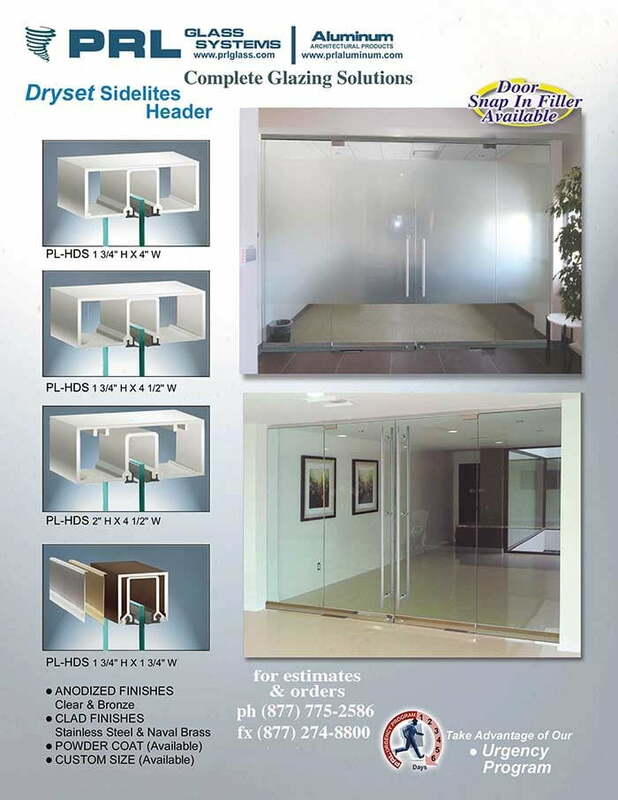 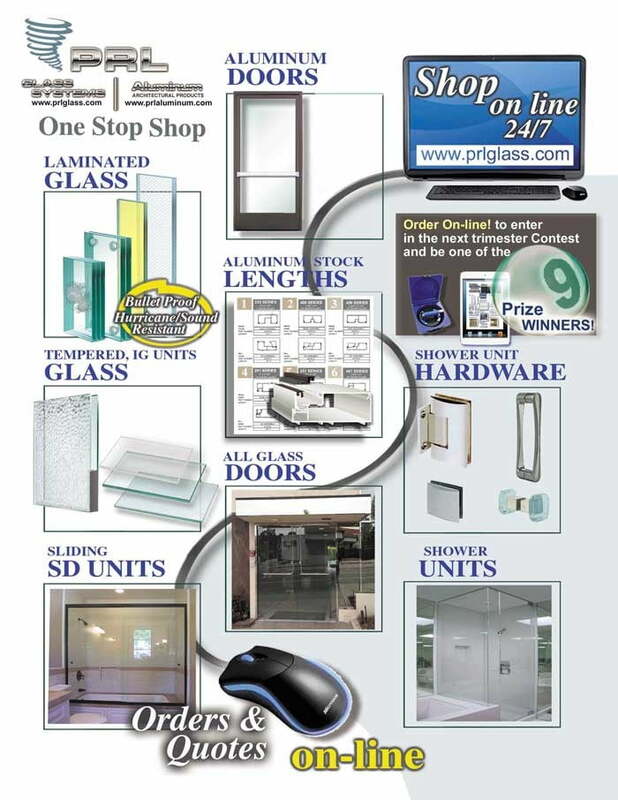 PRL Glass Systems, Inc., is the largest Tempered Glass Fabricator in Los Angeles, CA. 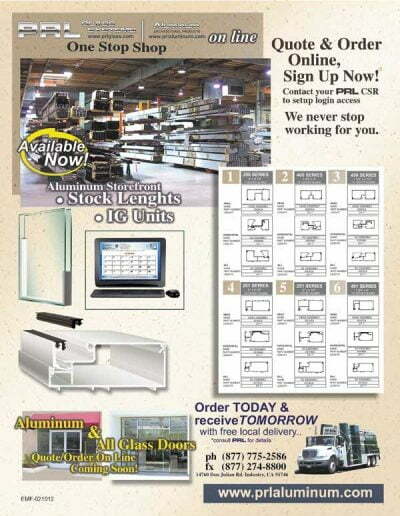 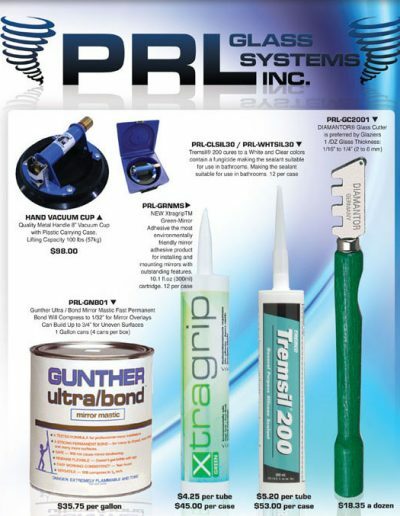 Delivering a full range of tempered glass products on a fleet of more than 25 delivery trucks nationwide. 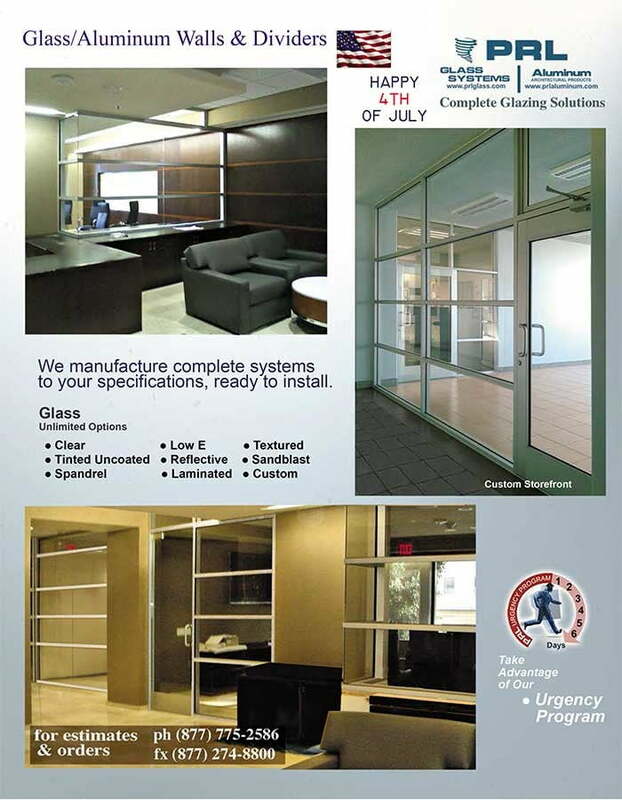 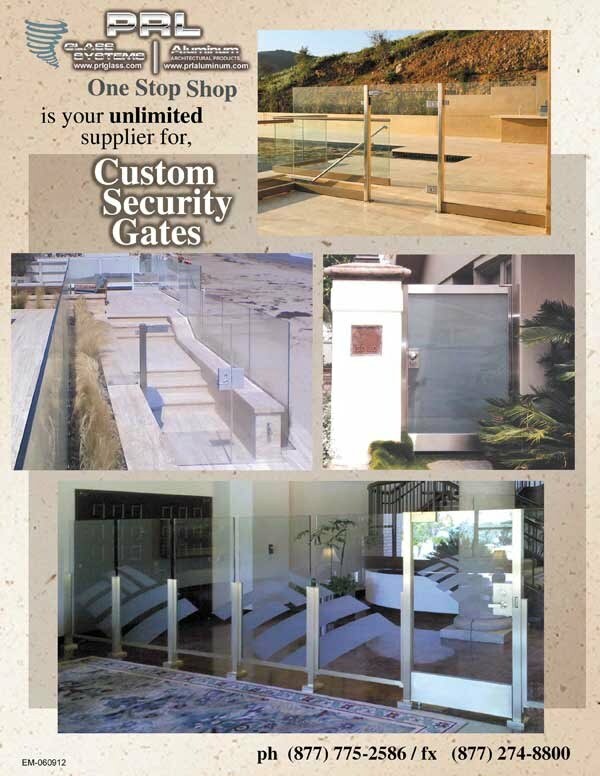 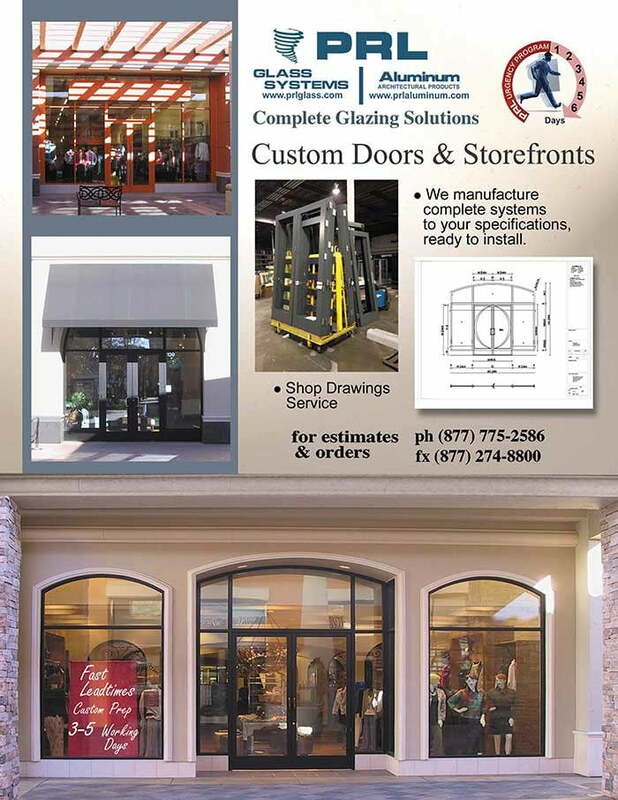 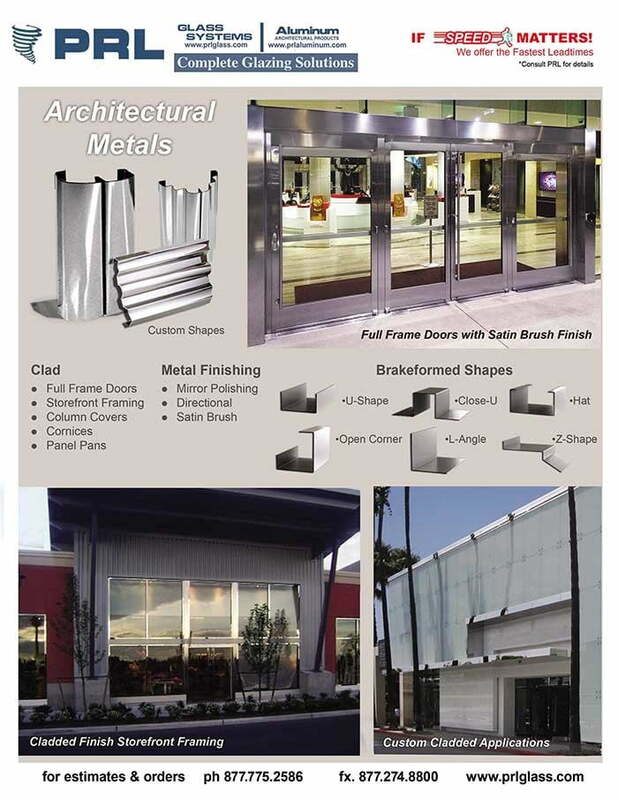 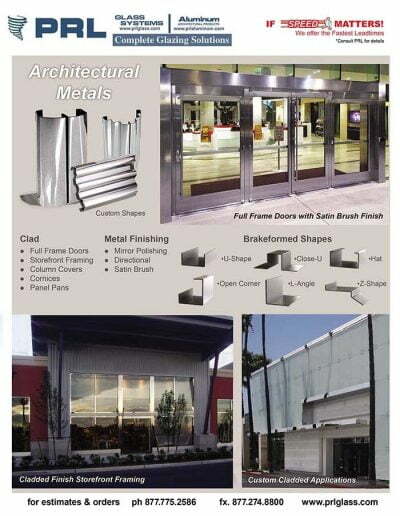 Our crating department ships complete custom fabricated all glass doors, laminated glass and tempered glass products. 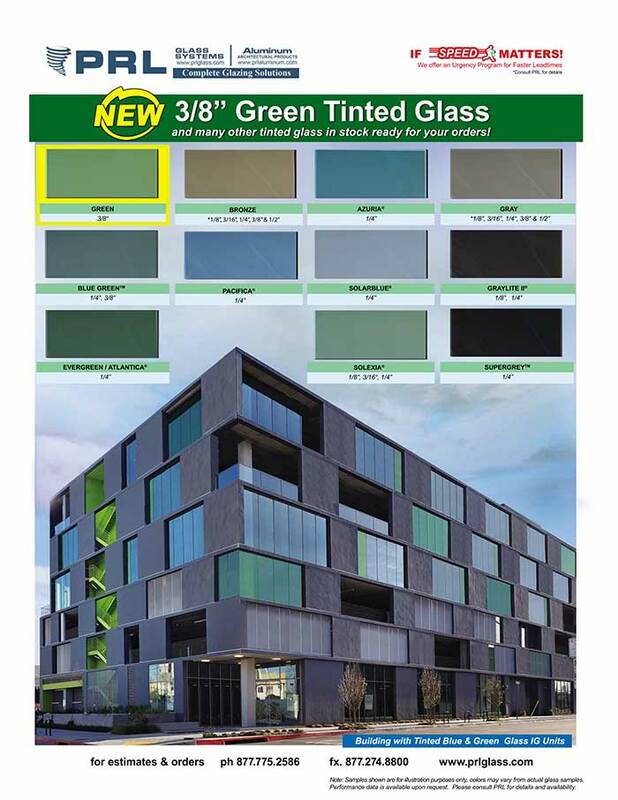 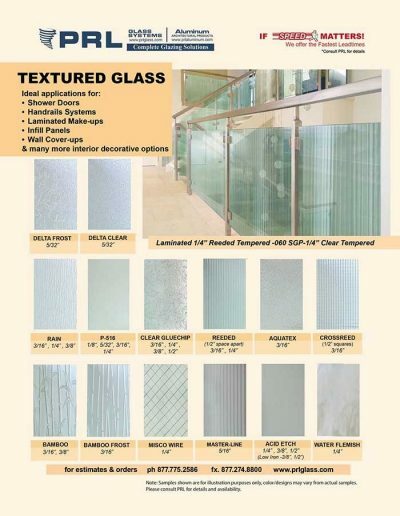 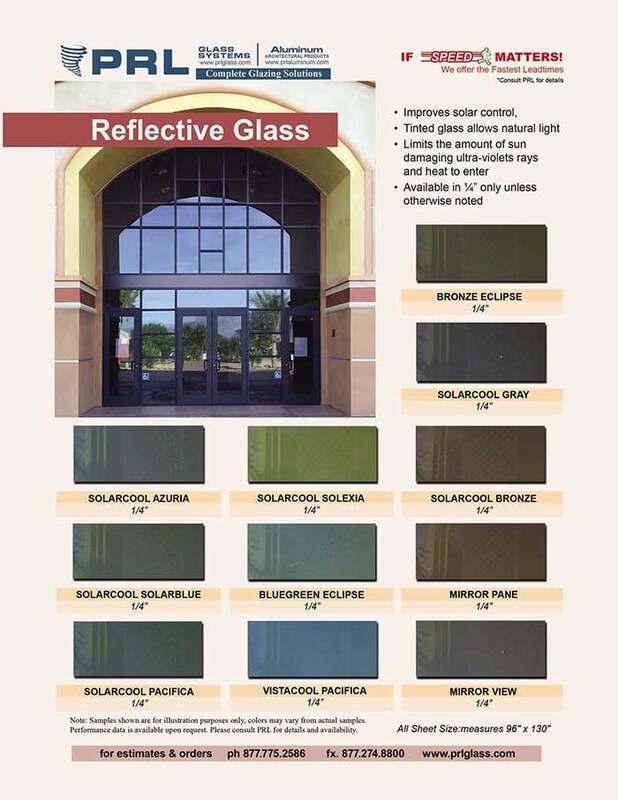 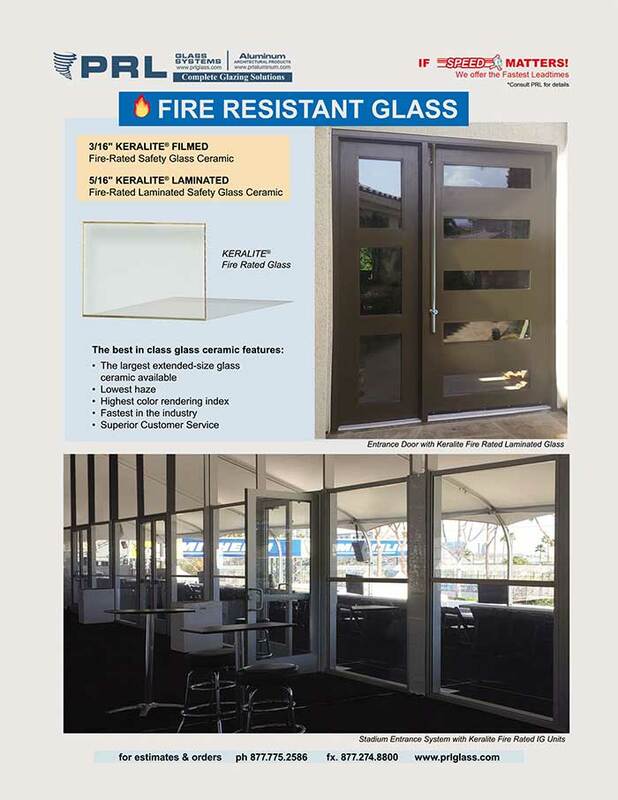 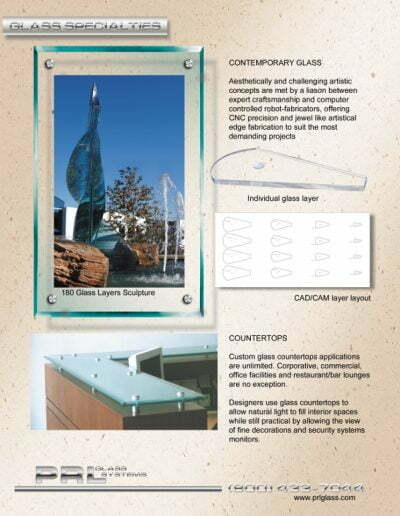 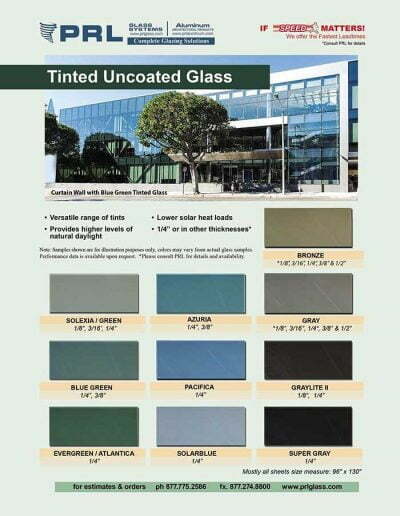 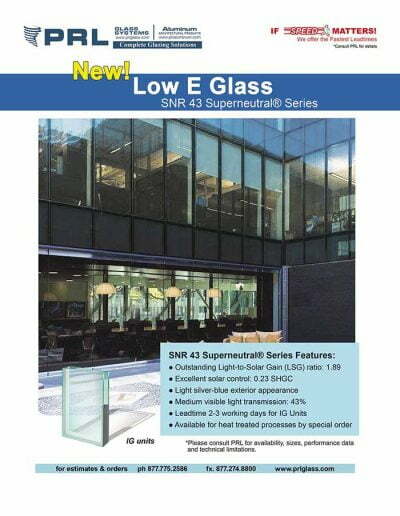 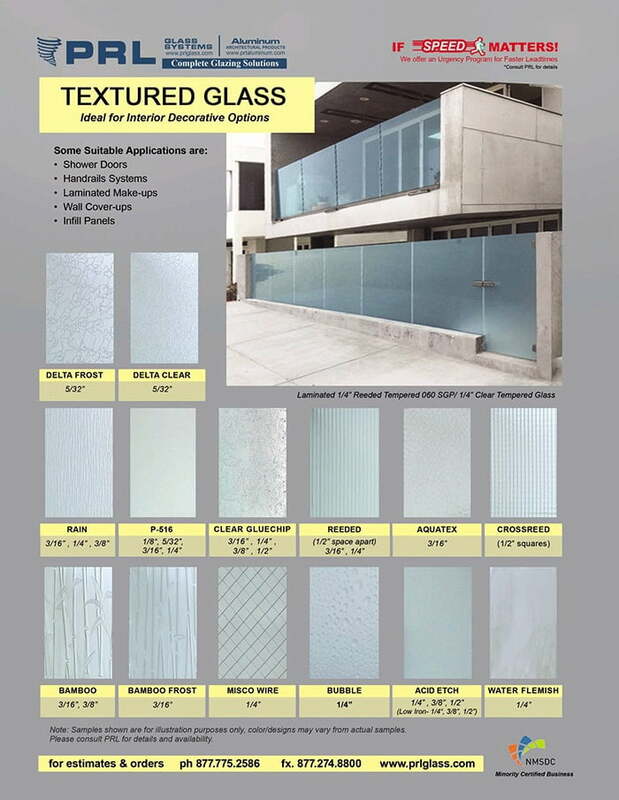 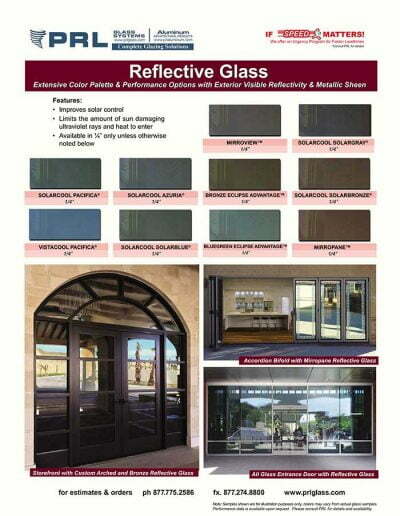 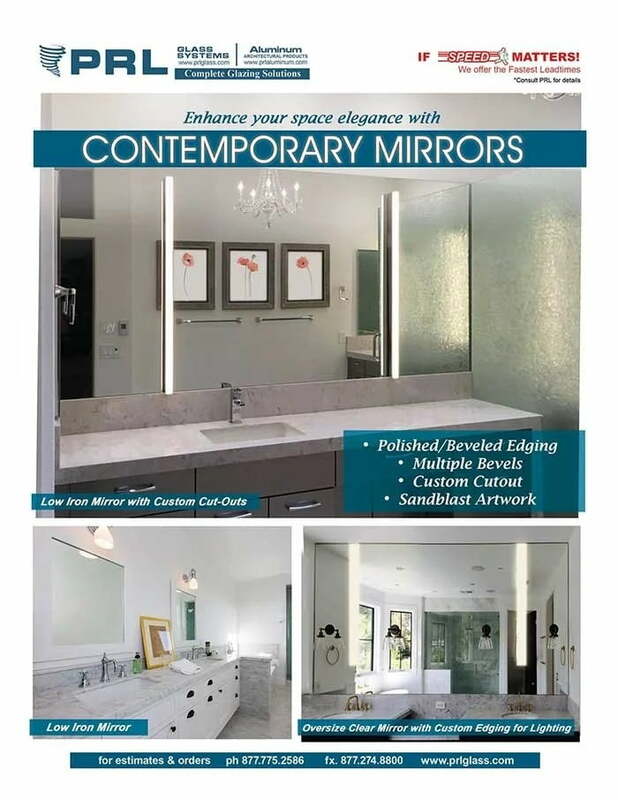 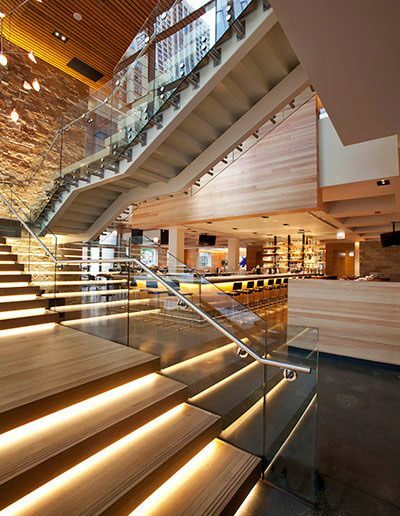 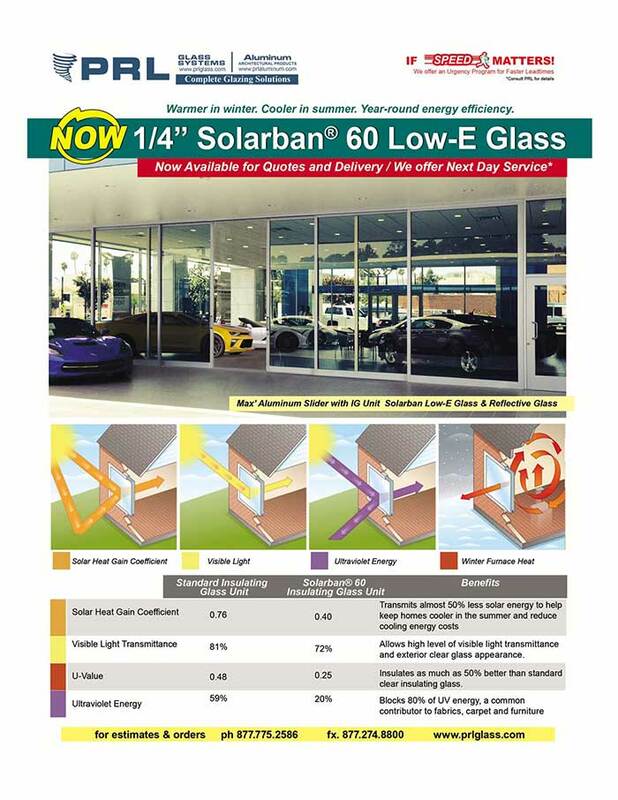 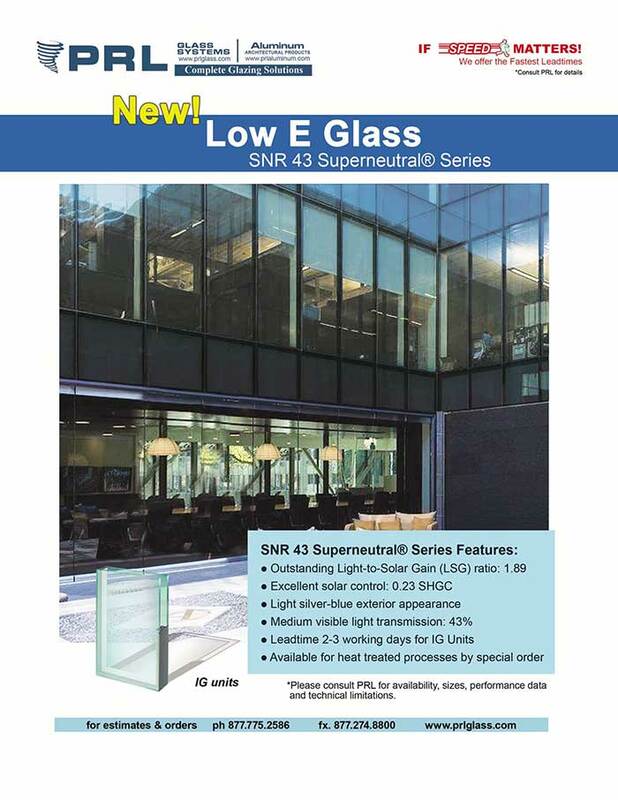 We supply 1/8" through 3/4" thick annealed and tempered glass and offer a wide variety of textured and tinted, laminated glass including Low Iron, Low-e, Reflective and Mirror. 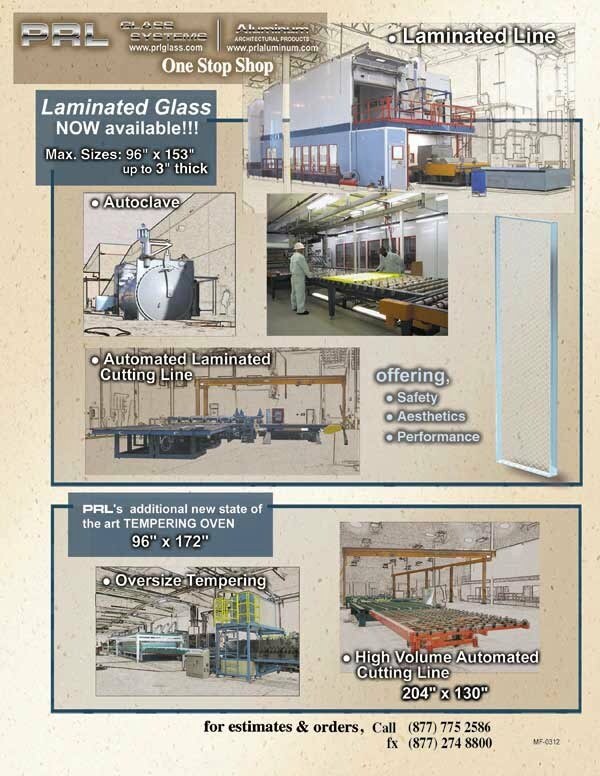 Our current tempering furnace capacity handles glass up to 96" x 184". 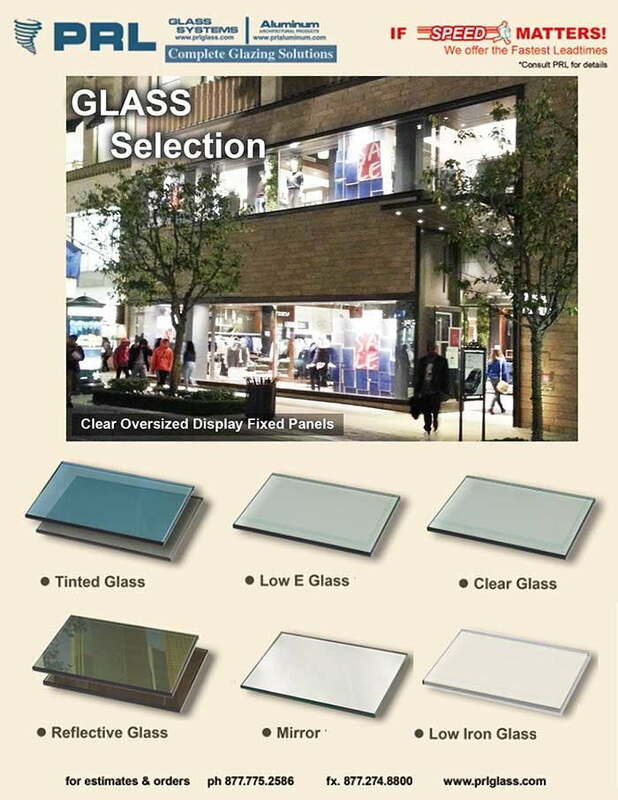 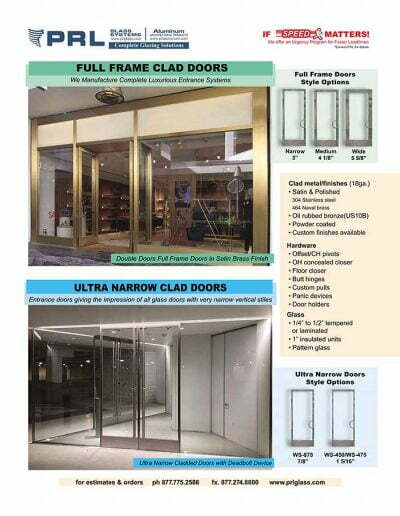 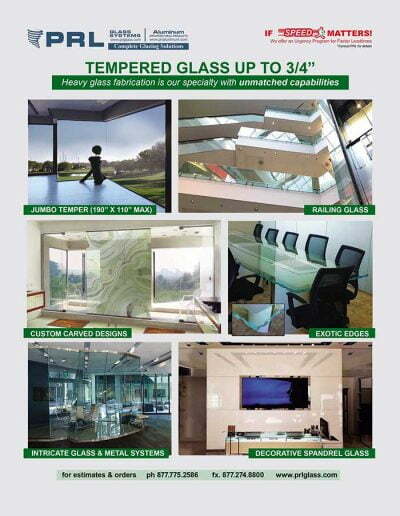 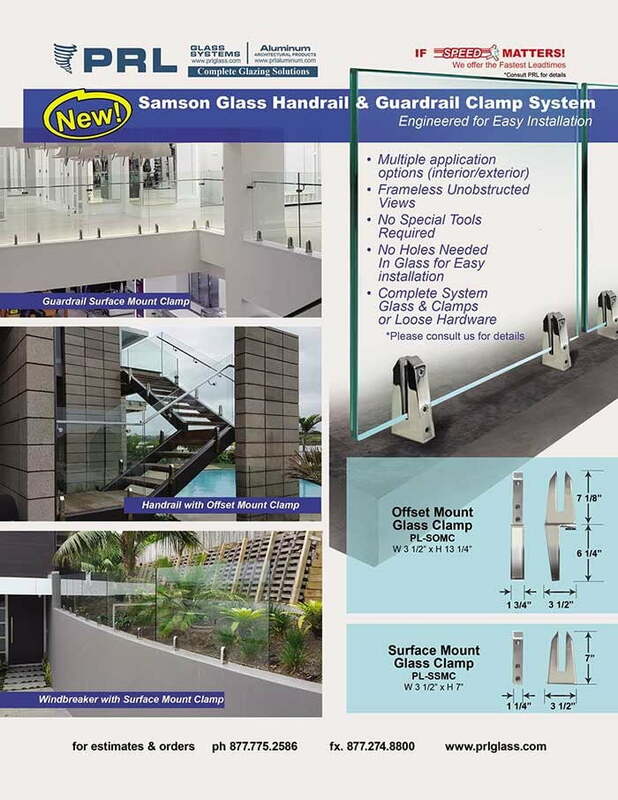 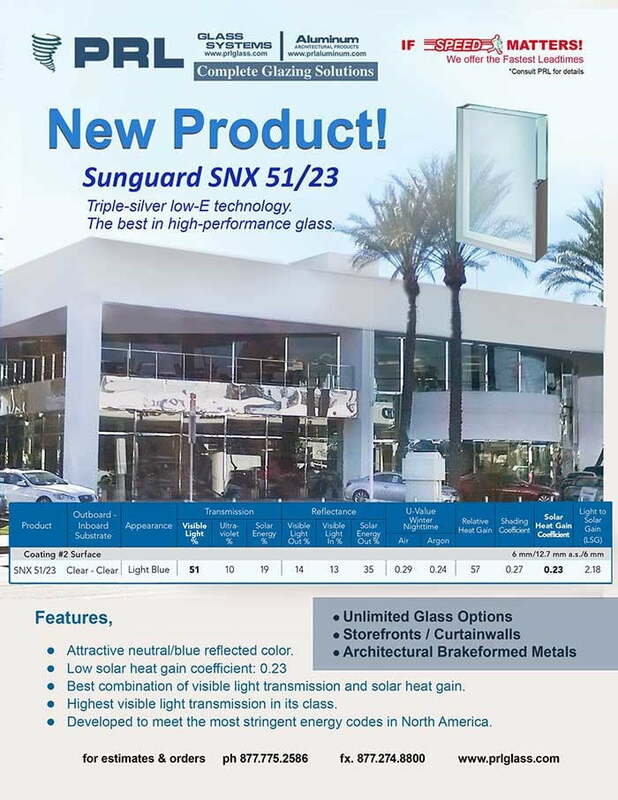 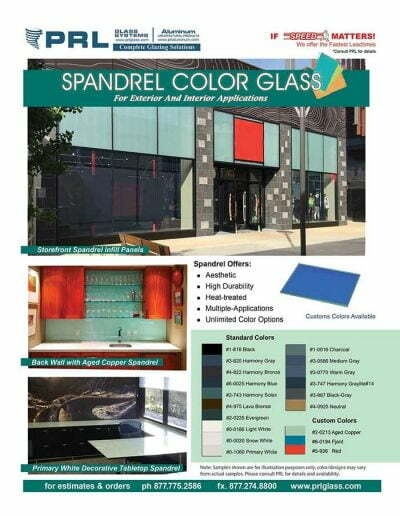 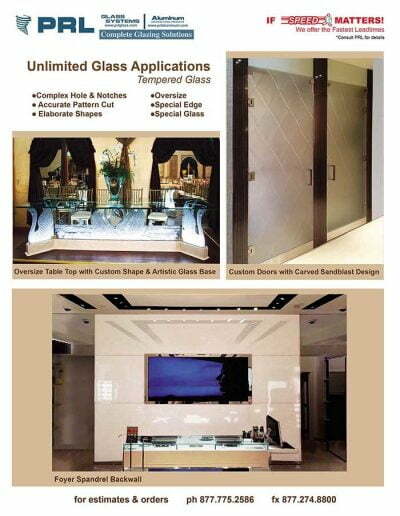 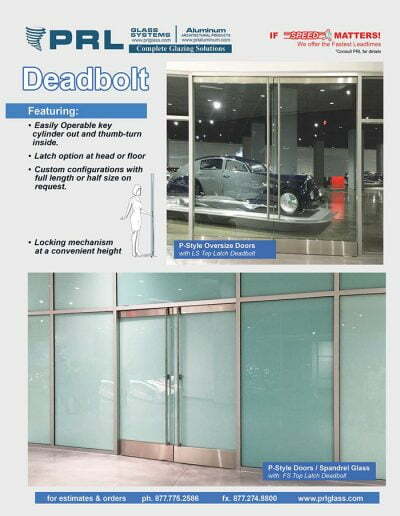 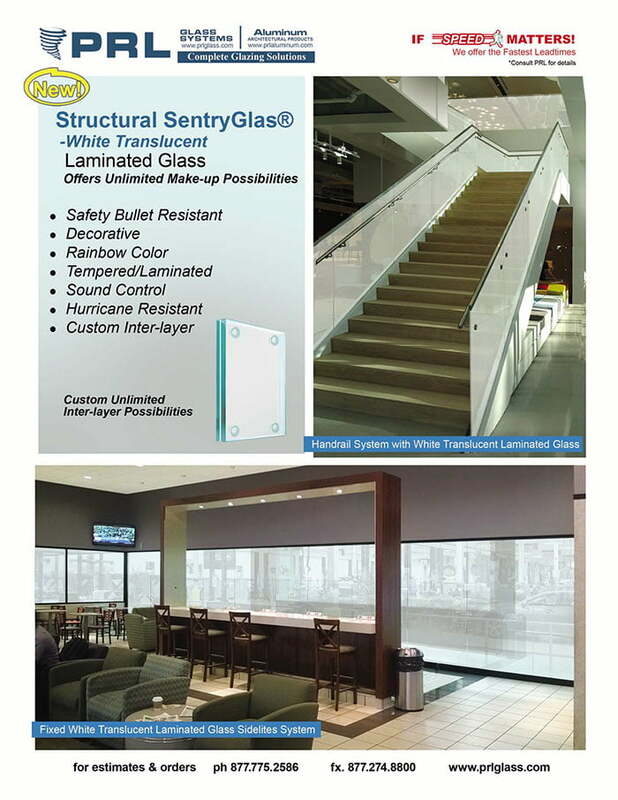 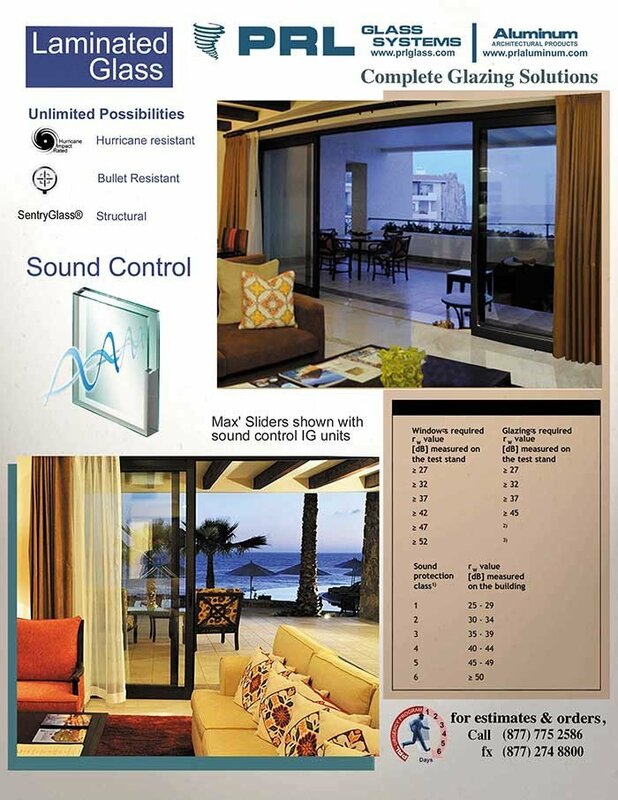 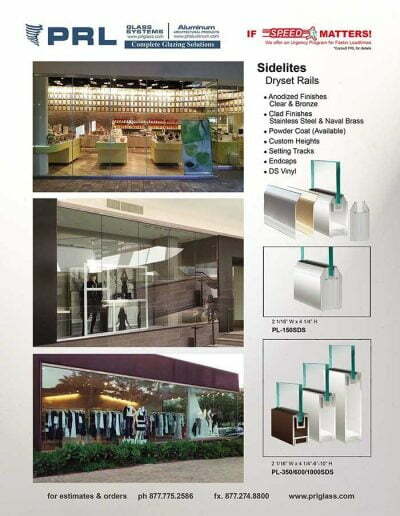 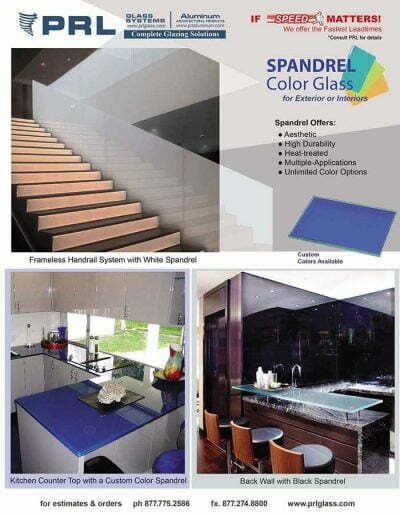 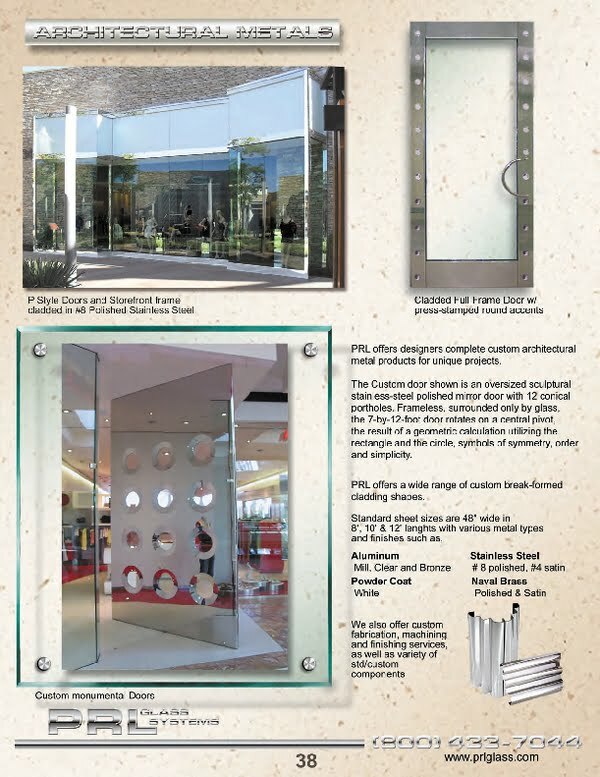 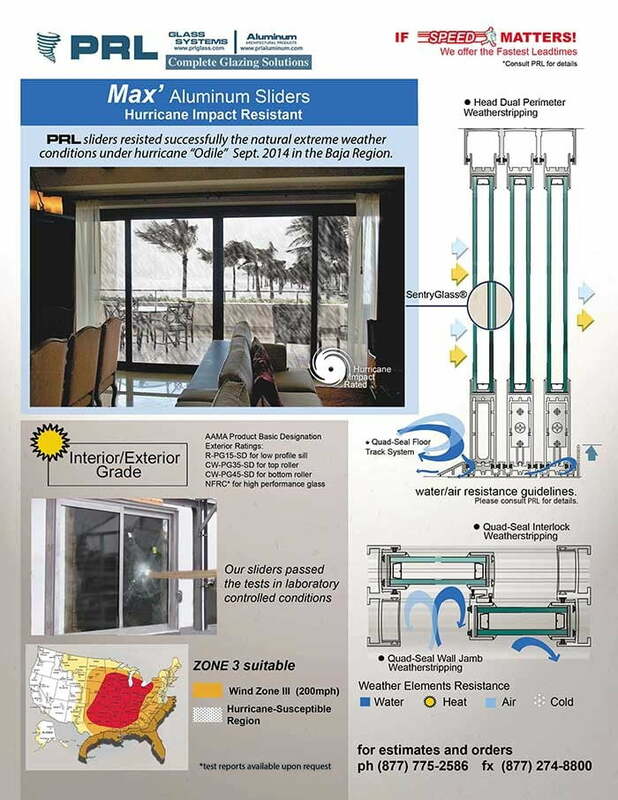 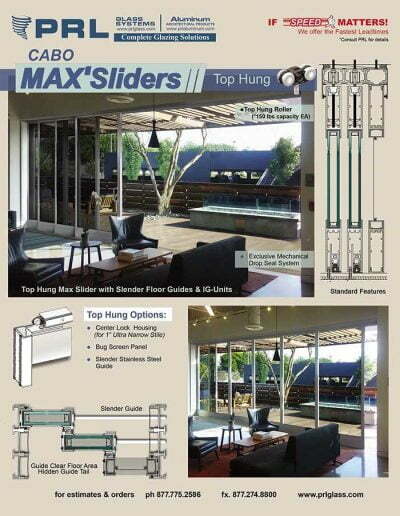 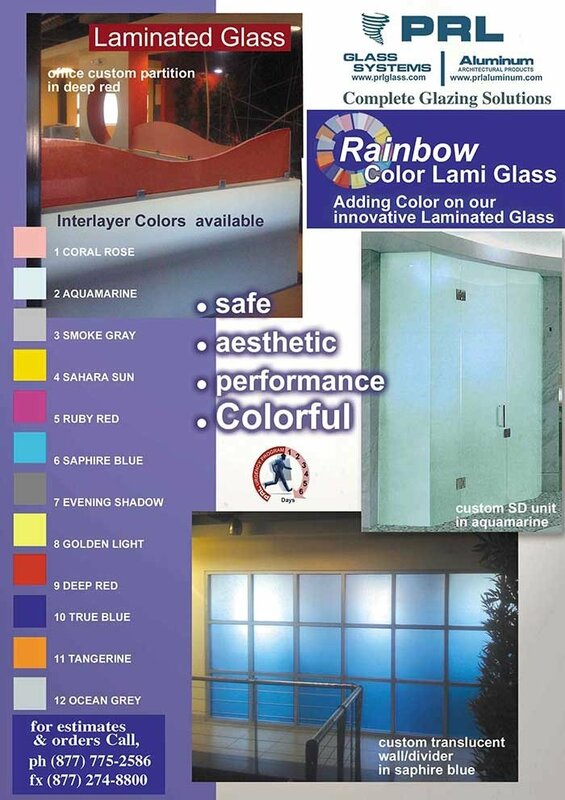 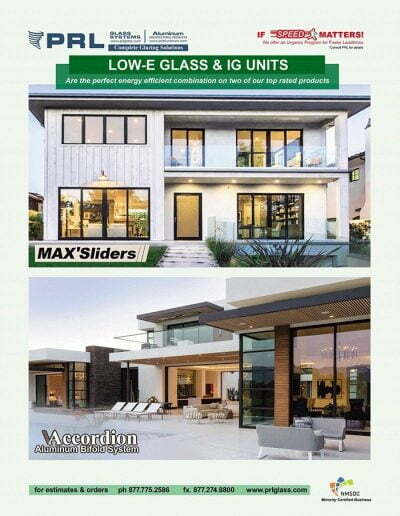 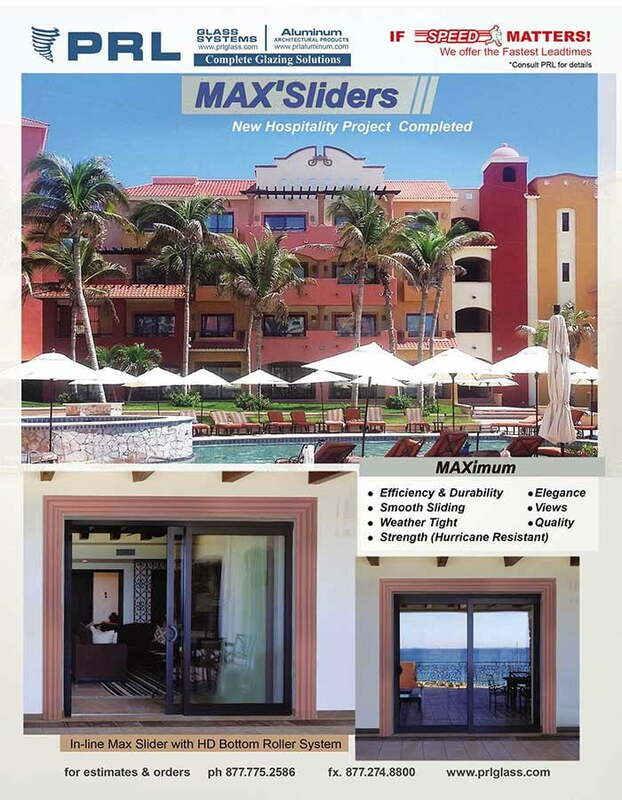 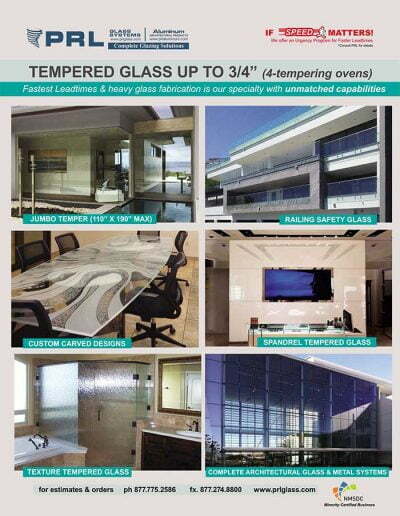 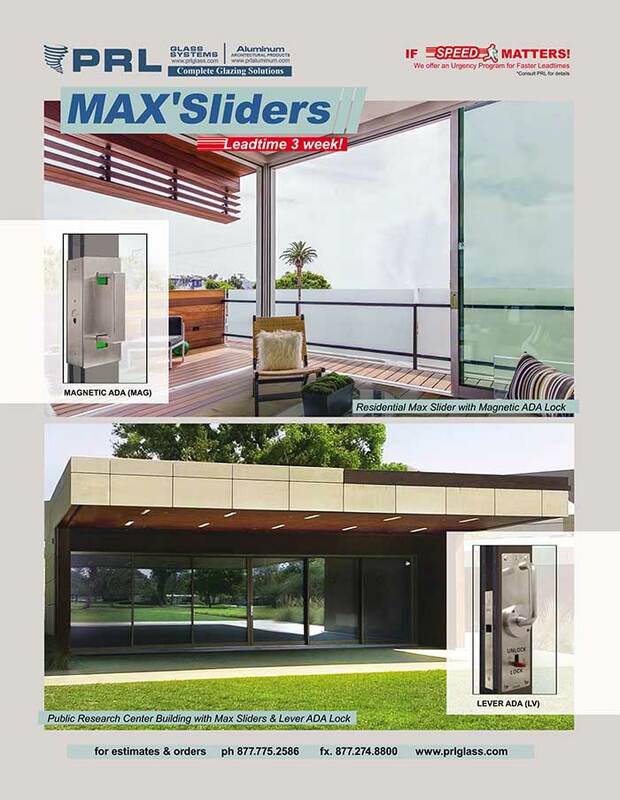 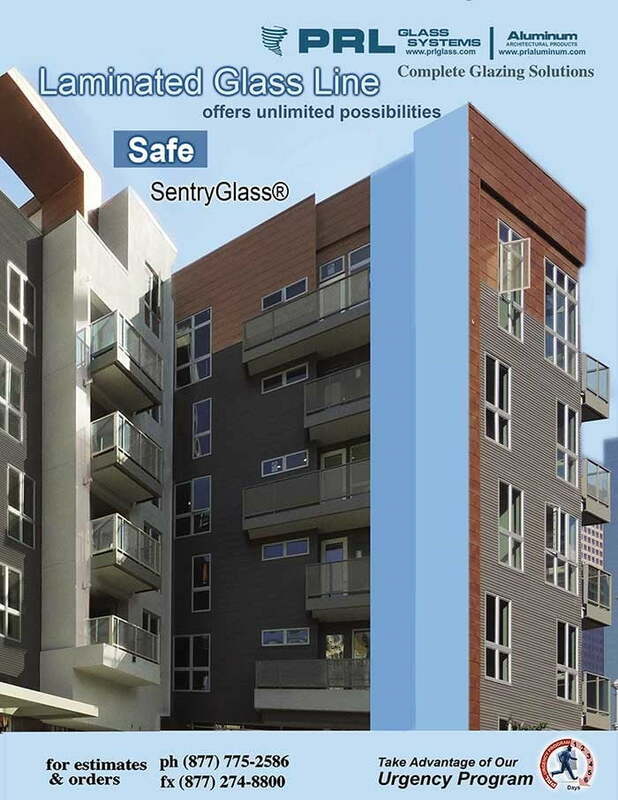 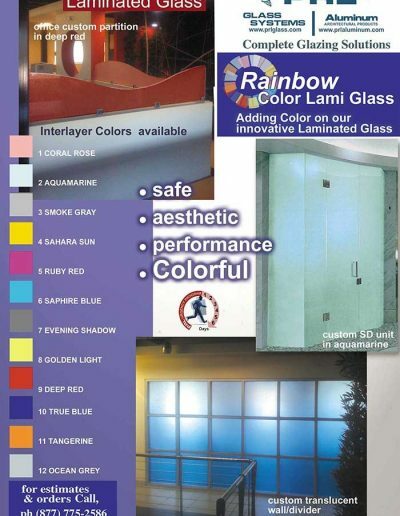 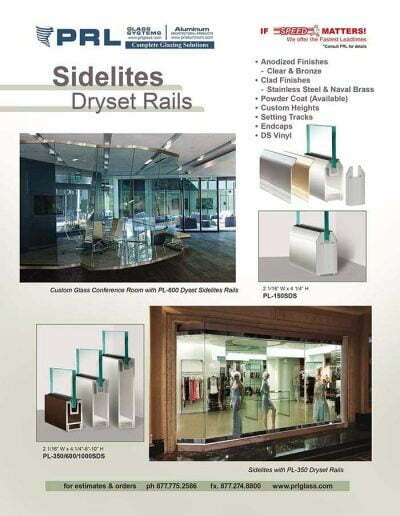 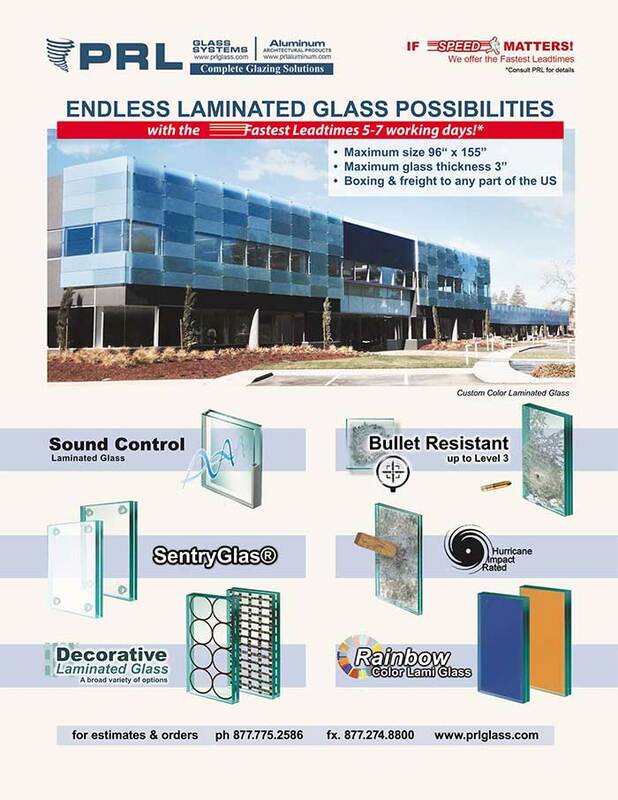 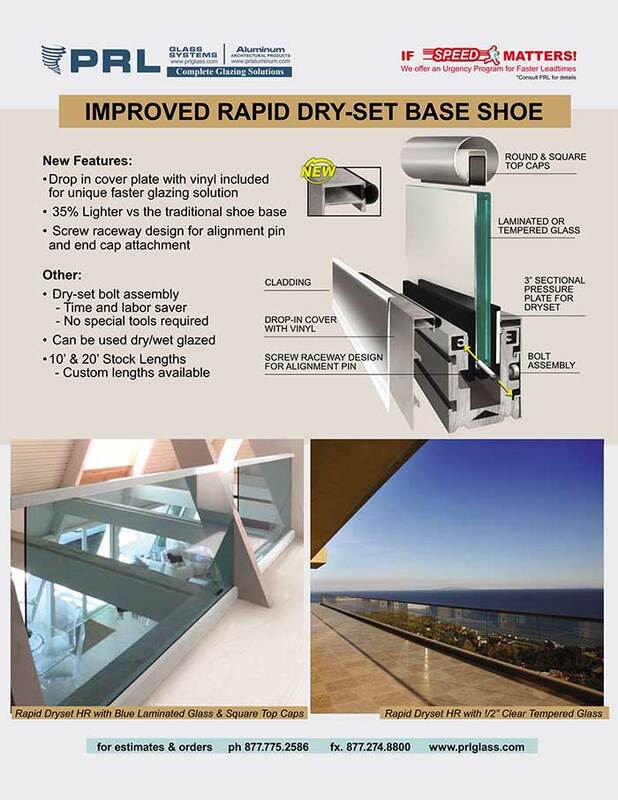 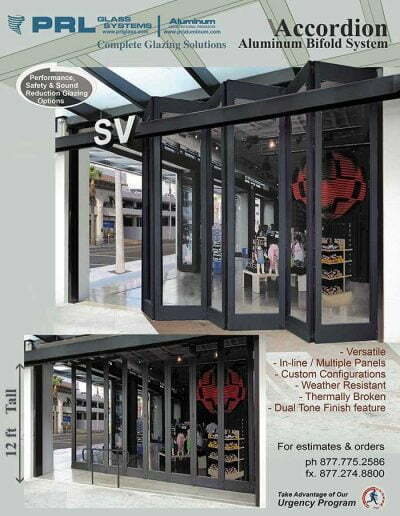 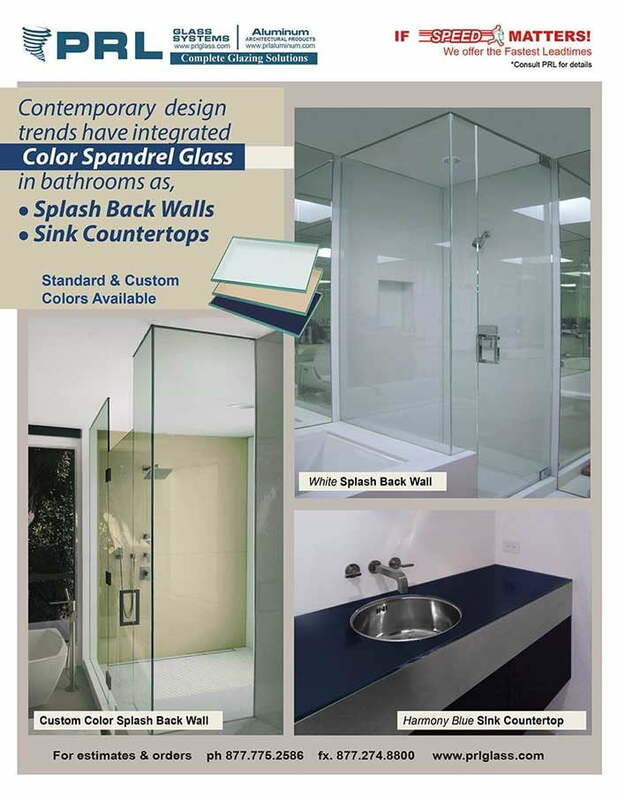 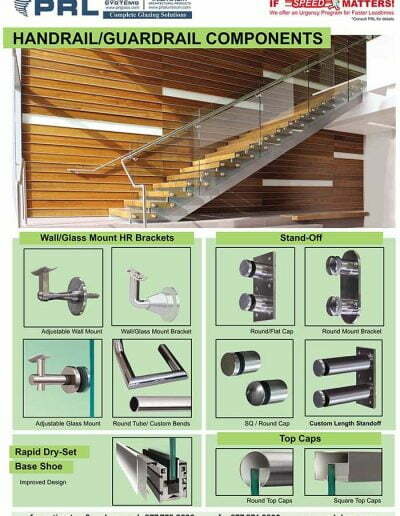 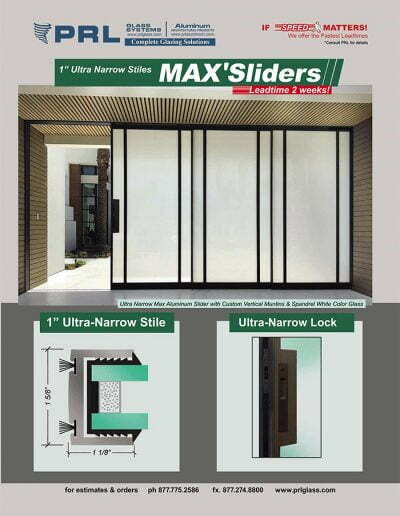 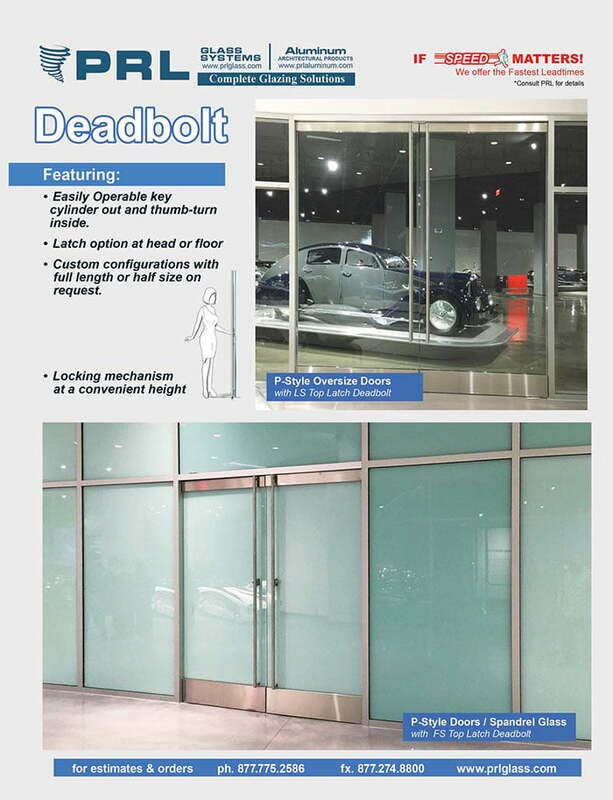 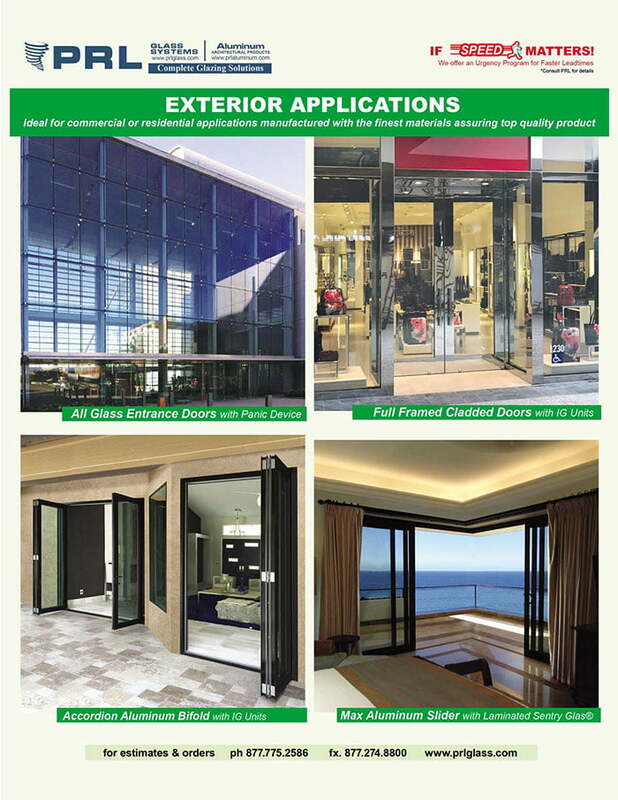 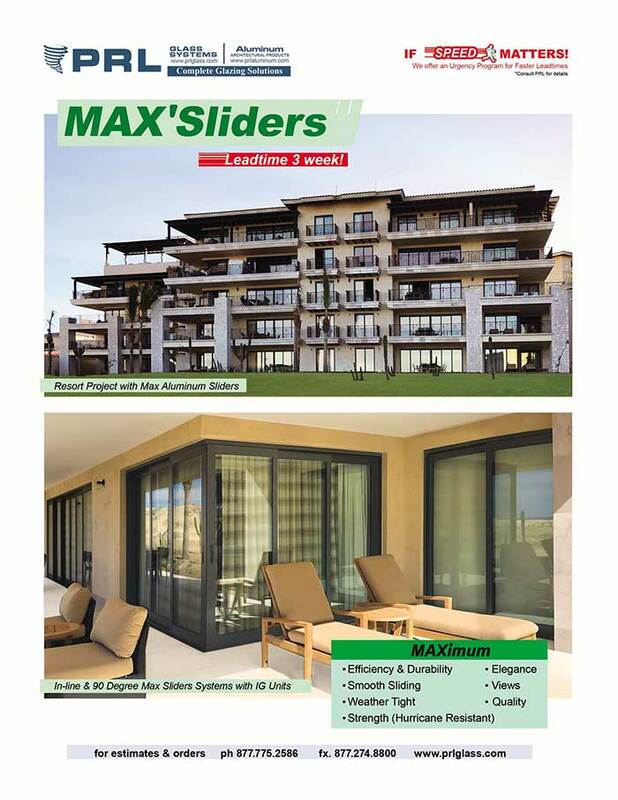 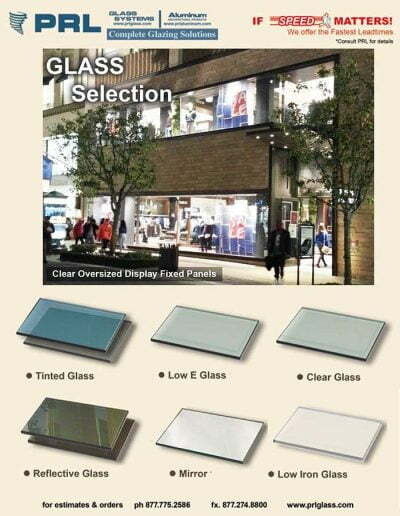 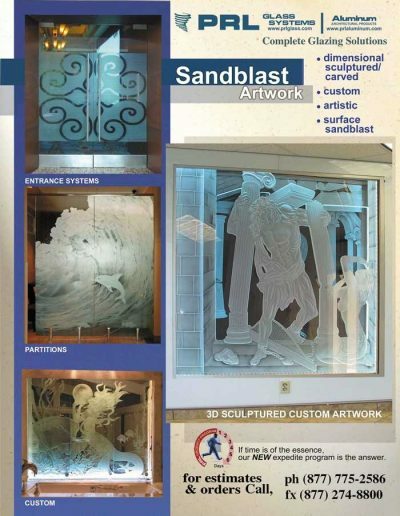 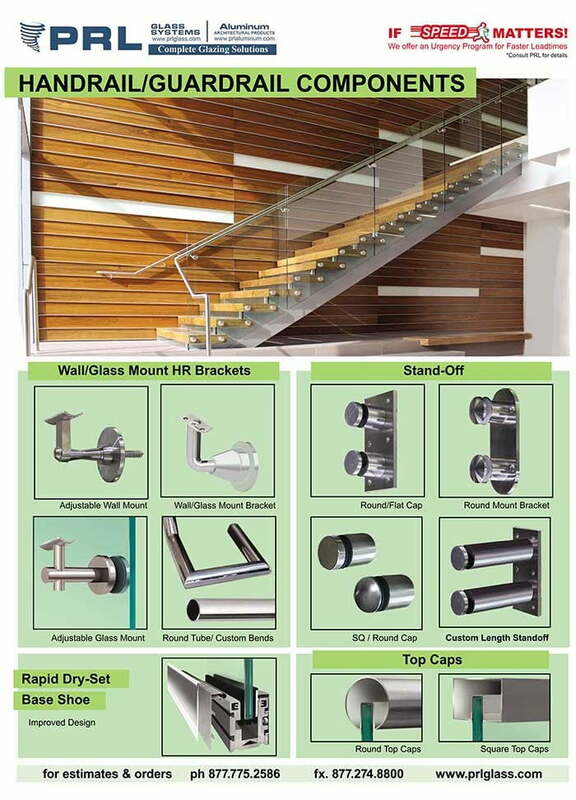 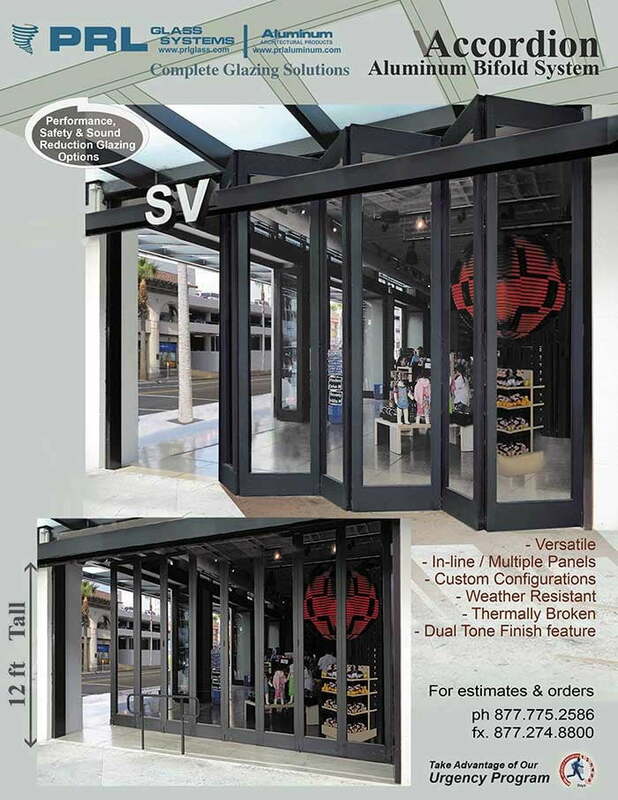 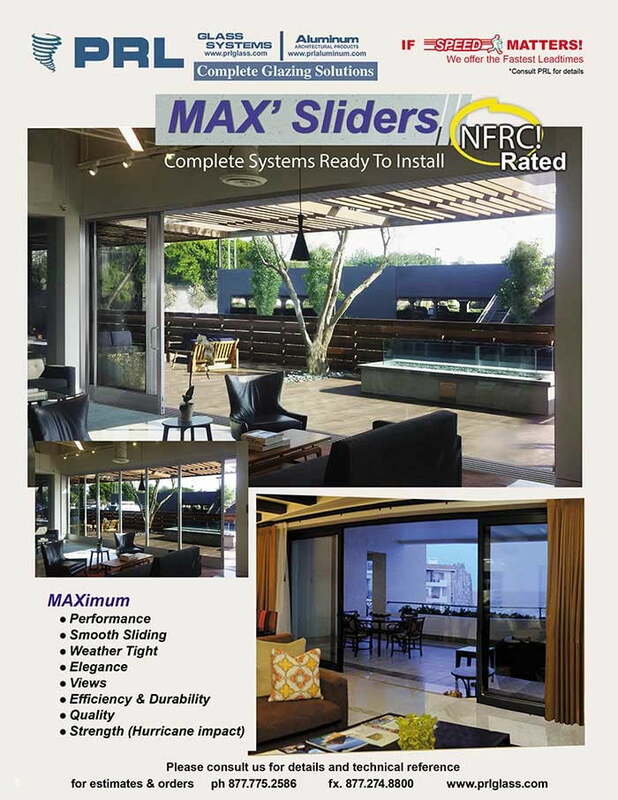 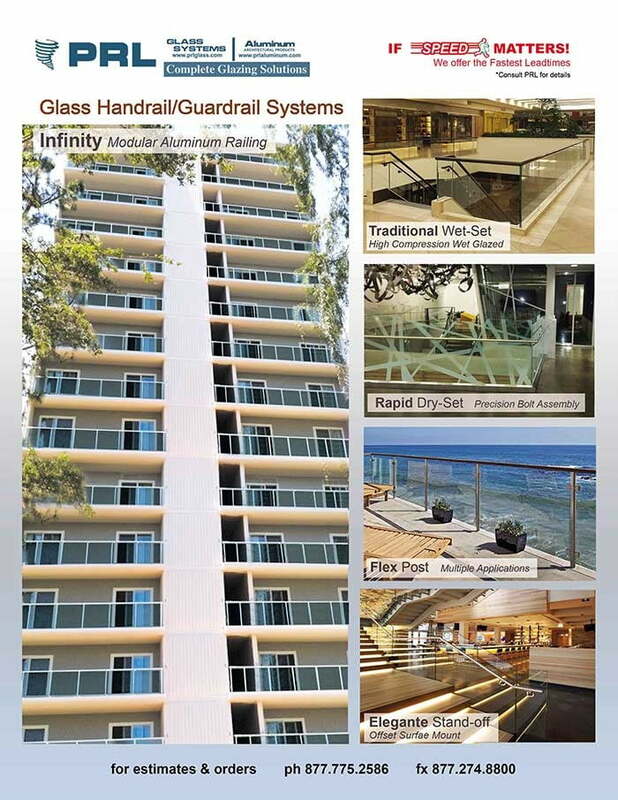 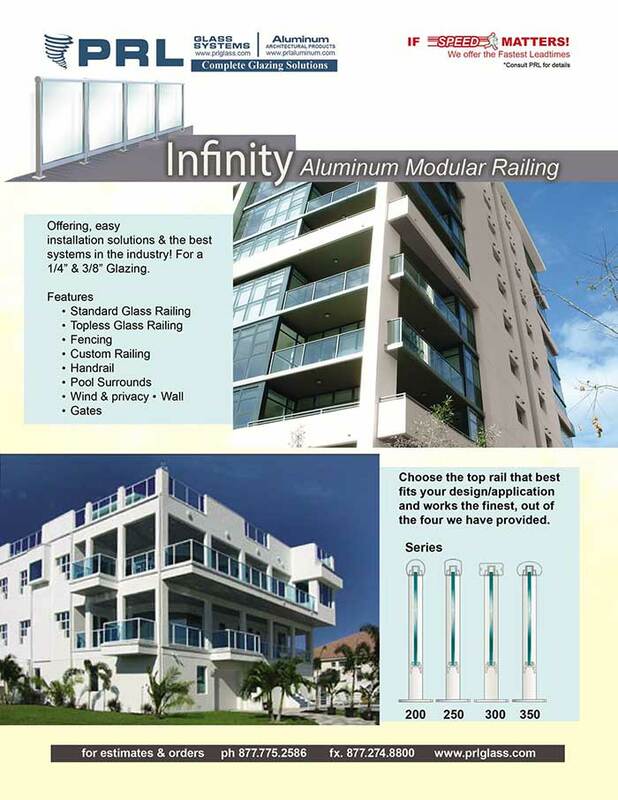 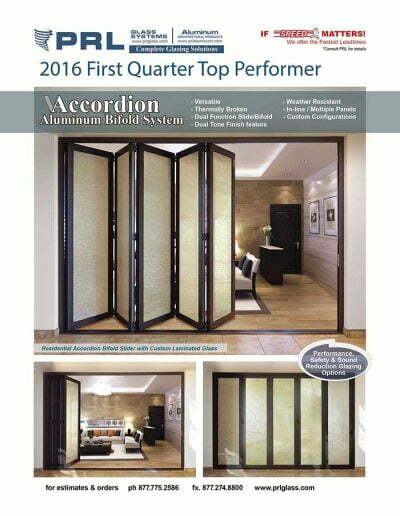 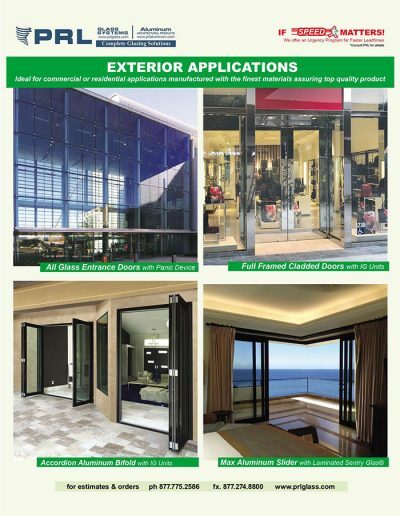 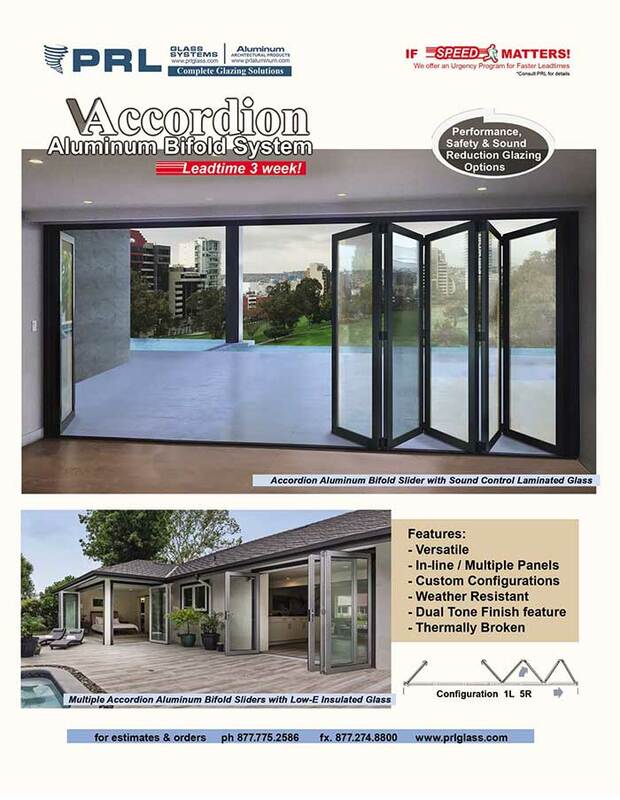 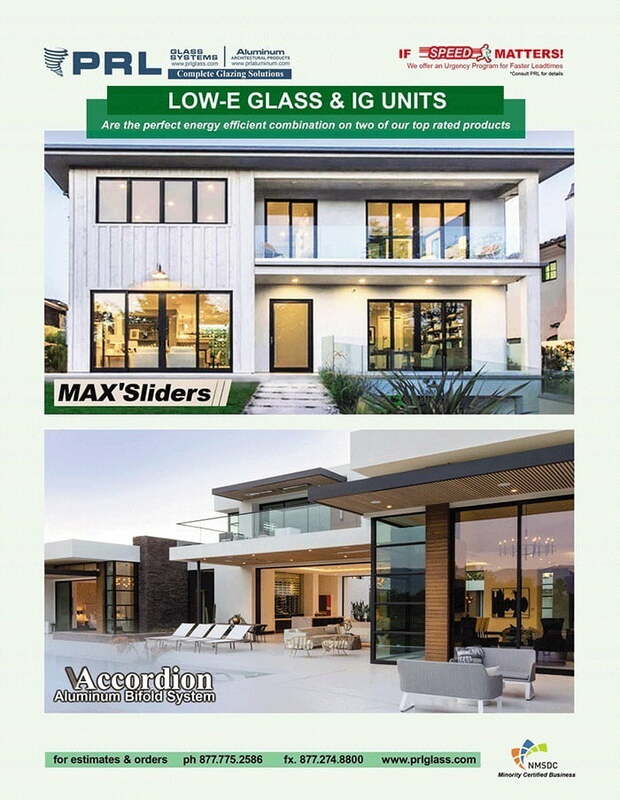 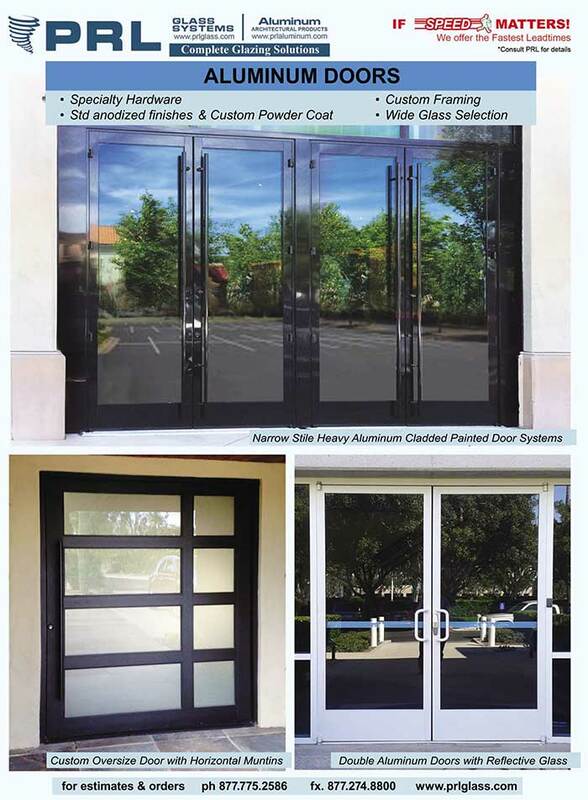 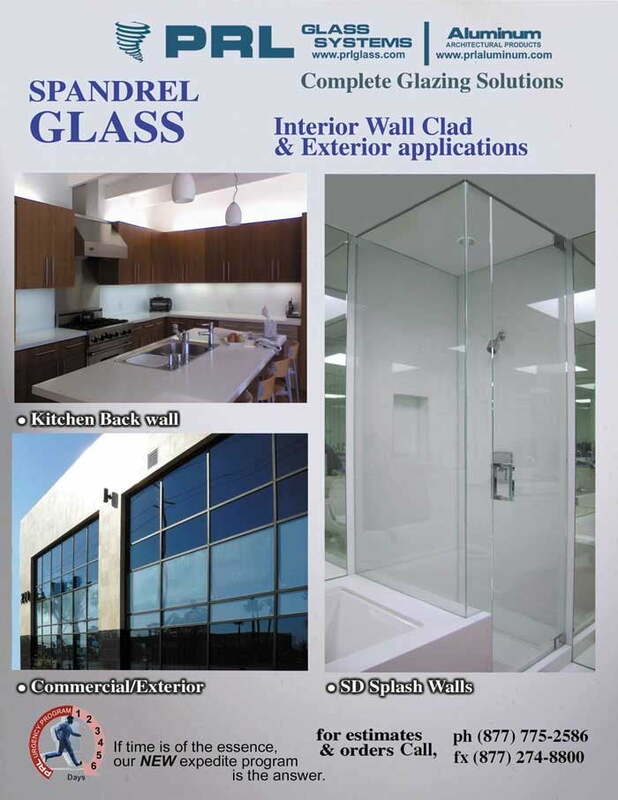 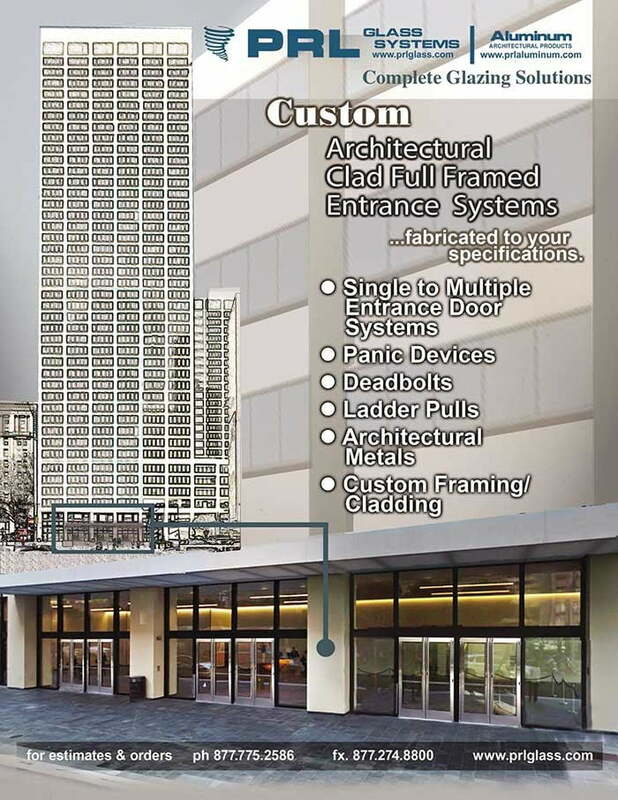 Additional specialty glass products fabricated in-house are Spandrel Glass, Insulated Glass, High Performance Insulated Glass and Sandblasted Glass. 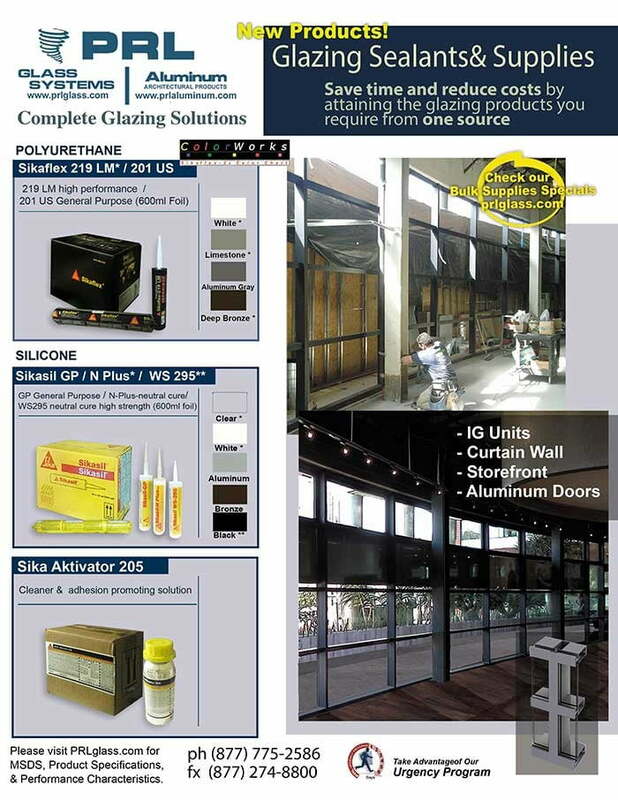 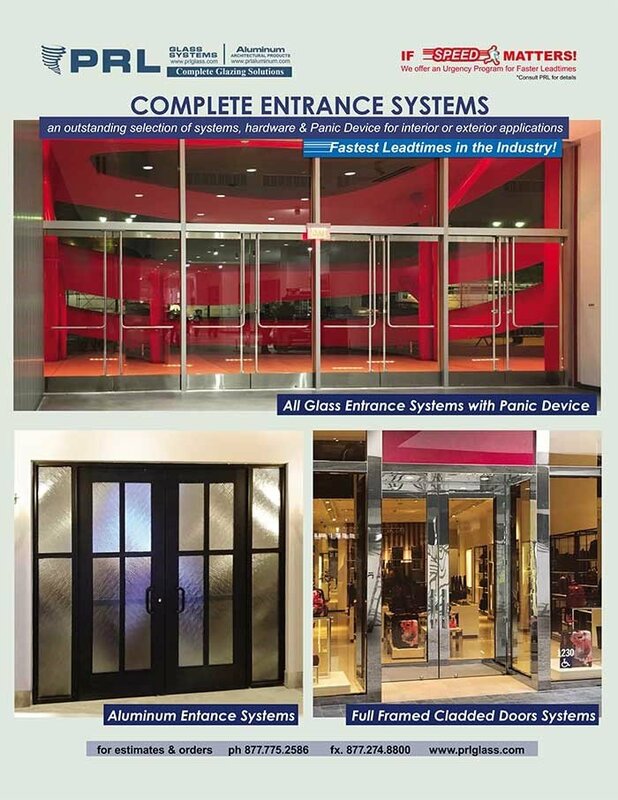 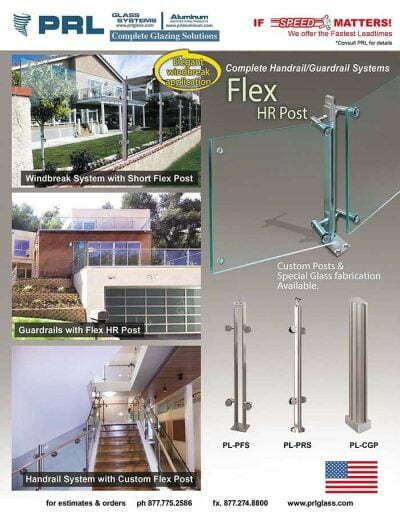 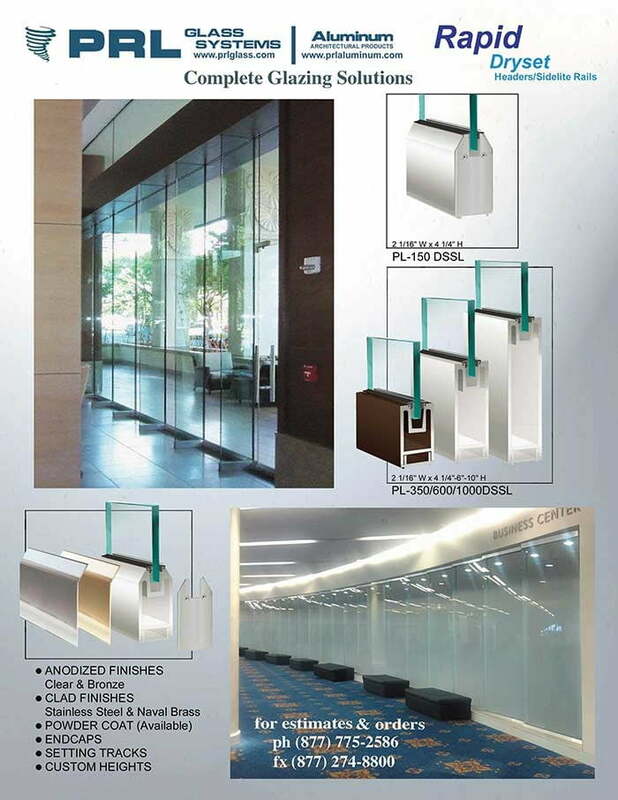 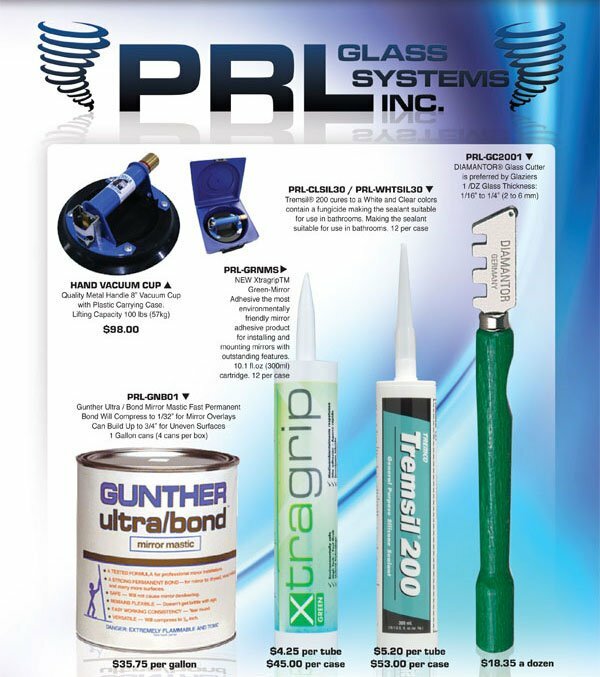 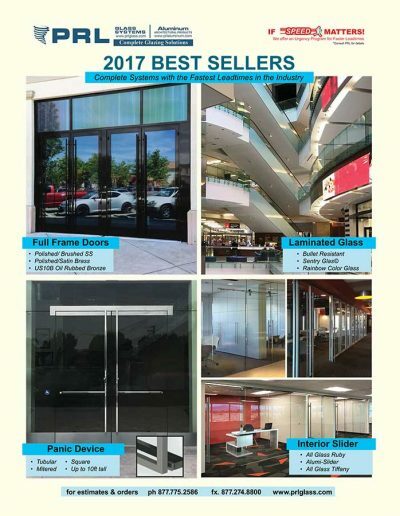 Over the last 22 years PRL has been one of the fastest growing Tempered Glass and Laminated Glass related product manufacturers in the Glazing Industry. 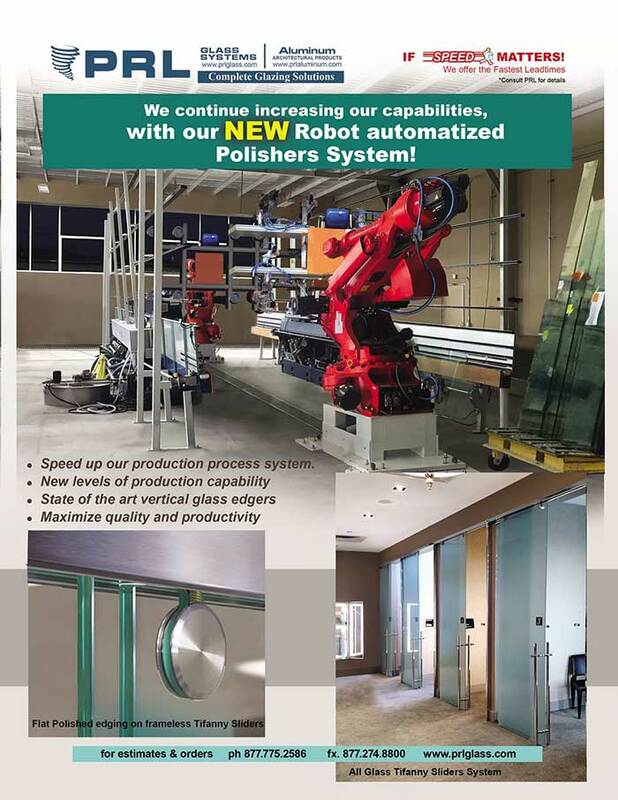 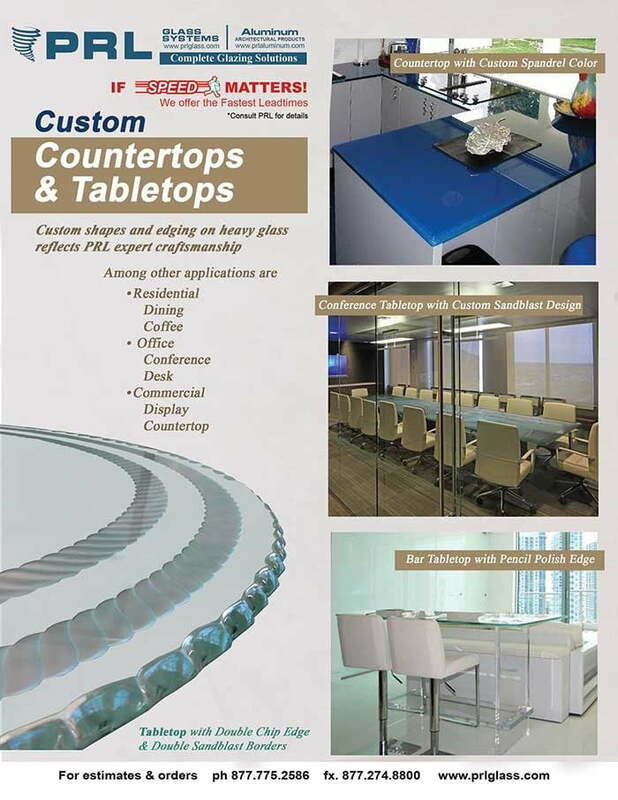 We are recognized for our excellent quality, diverse product lines and the fastest lead-times for tempered glass fabrication. Most of our tempered glass orders ship within 24 to 48 hours, including our heavy tempered glass fabricated products lines. We are one of the few, if not the only tempering and laminated glass company that can offer 3/4" tempered glass overnight, when necessary. 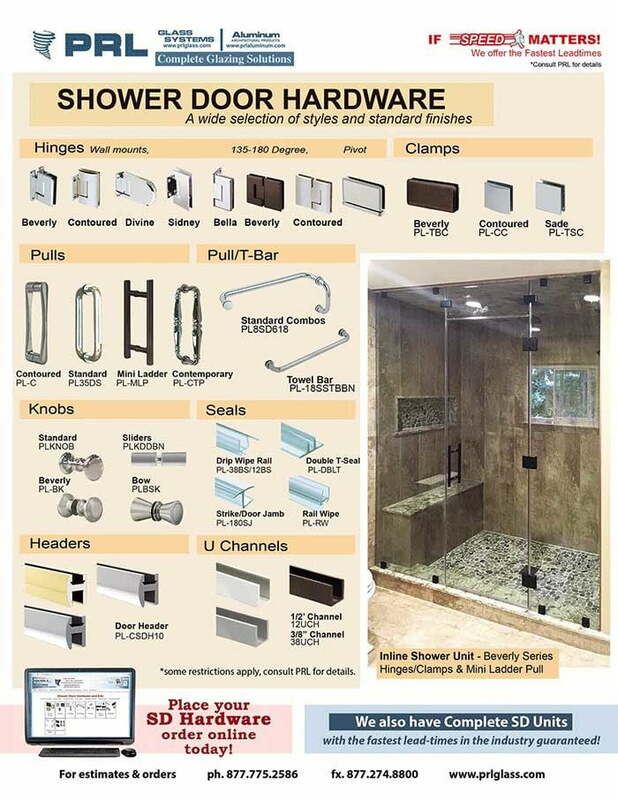 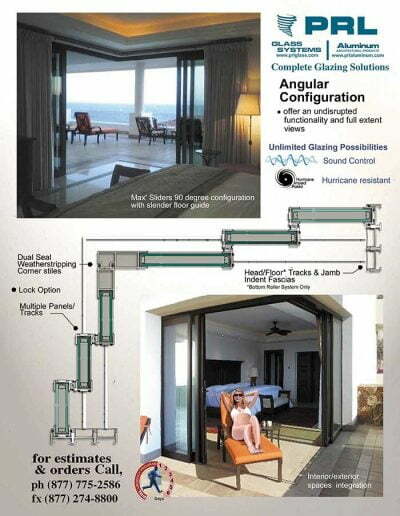 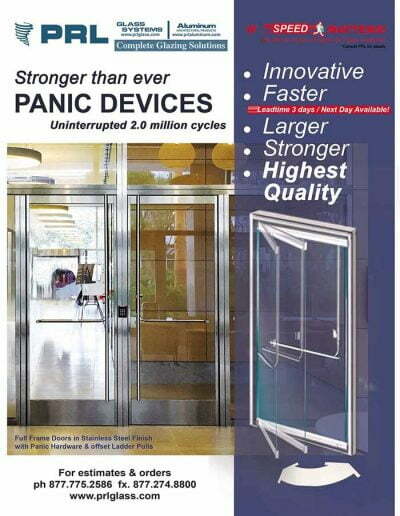 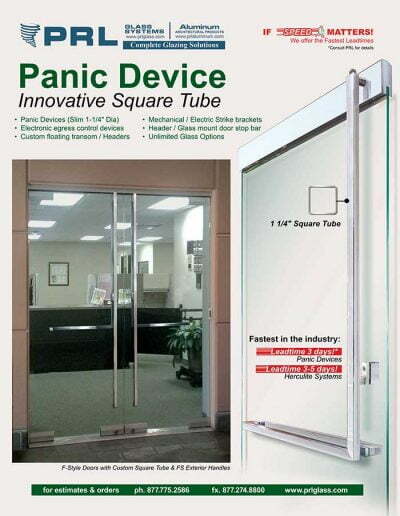 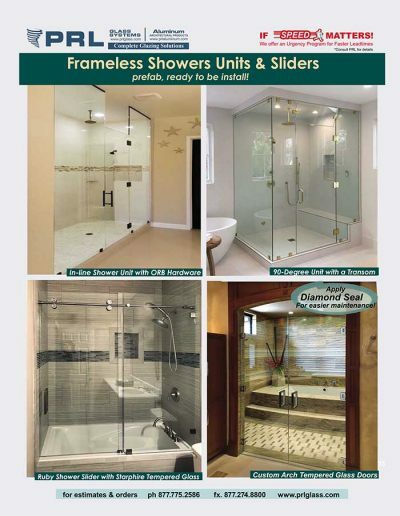 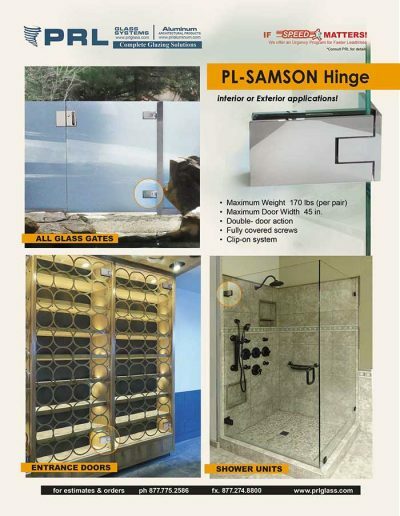 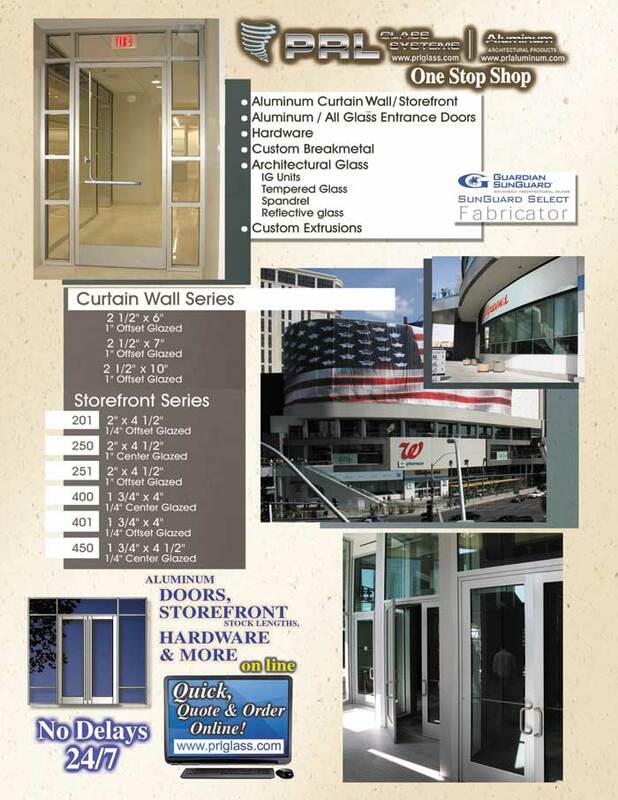 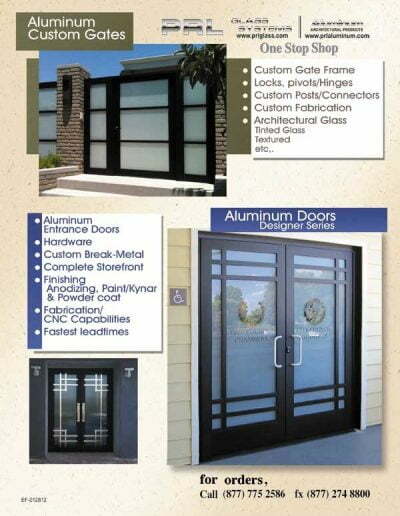 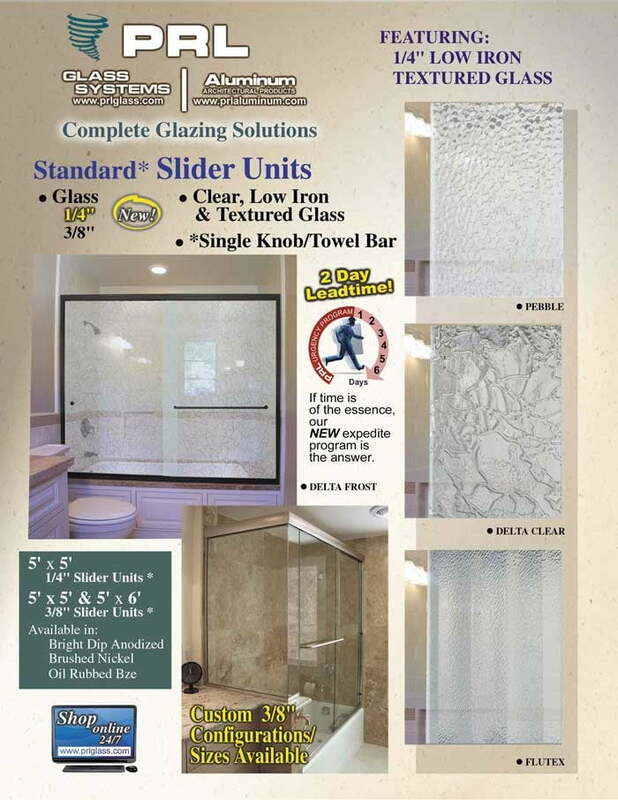 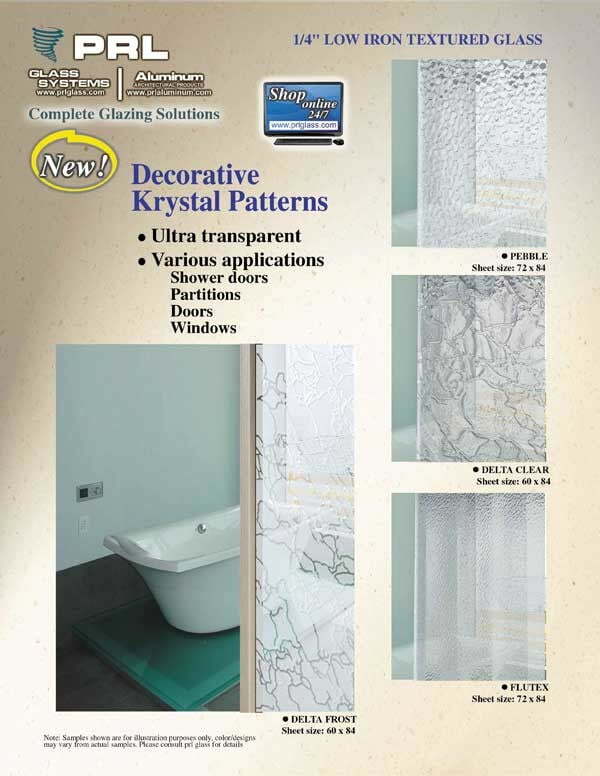 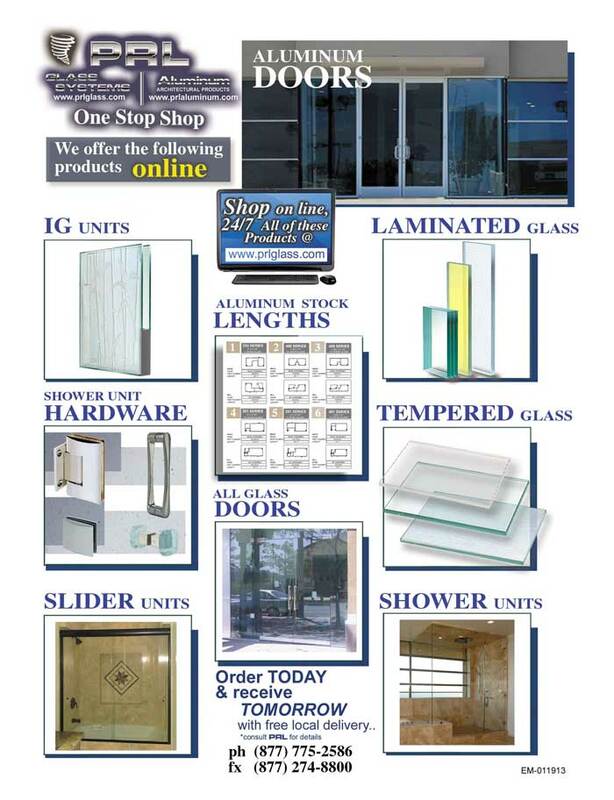 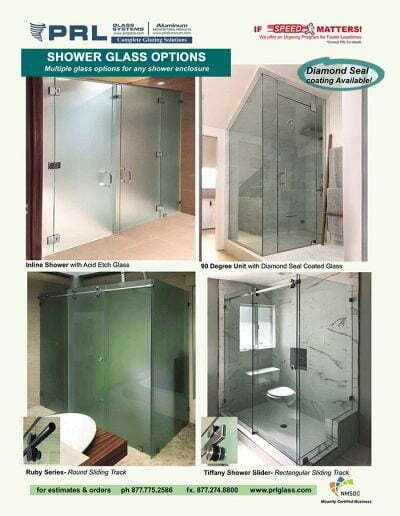 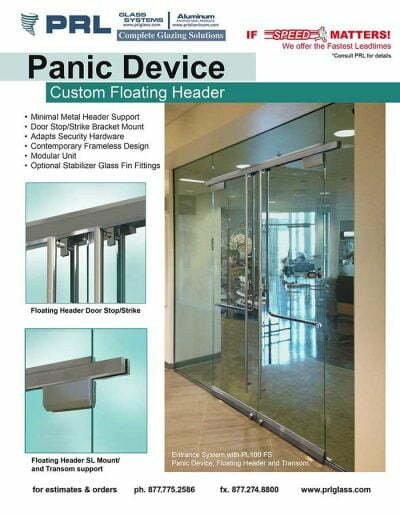 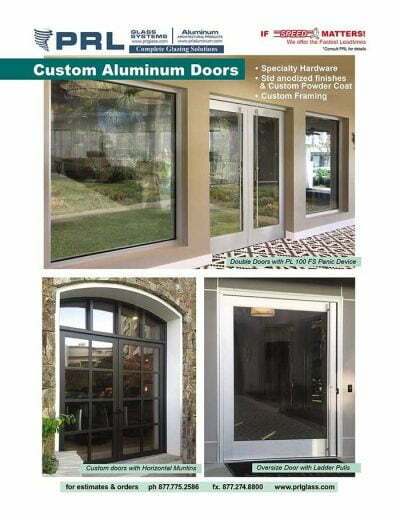 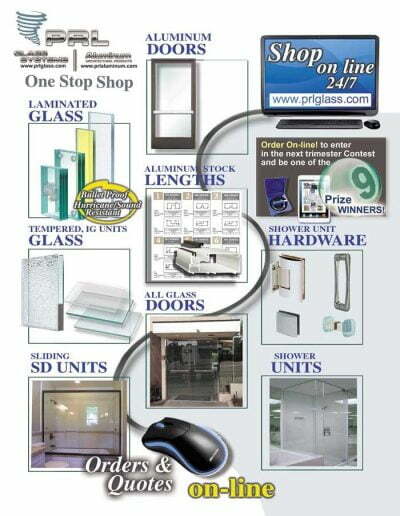 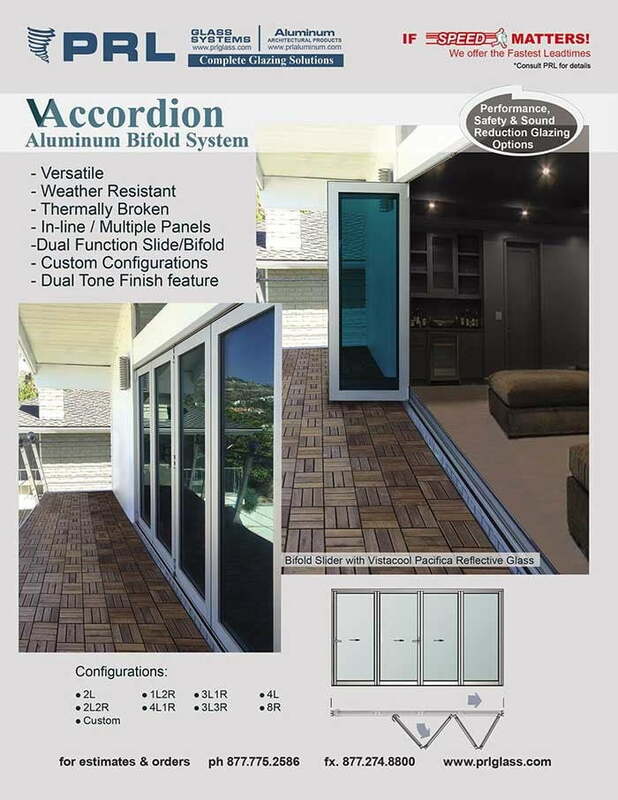 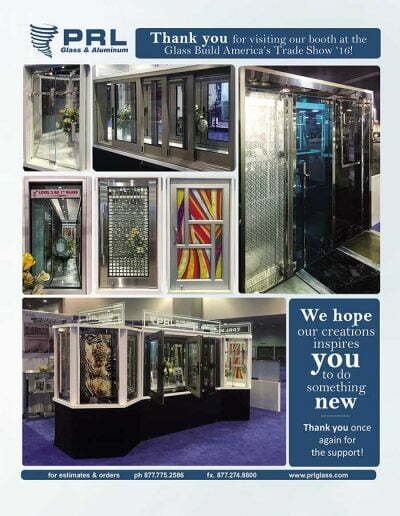 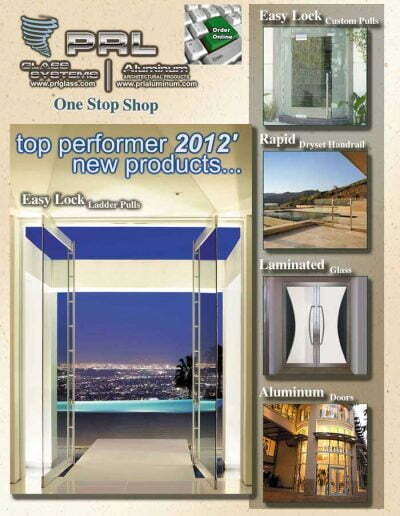 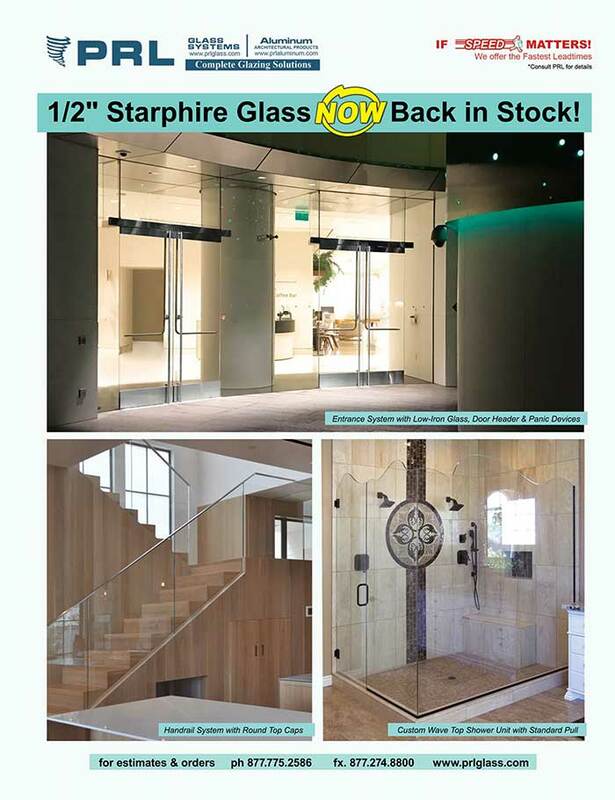 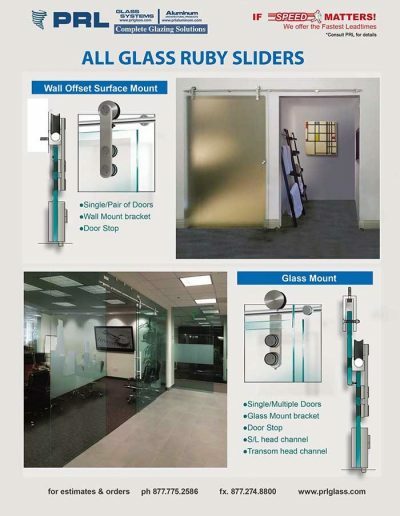 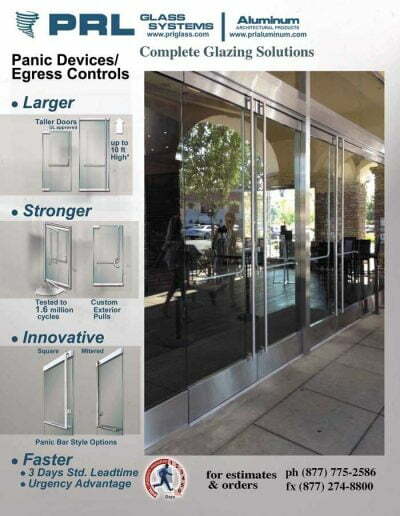 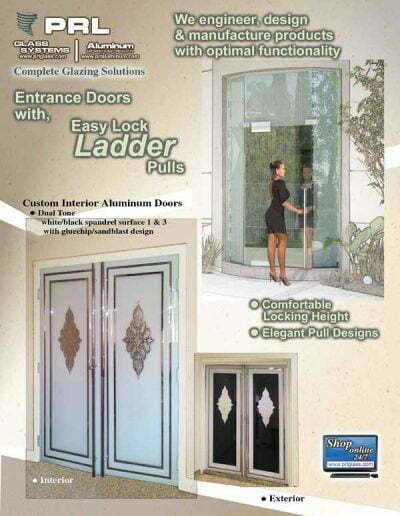 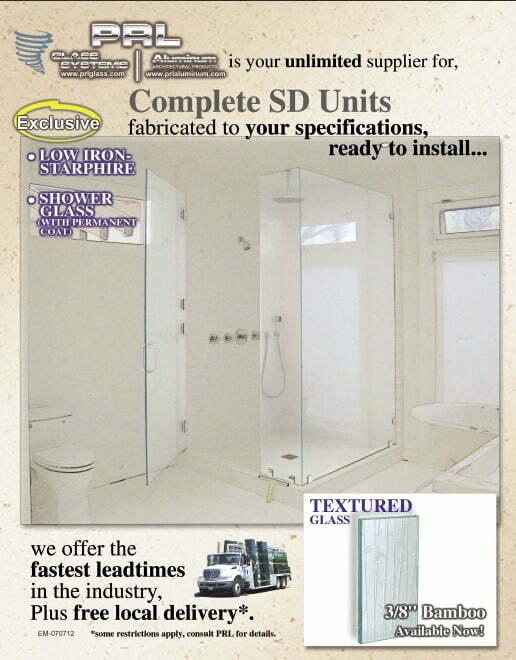 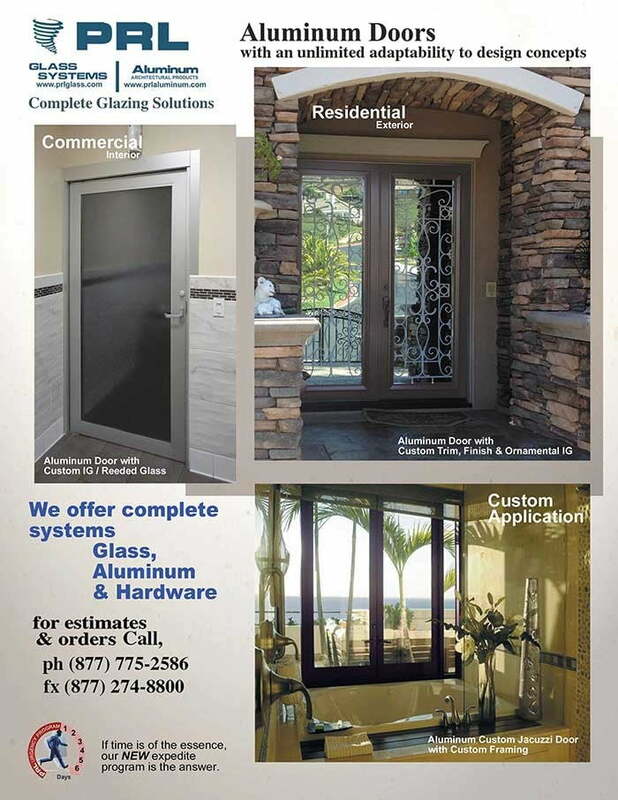 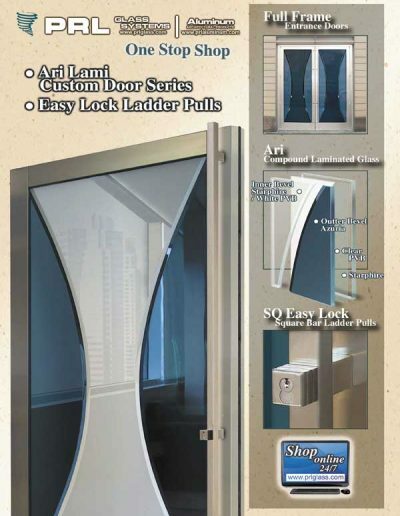 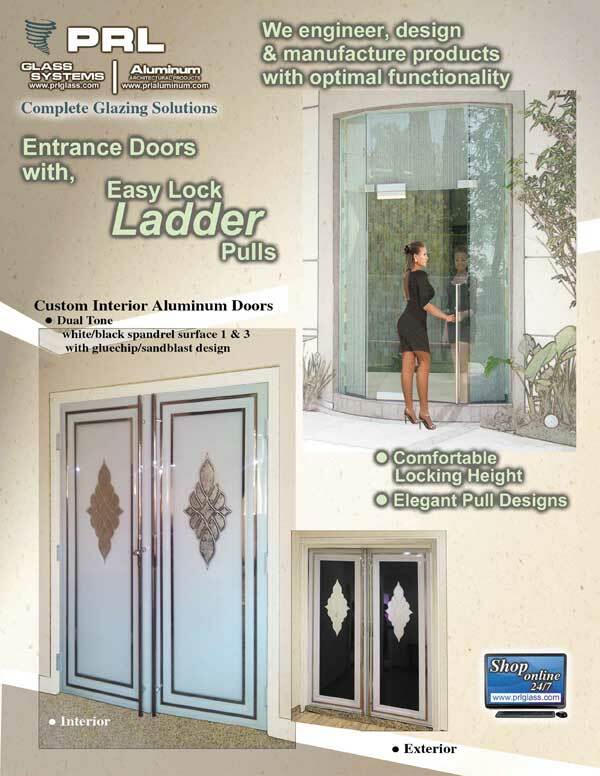 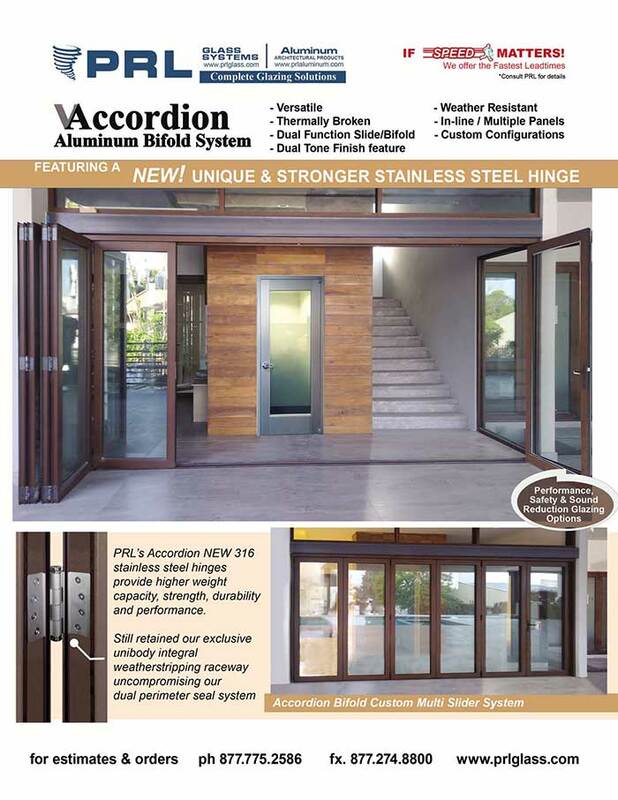 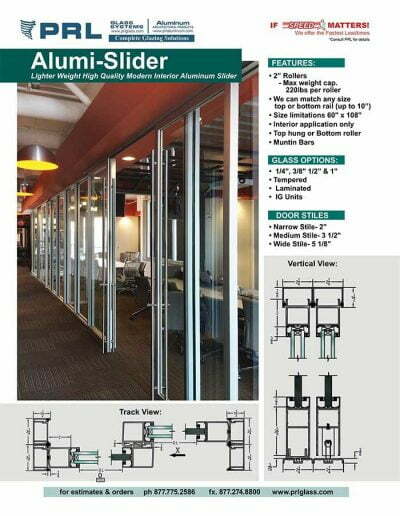 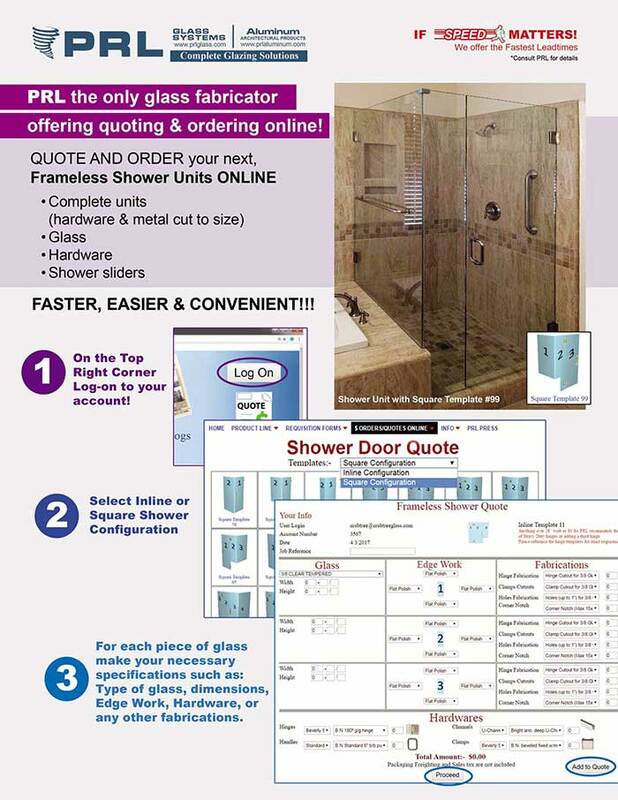 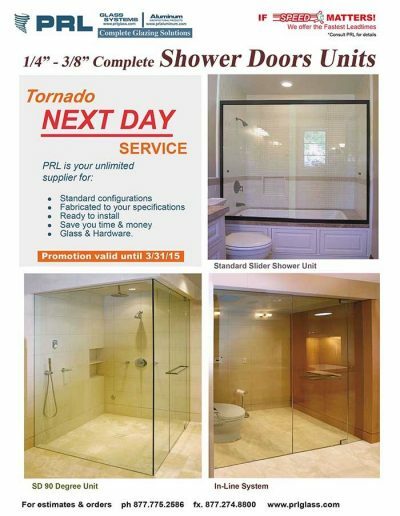 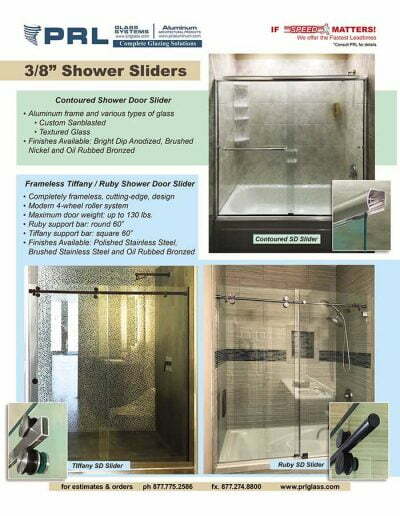 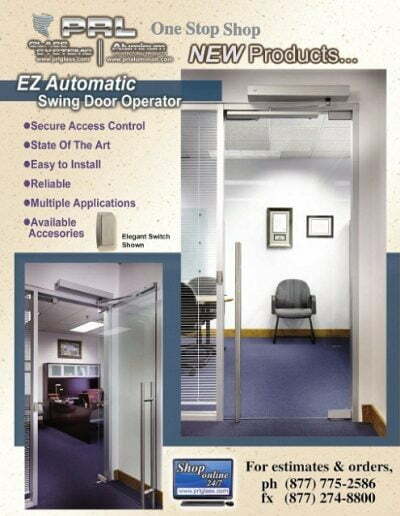 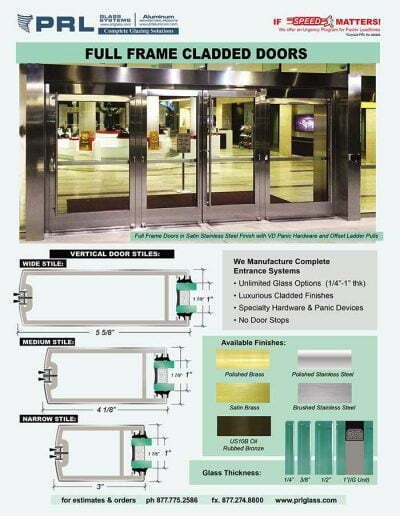 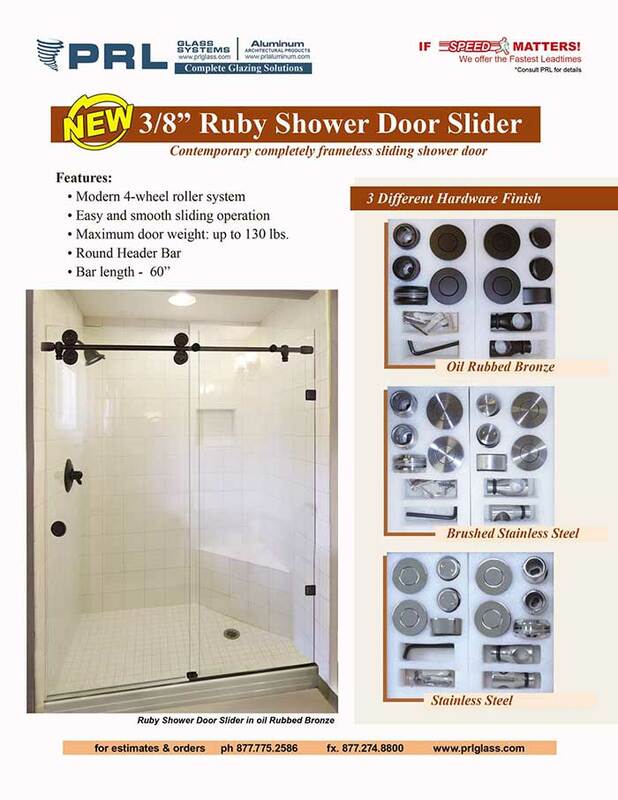 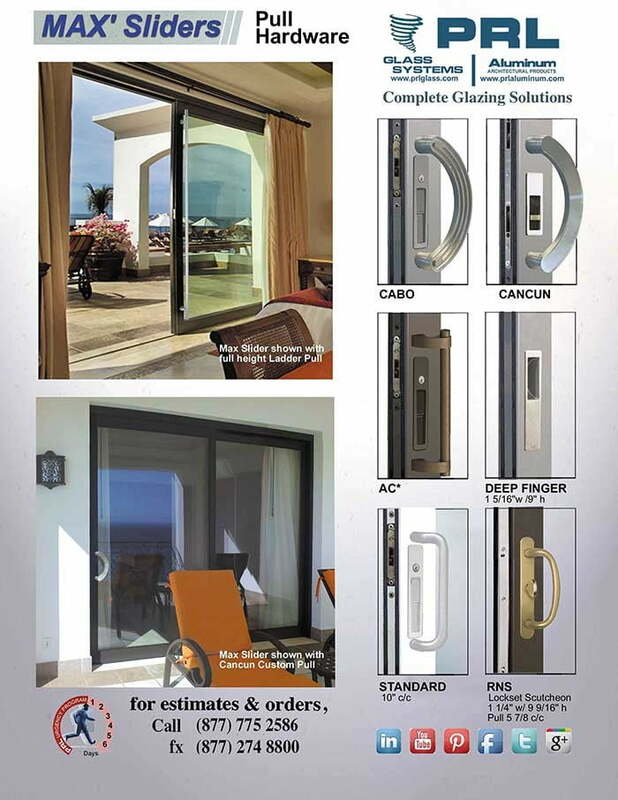 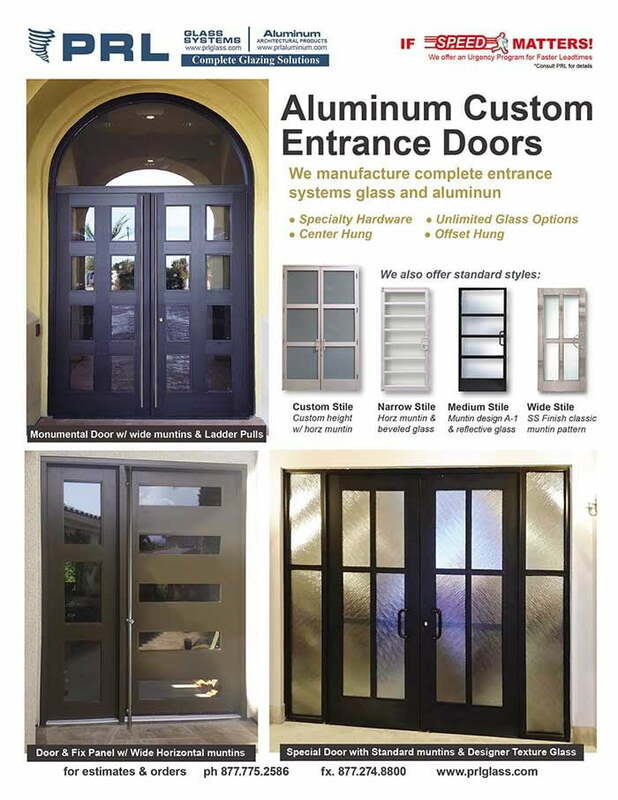 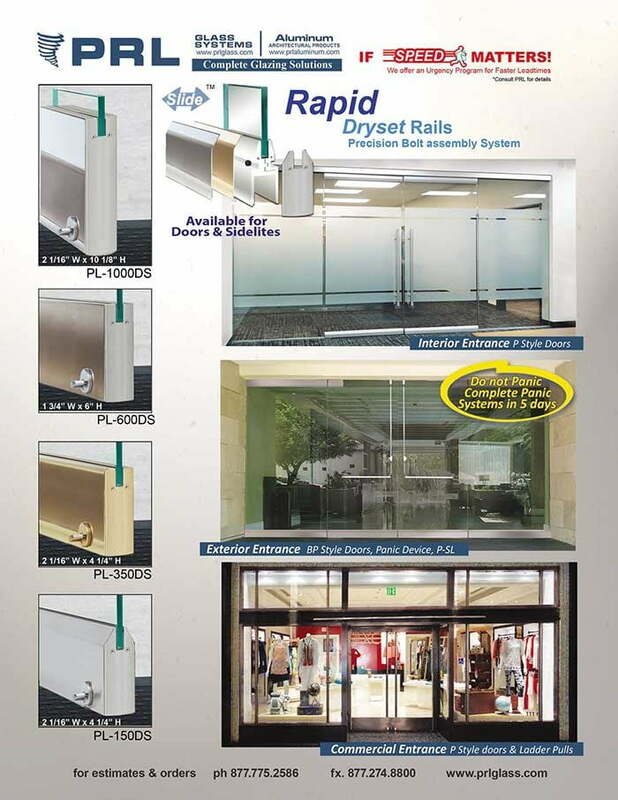 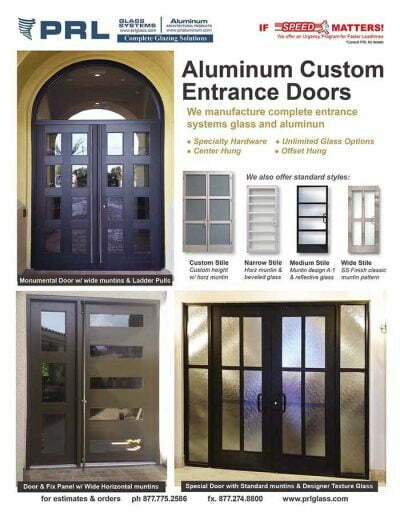 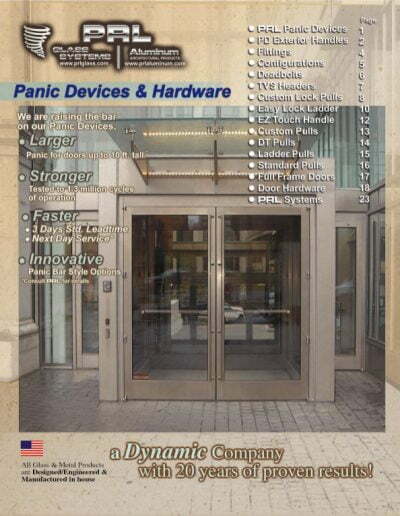 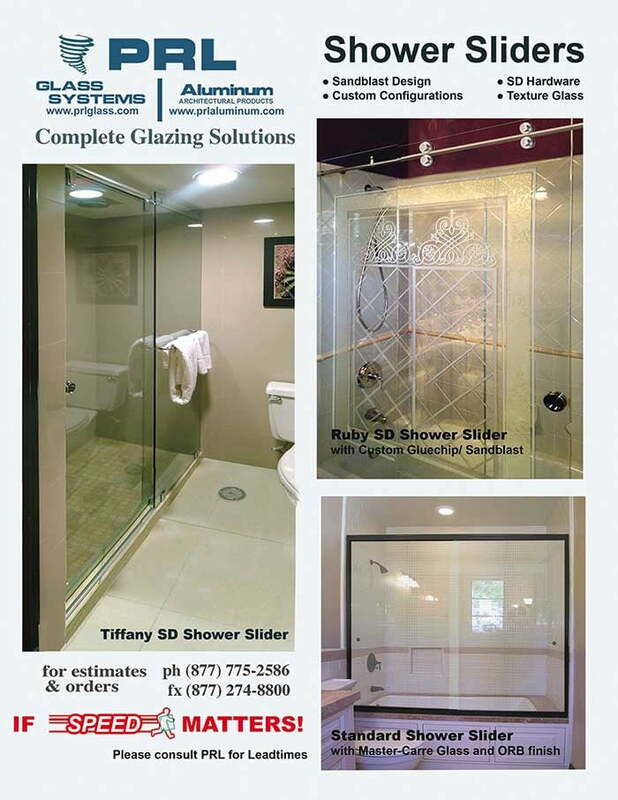 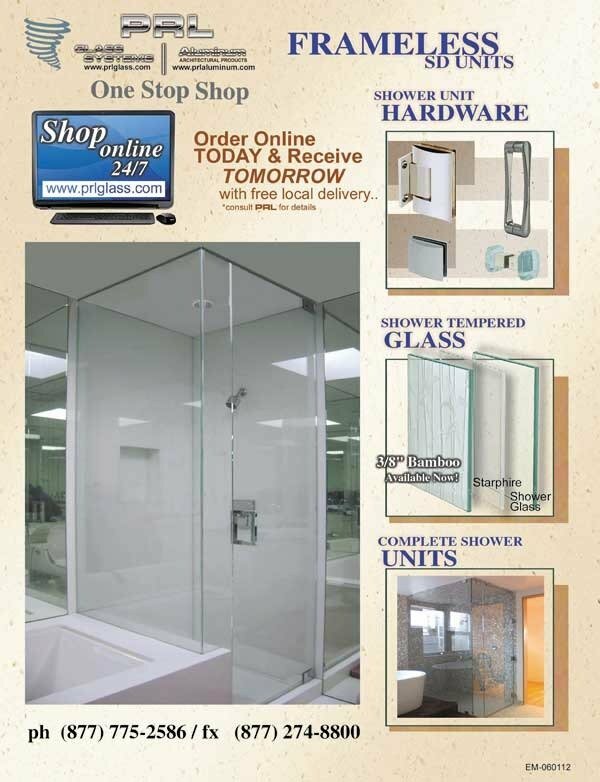 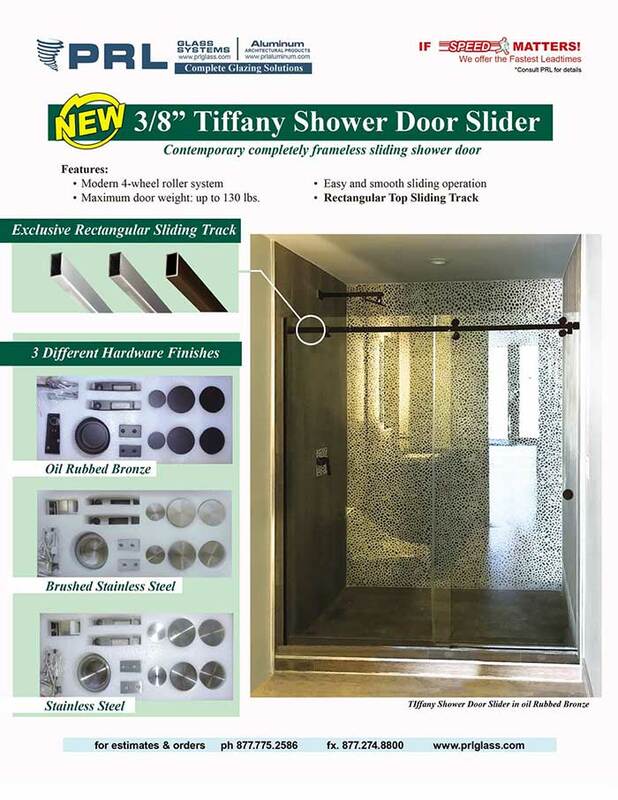 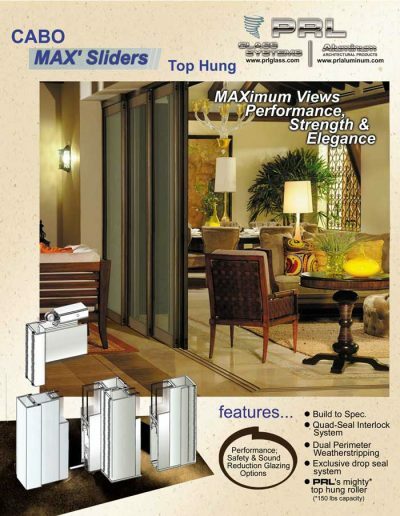 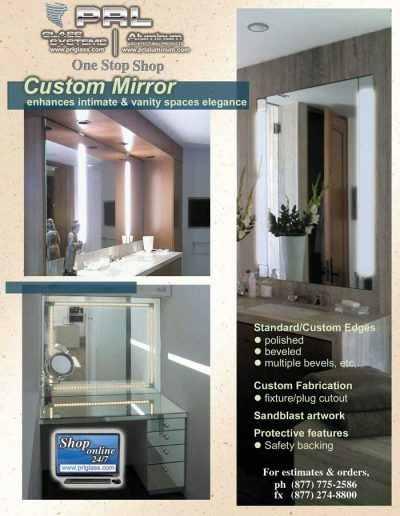 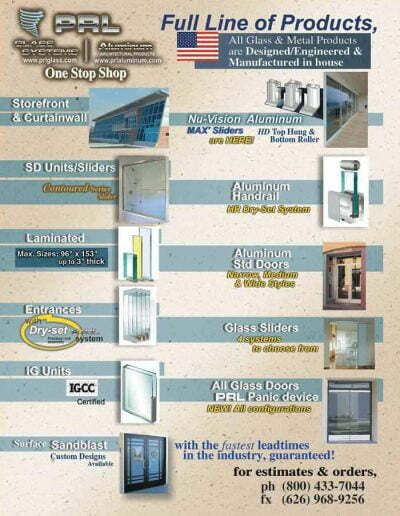 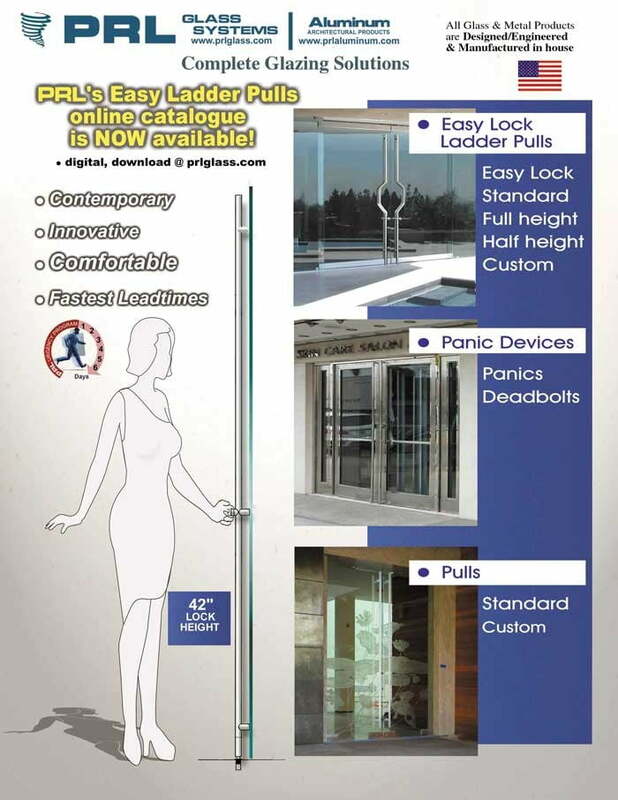 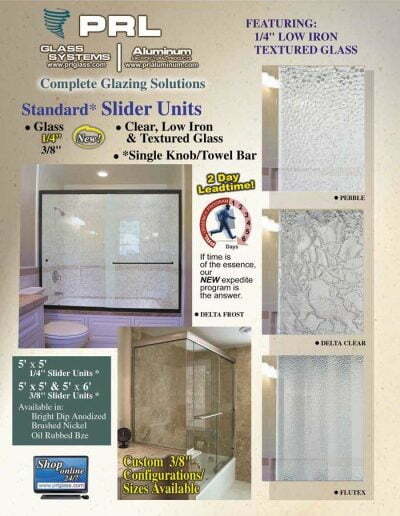 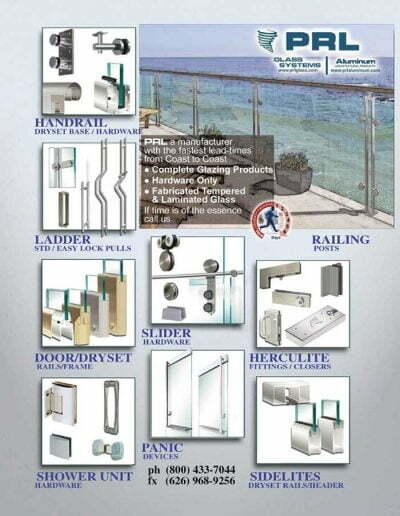 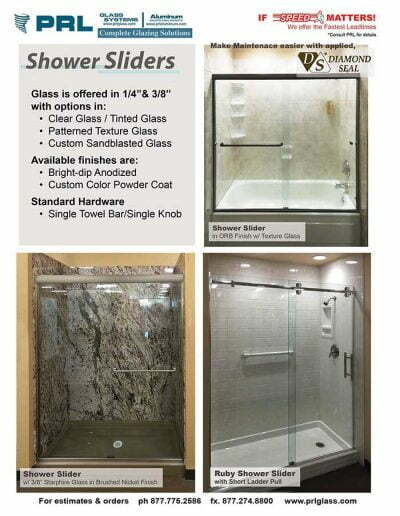 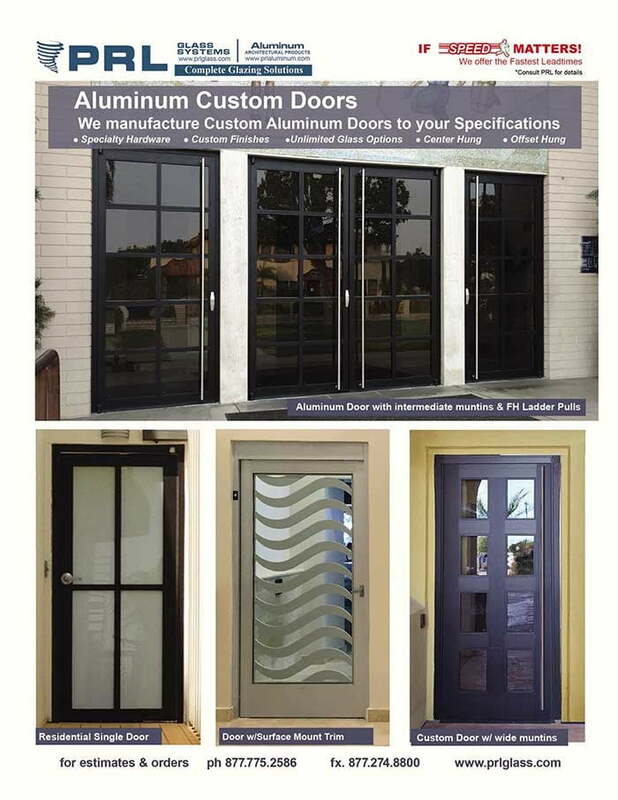 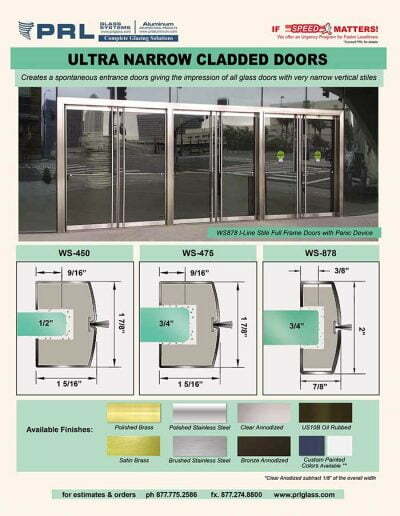 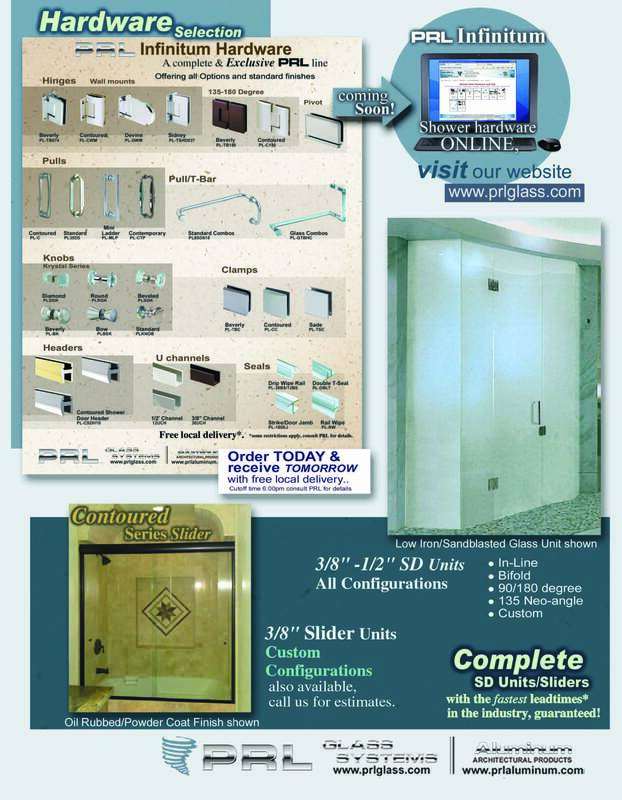 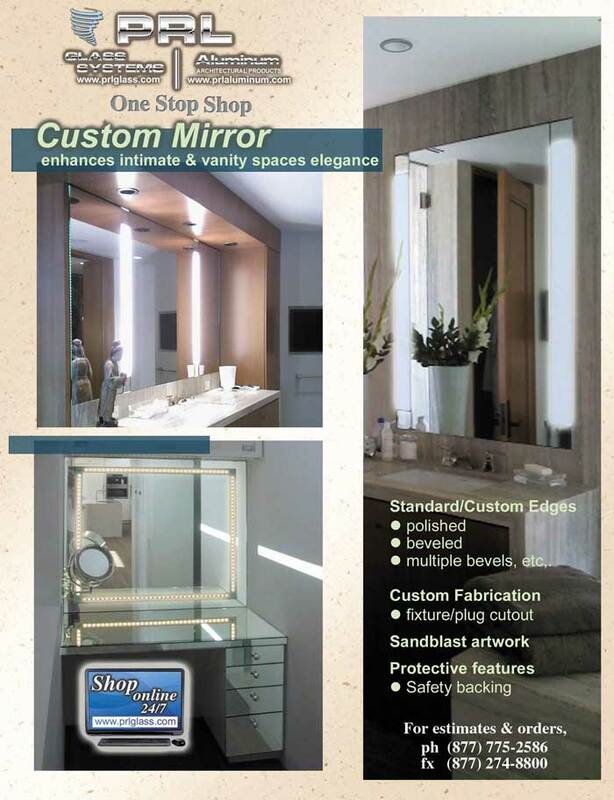 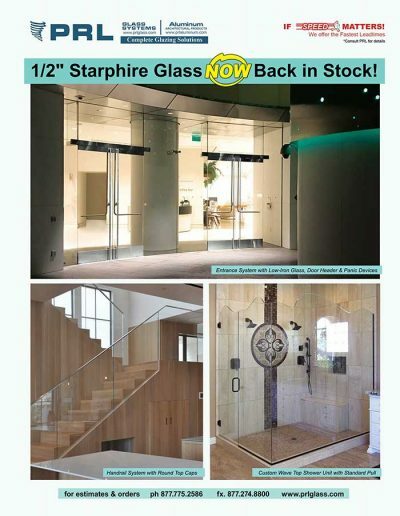 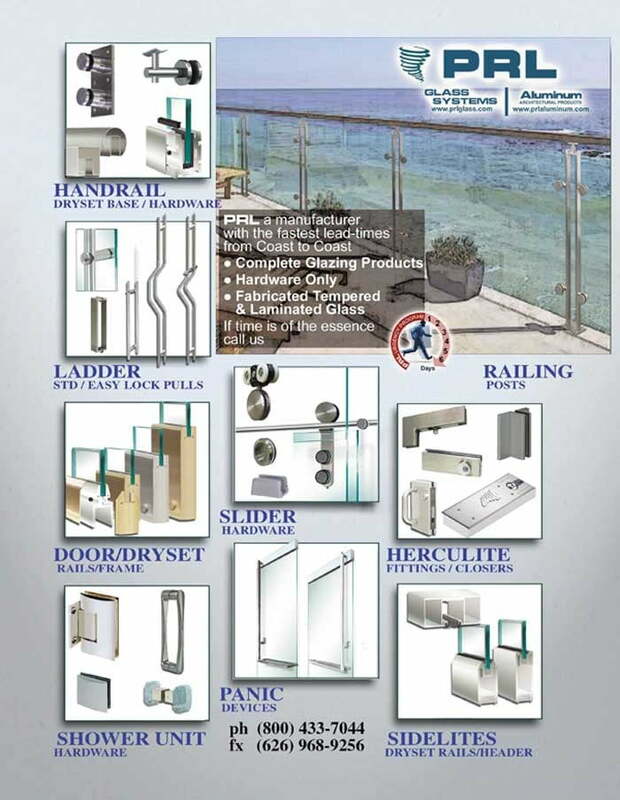 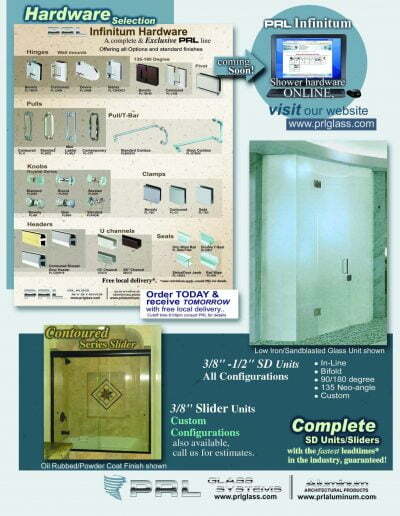 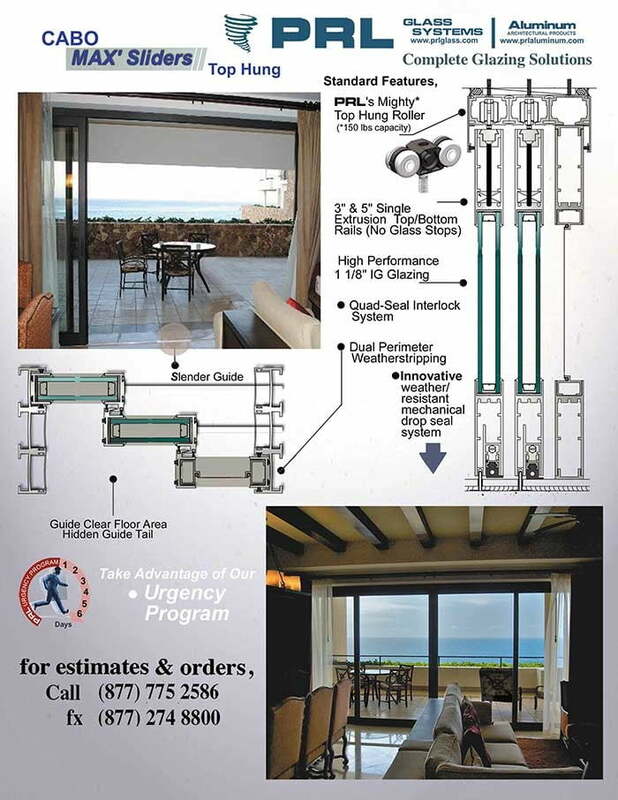 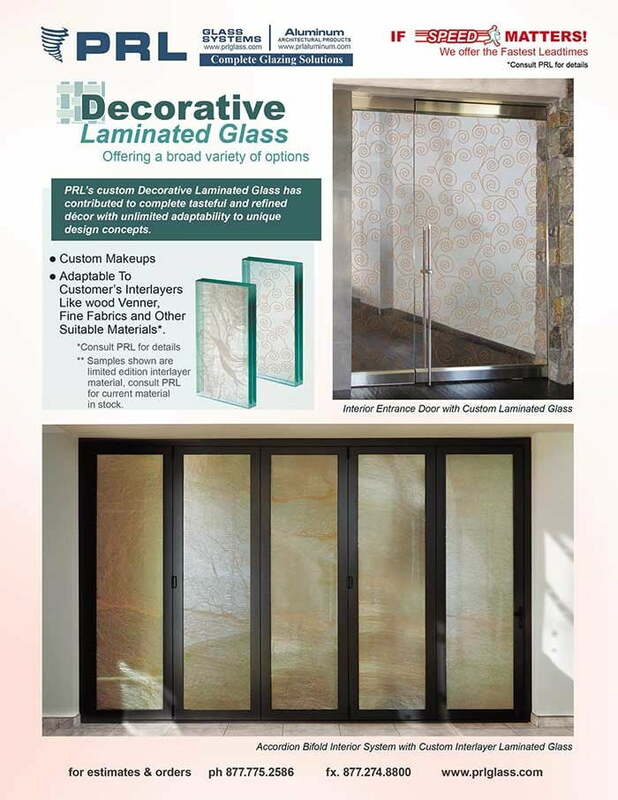 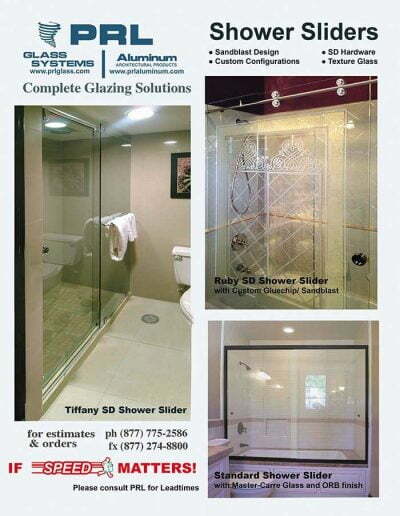 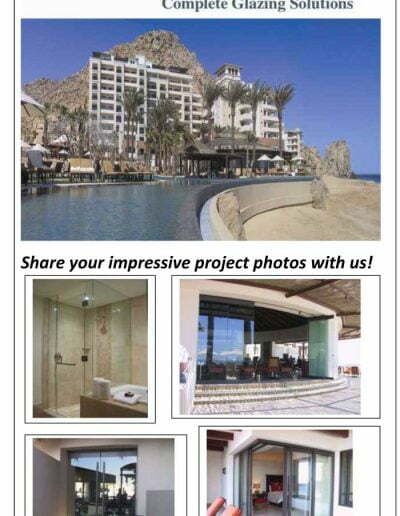 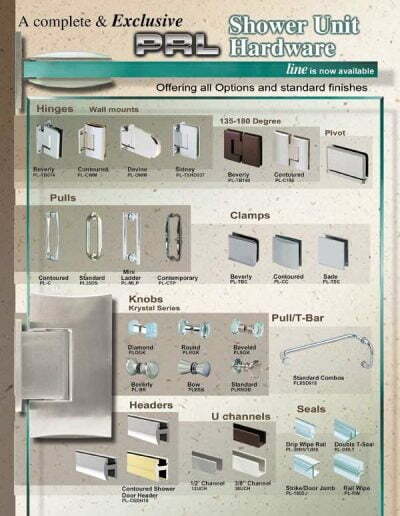 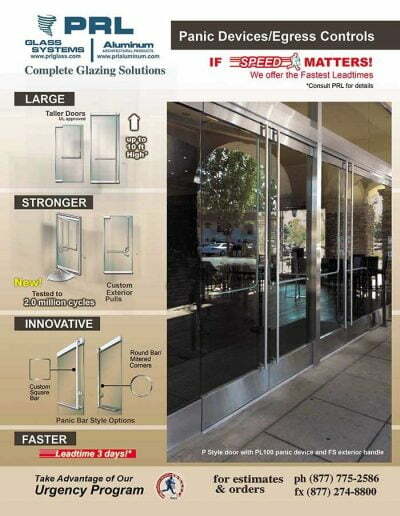 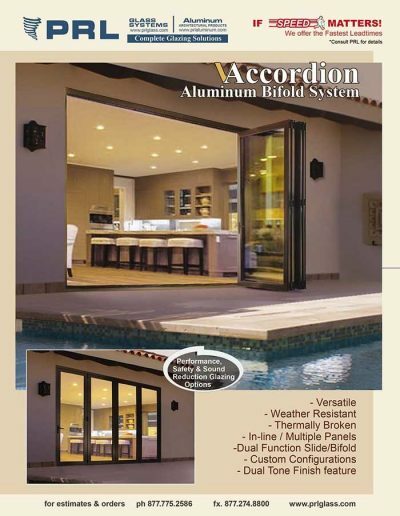 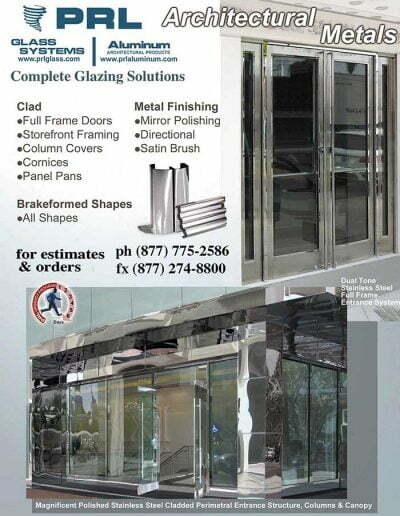 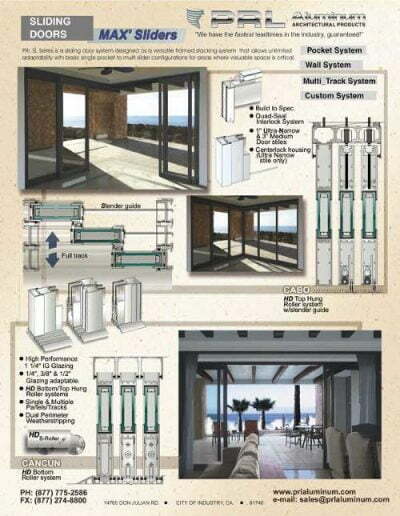 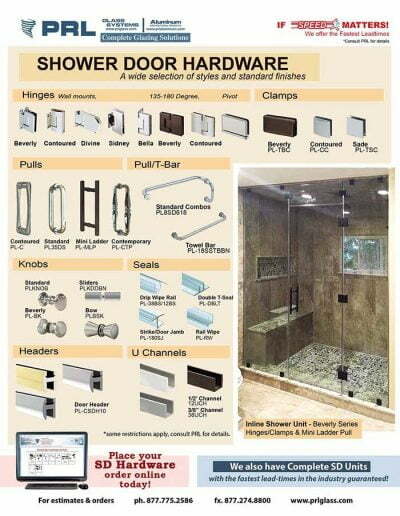 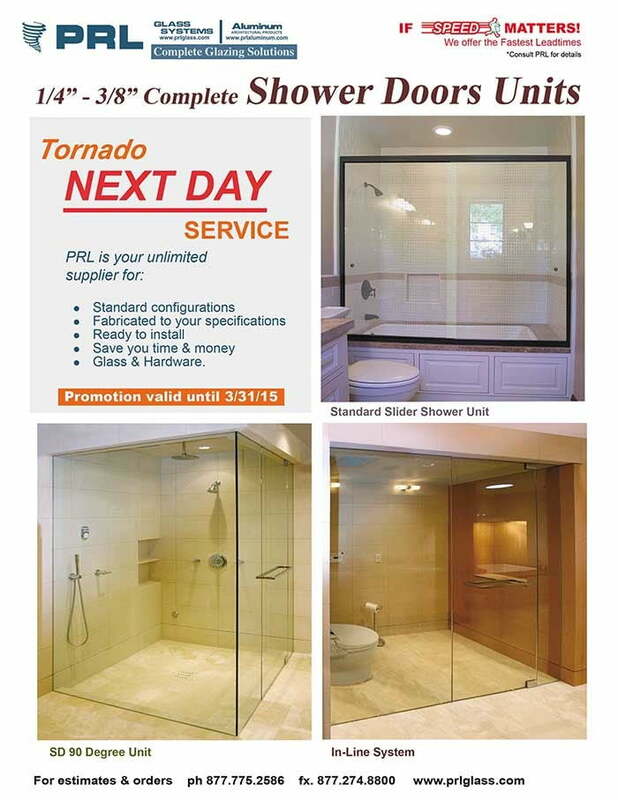 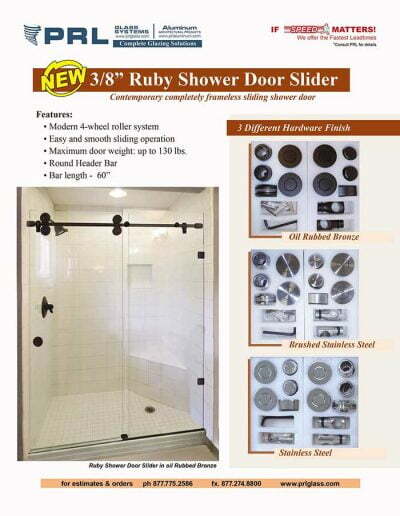 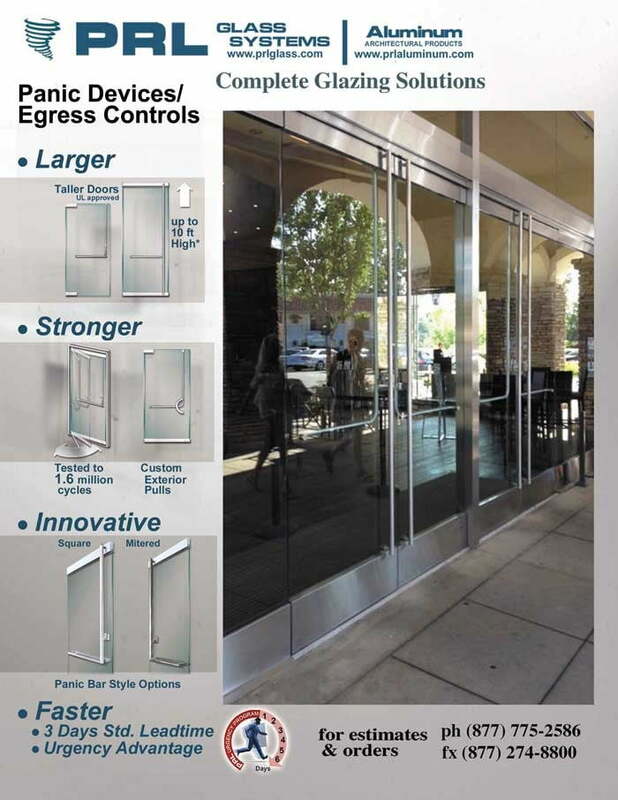 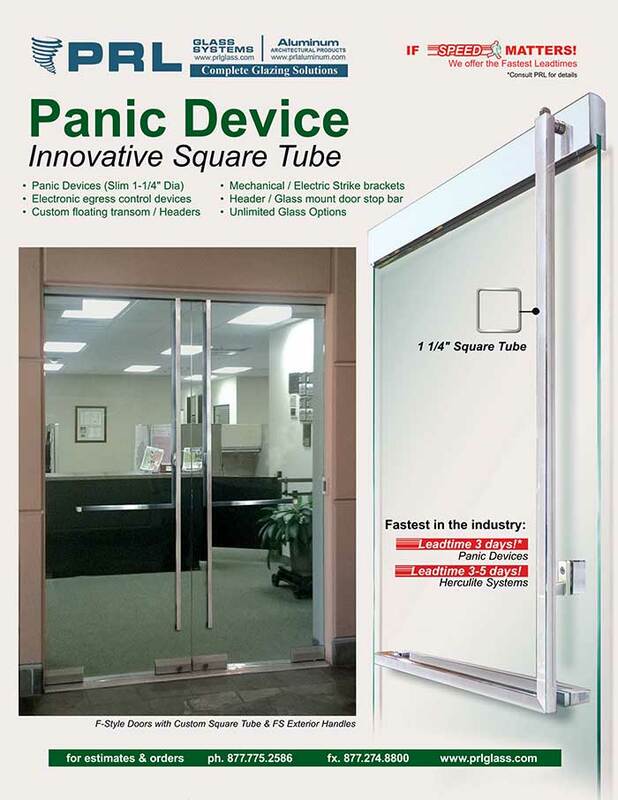 Our shower door division offers complete heavy fabricated tempered glass shower door enclosures which typically ship within 3 to 5 days, as well as some of our most popular all glass entrance door systems (Glass Doors) complete tempered glass door systems, packages including all door hardware and framing (we are your one stop shop! 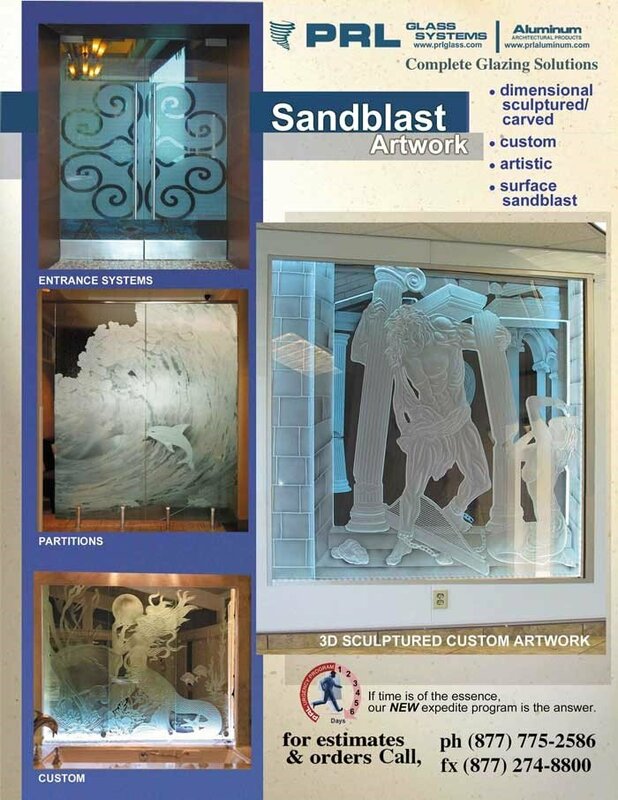 ), many of which are produced within this same 3 to 5 day time frame. LET US TAKE CARE OF THE REST! 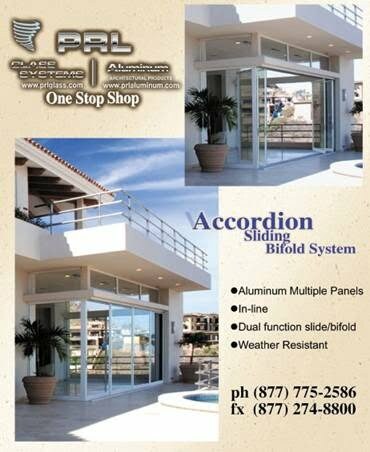 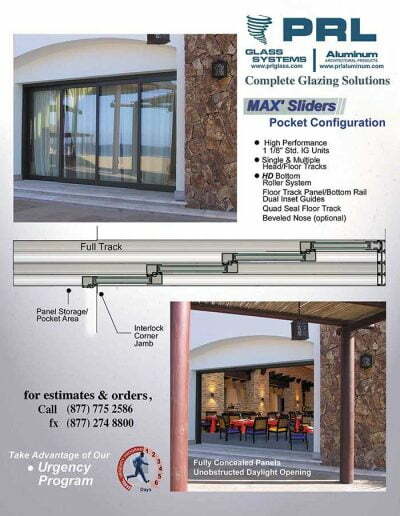 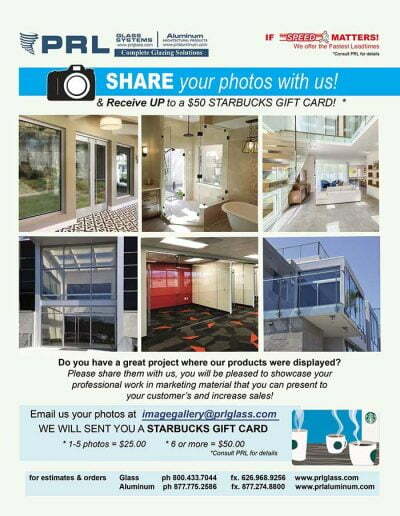 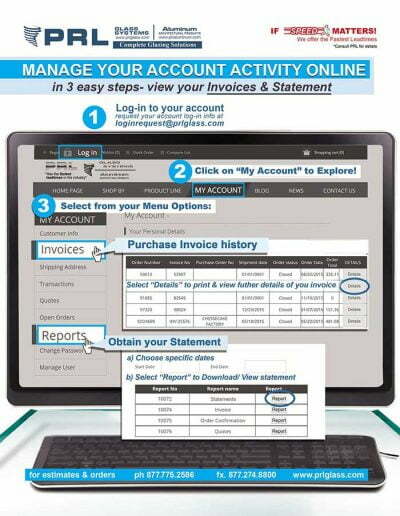 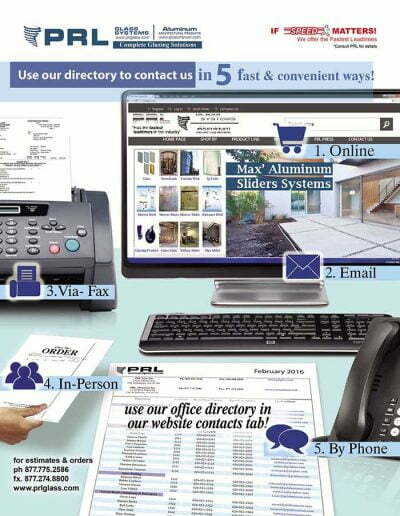 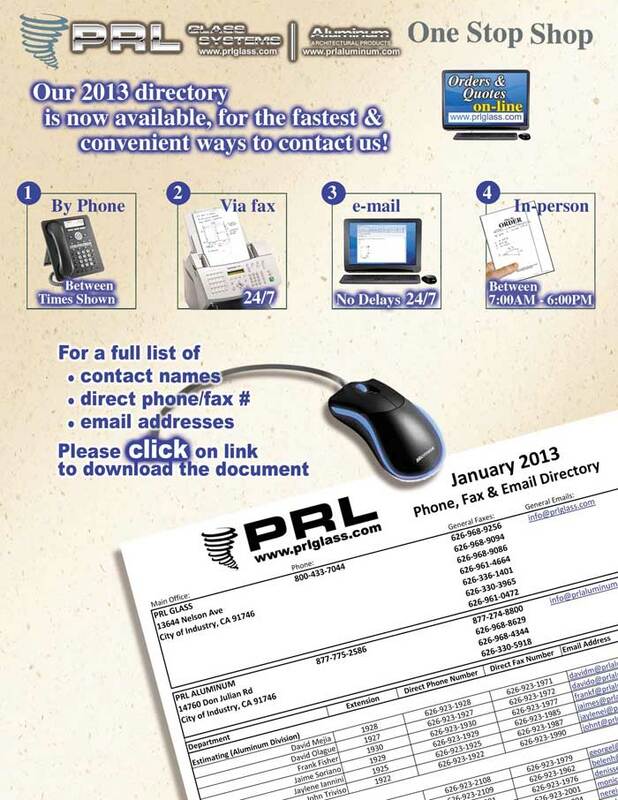 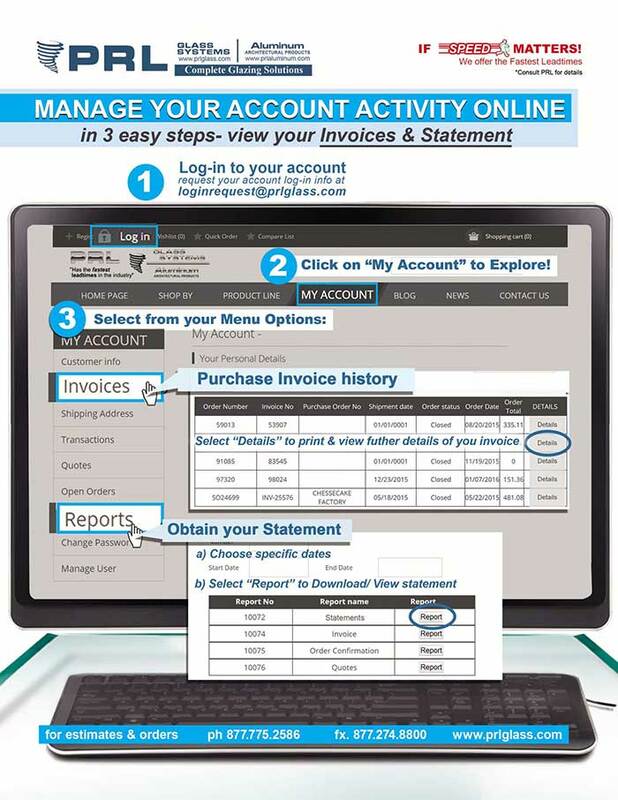 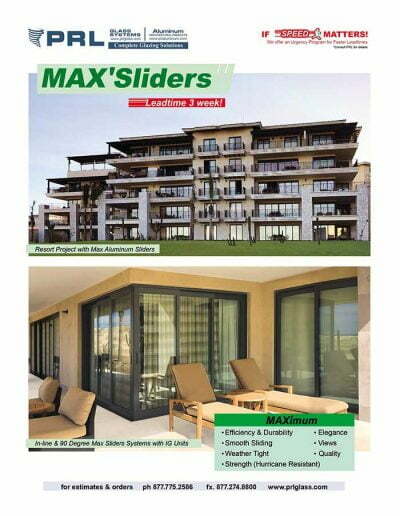 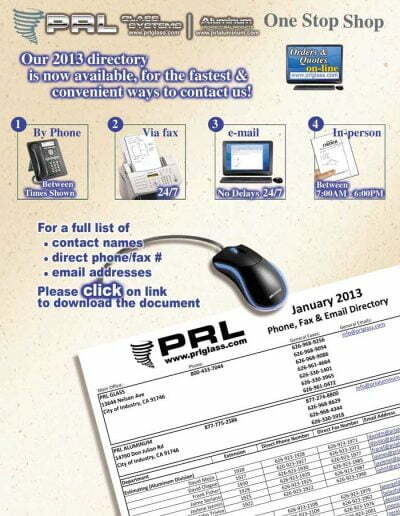 Toll Free 800-433-7044. 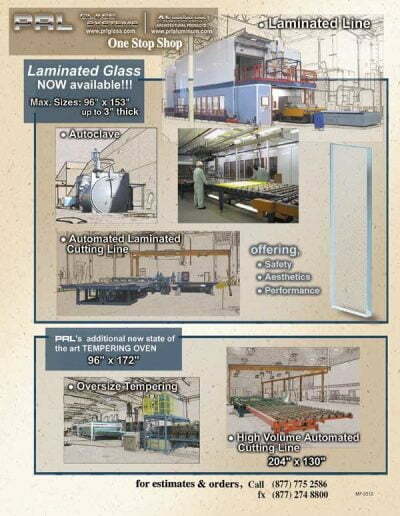 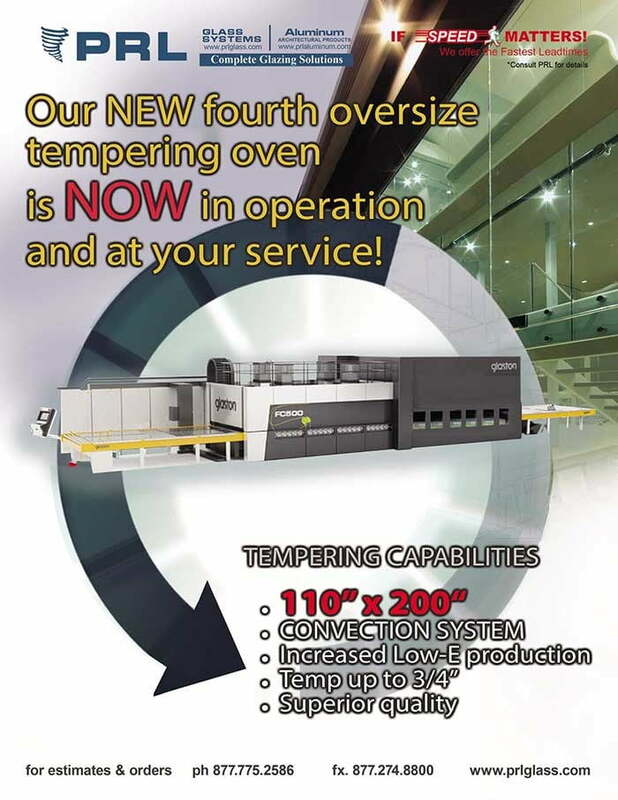 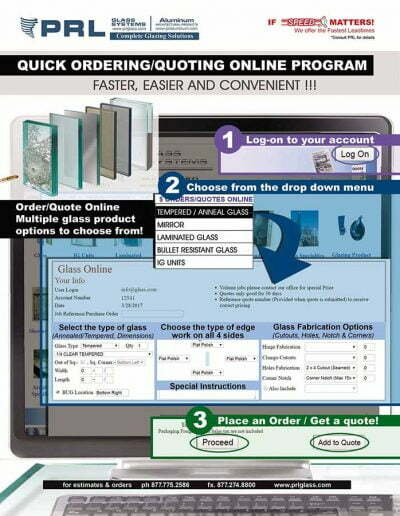 Providing you with a state of the art tempering oven to fill all your temper glass needs, cost-saving convenience along with excellent service, unmatched NEXT DAY service and FREE SHIPPING to all local areas – PRL Glass Systems, Inc. is California’s leading Tempered Glass Fabricator for the Contract Glazing Industry..
With our new online tempered glass order system you are just a click away, 24/7, from ordering and quoting all of your Tempered Glass products online, please visit this online video to simplify your tempered glass ordering experience.